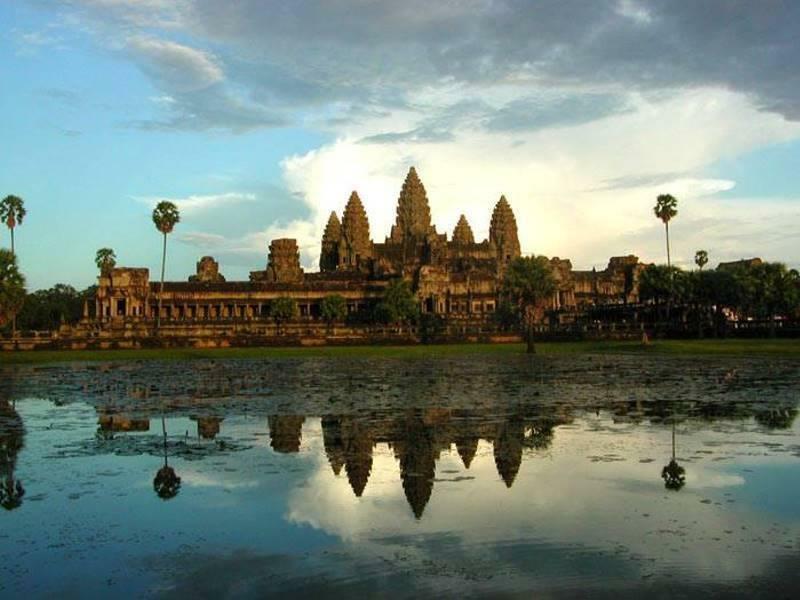 Angkor Wat is a temple complex at , Cambodia, built for the king Suryavarman II in the early 12th century as his state temple and capital city. 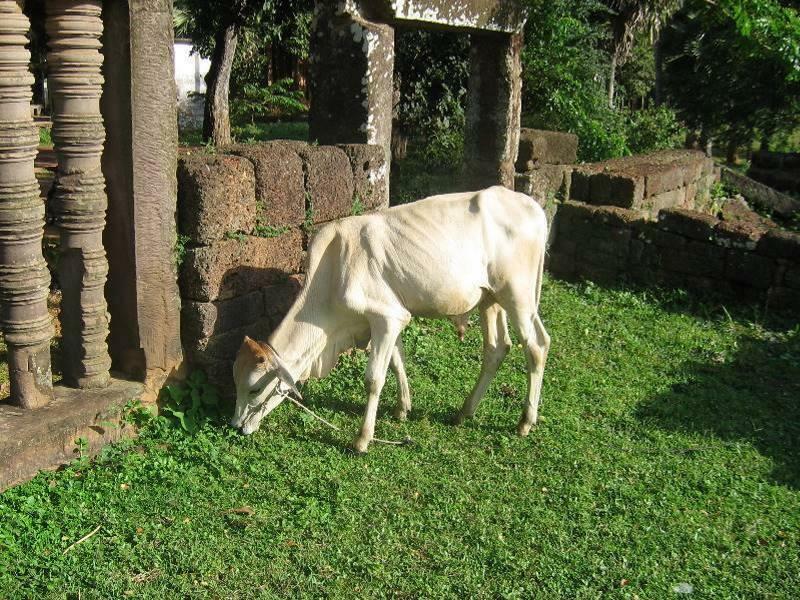 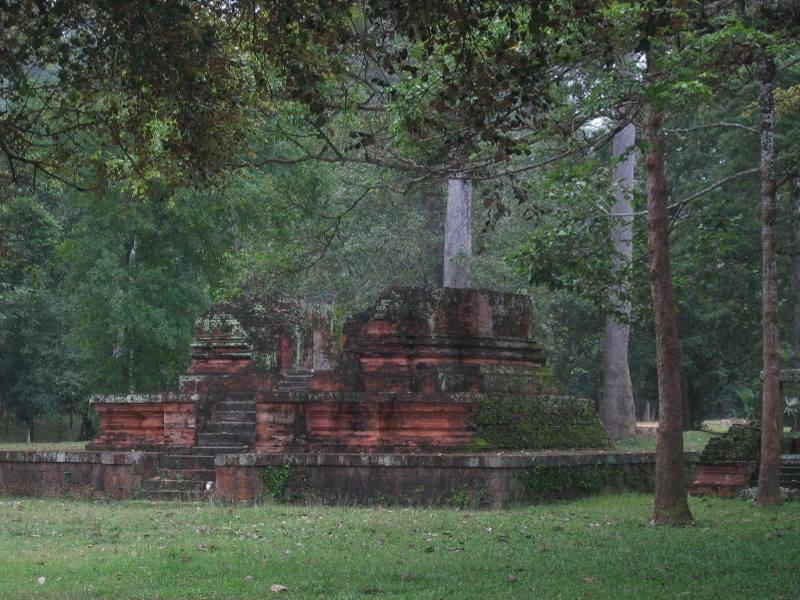 As the best-preserved temple at the site, it is the only one to have remained a significant religious centre since its foundation , dedicated to the god Vishnu, then Buddha. 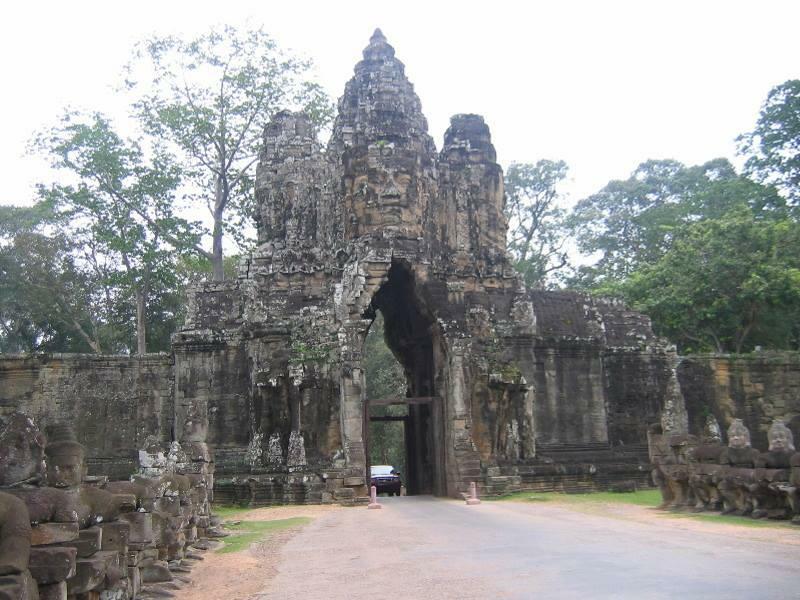 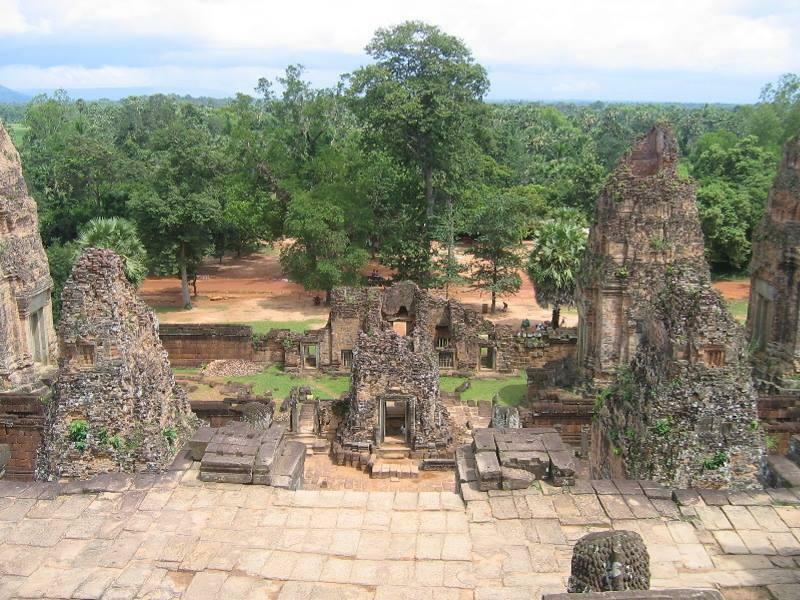 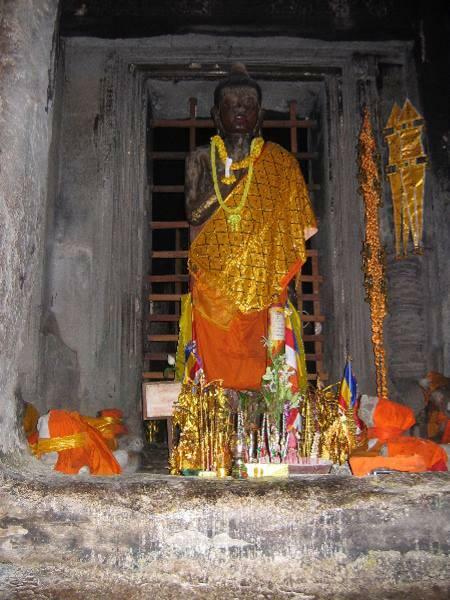 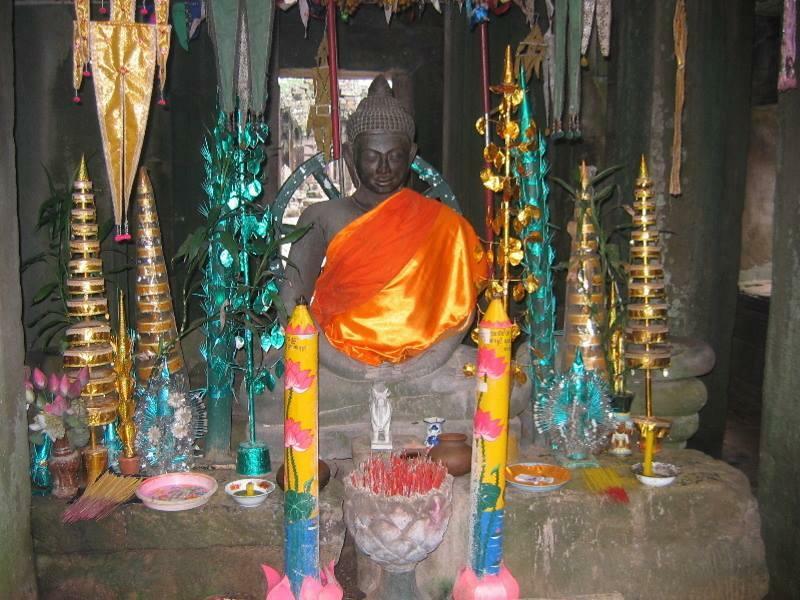 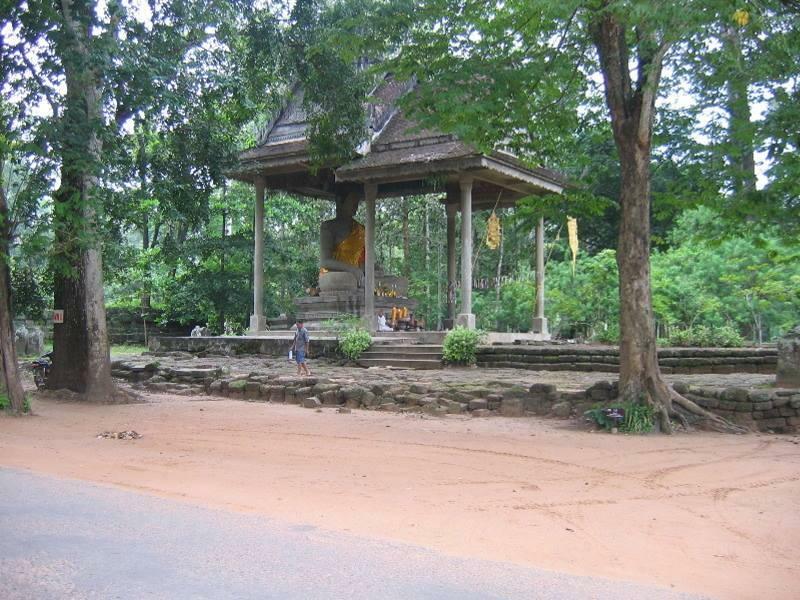 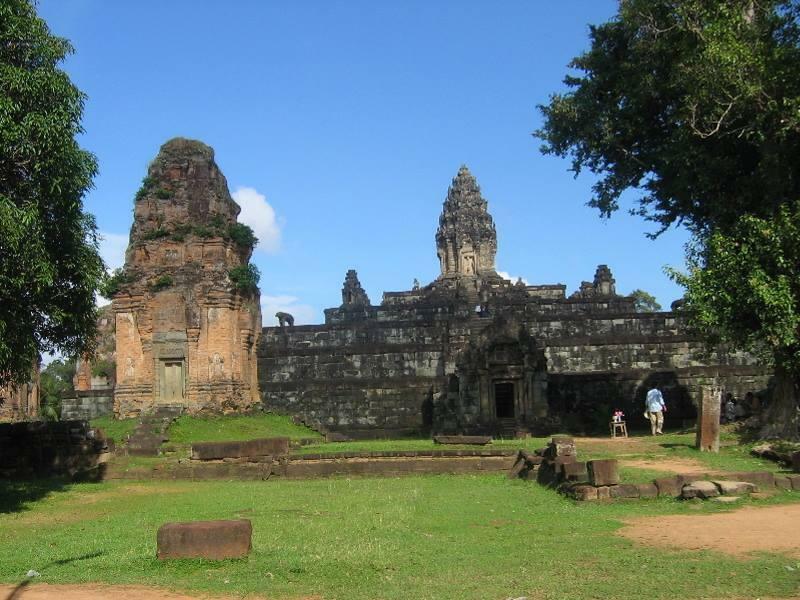 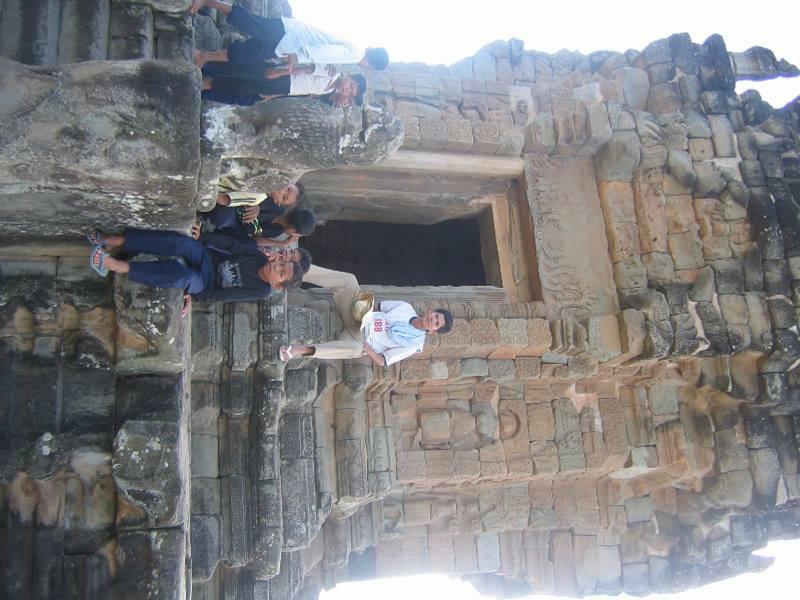 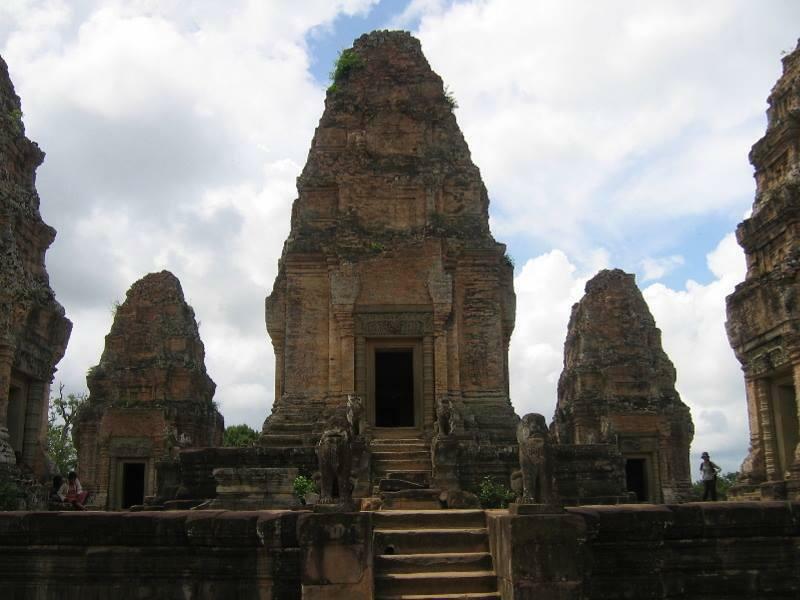 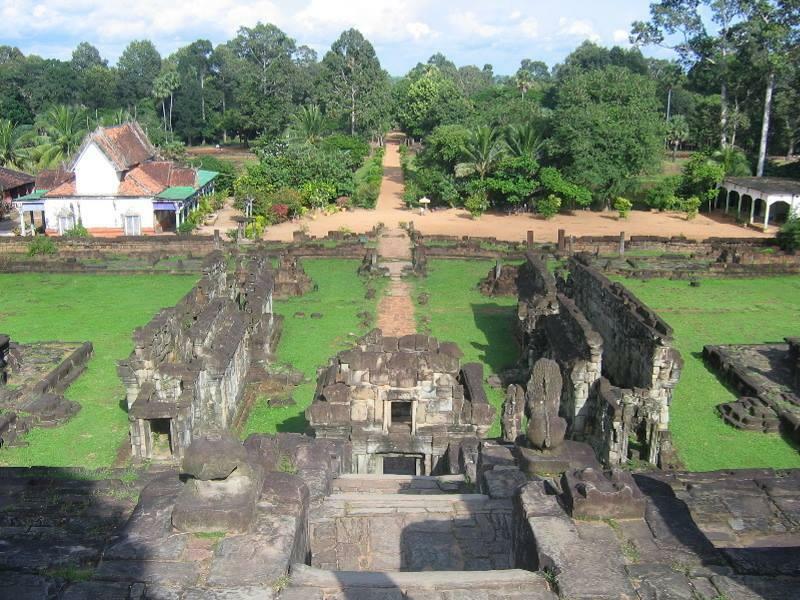 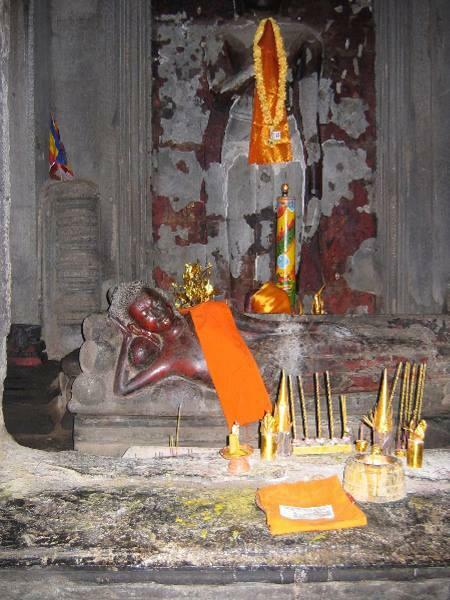 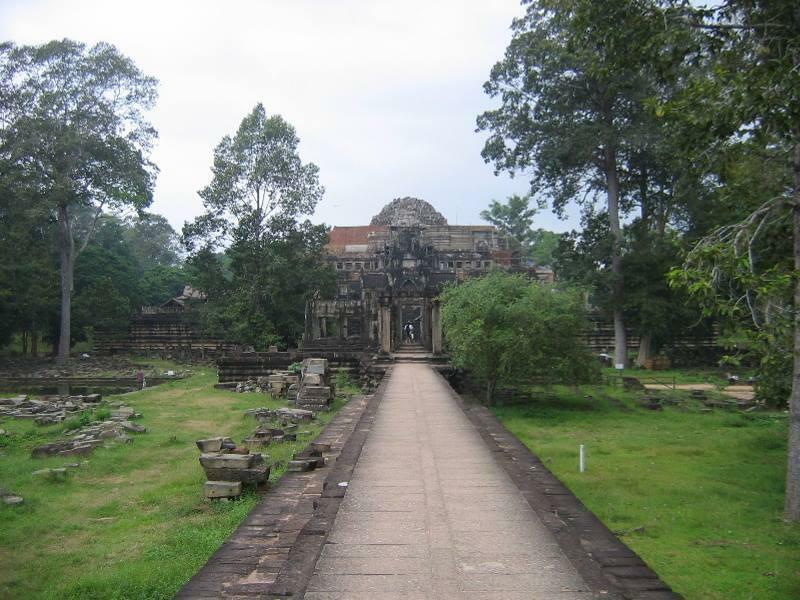 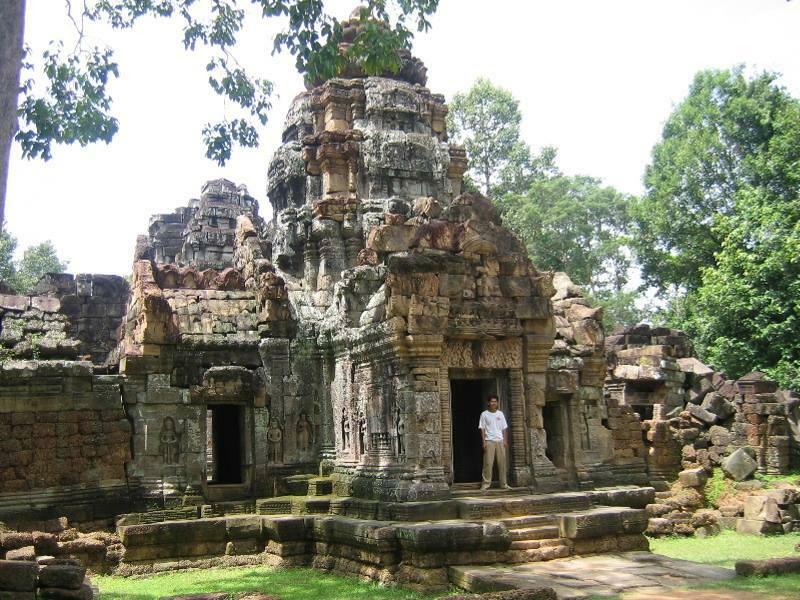 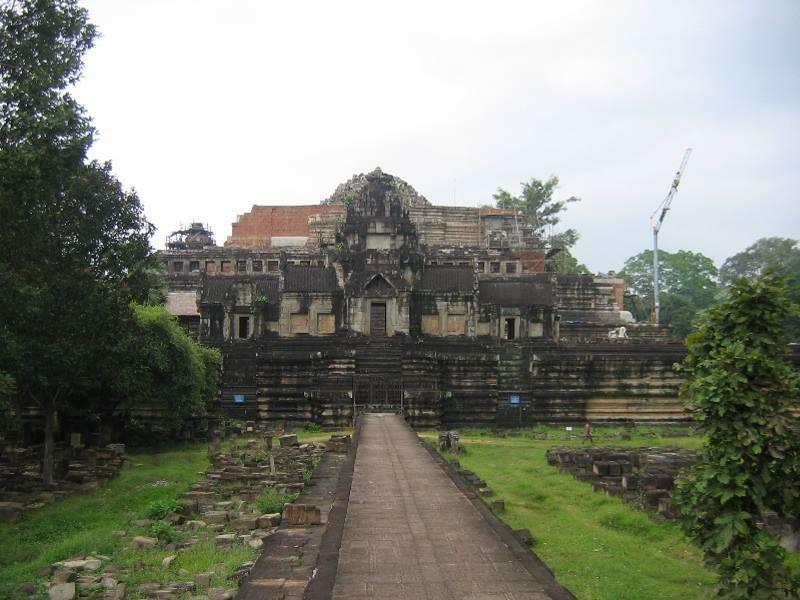 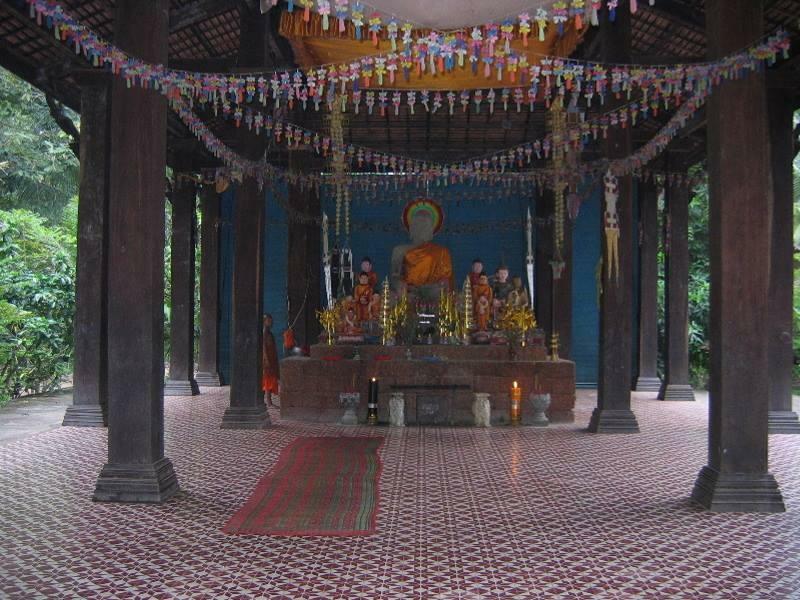 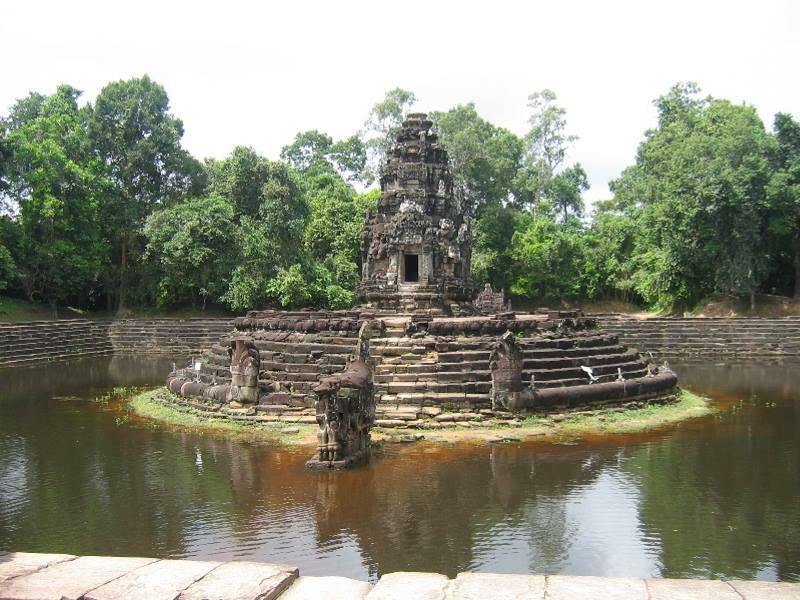 The temple is at the top of the high classical style of Khmer architecture. 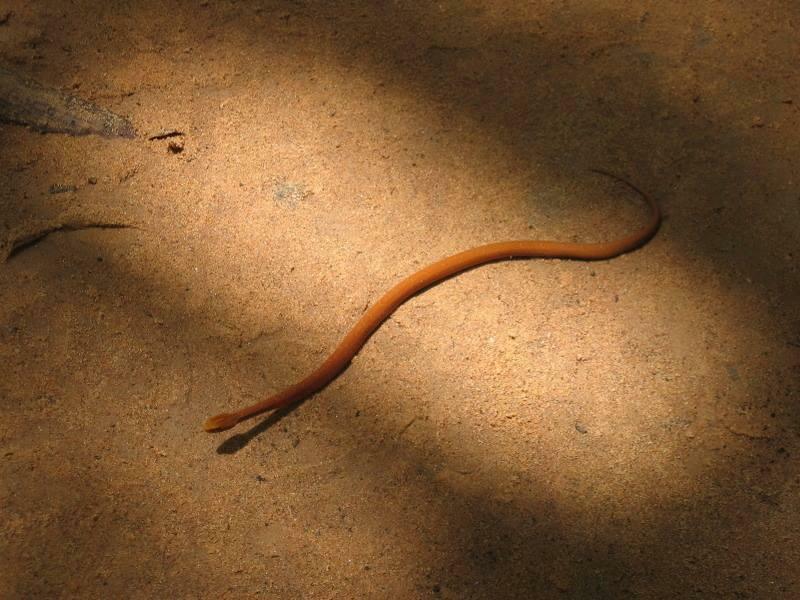 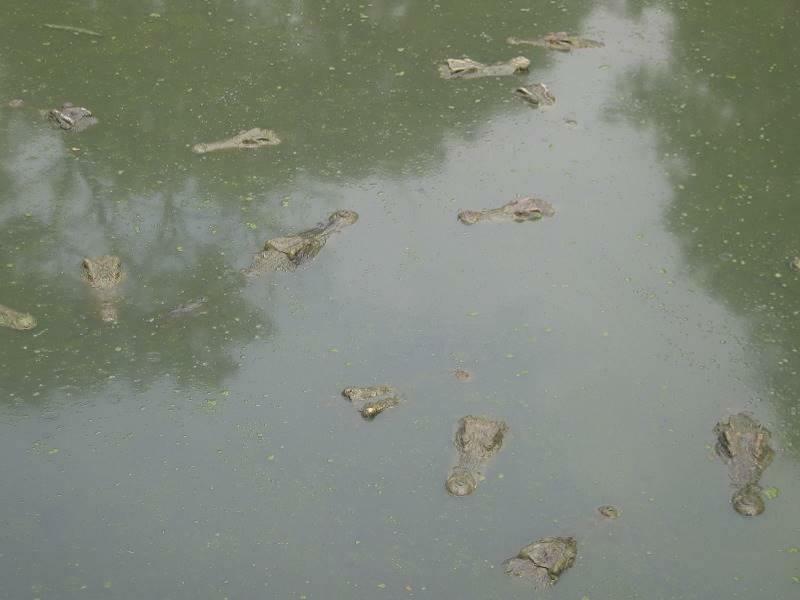 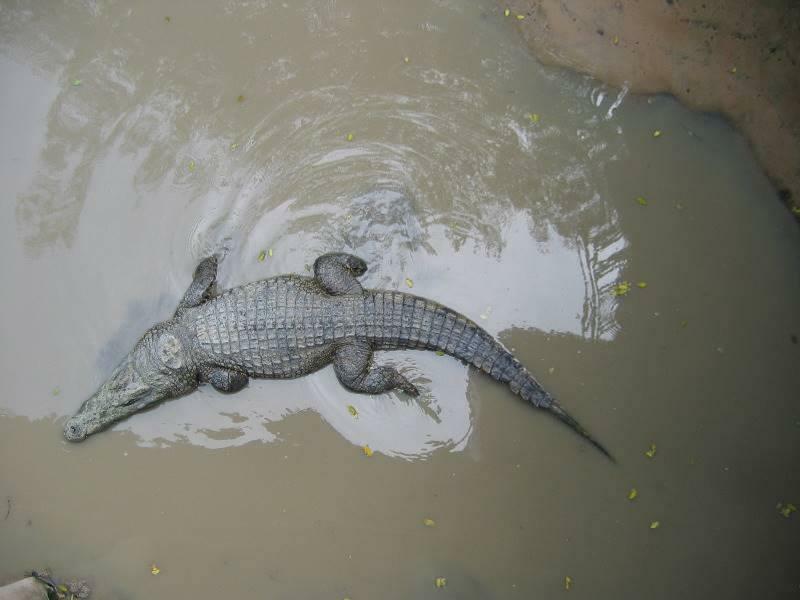 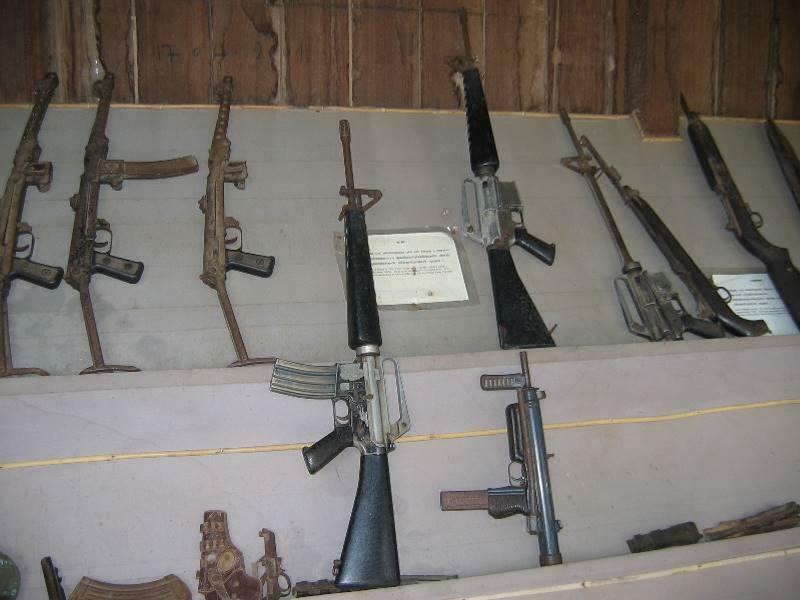 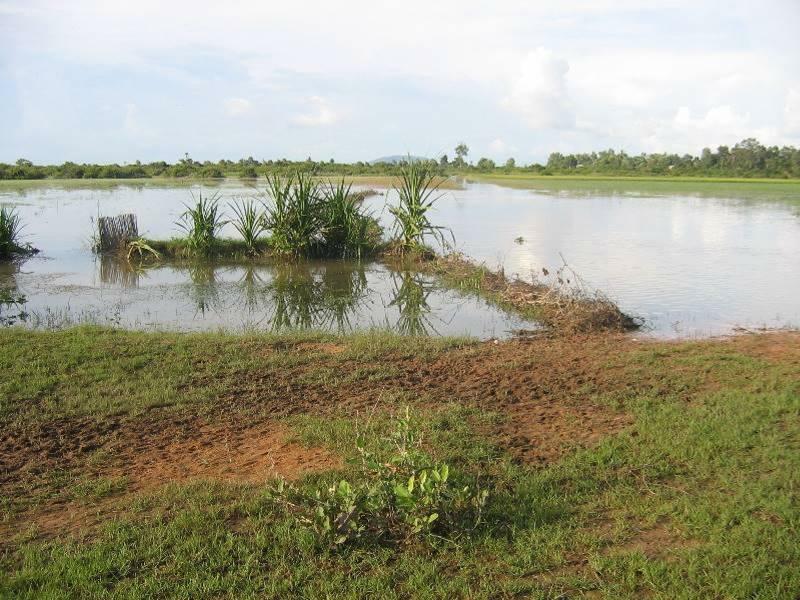 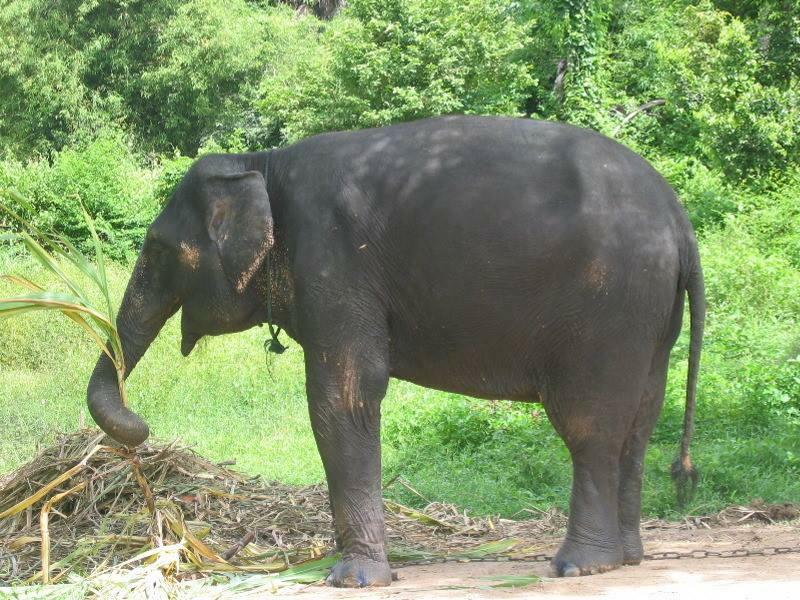 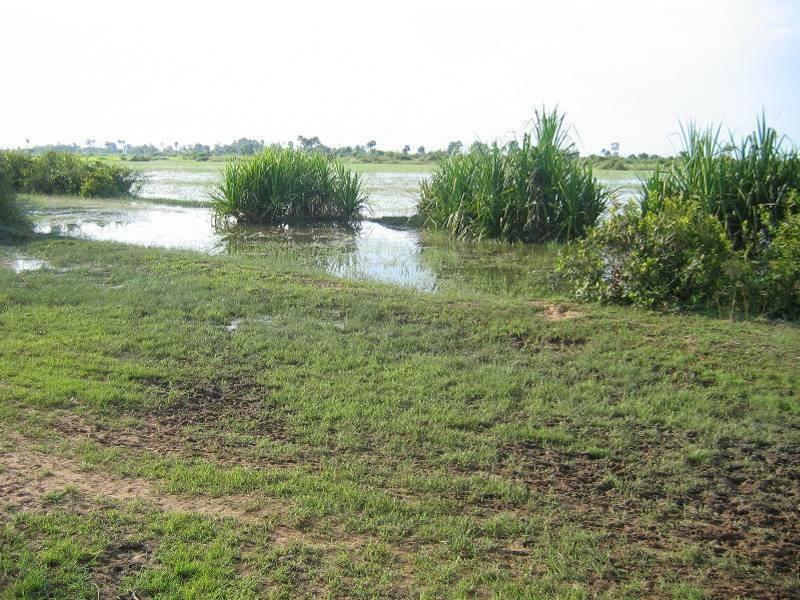 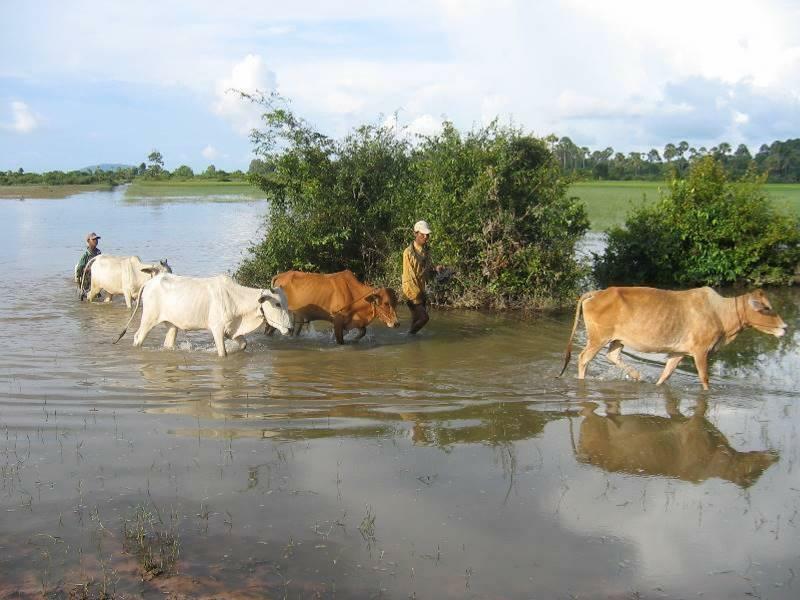 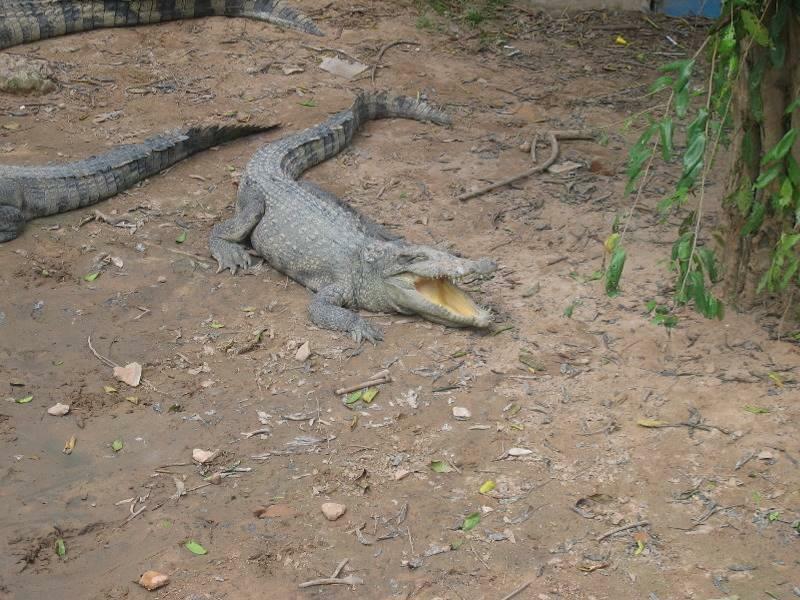 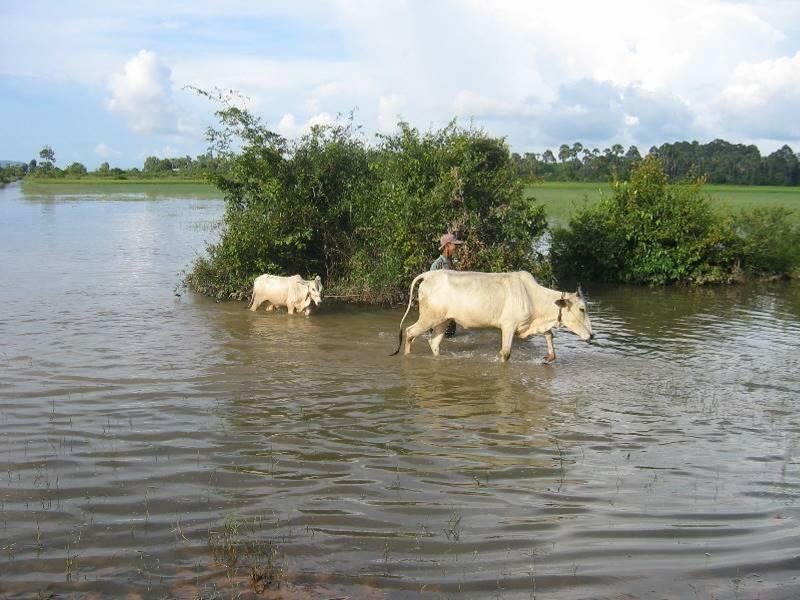 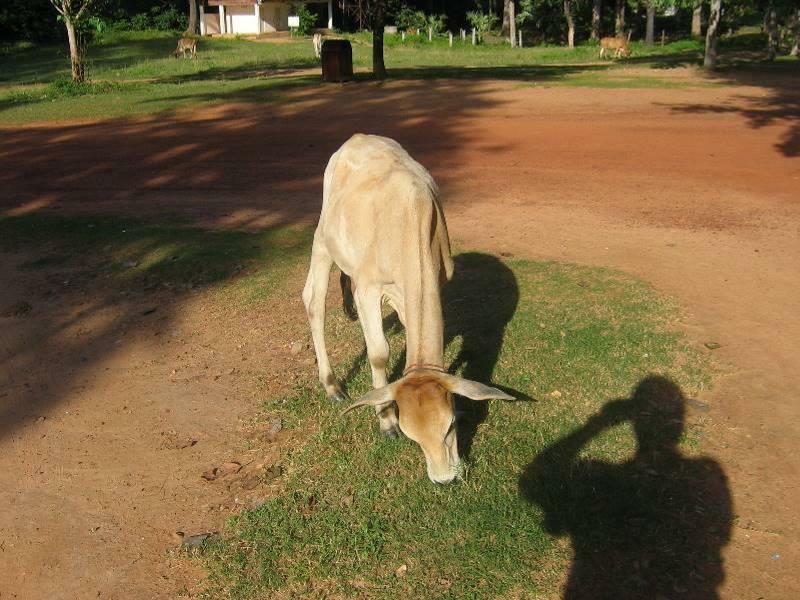 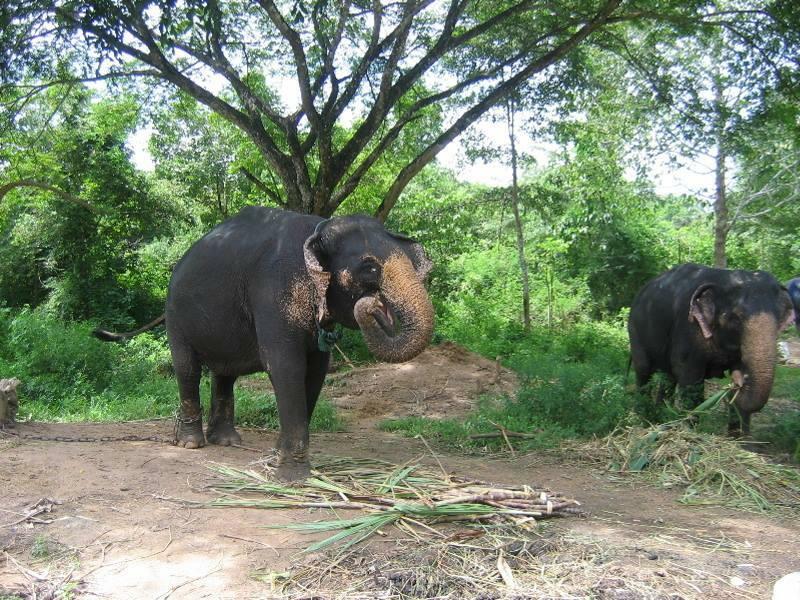 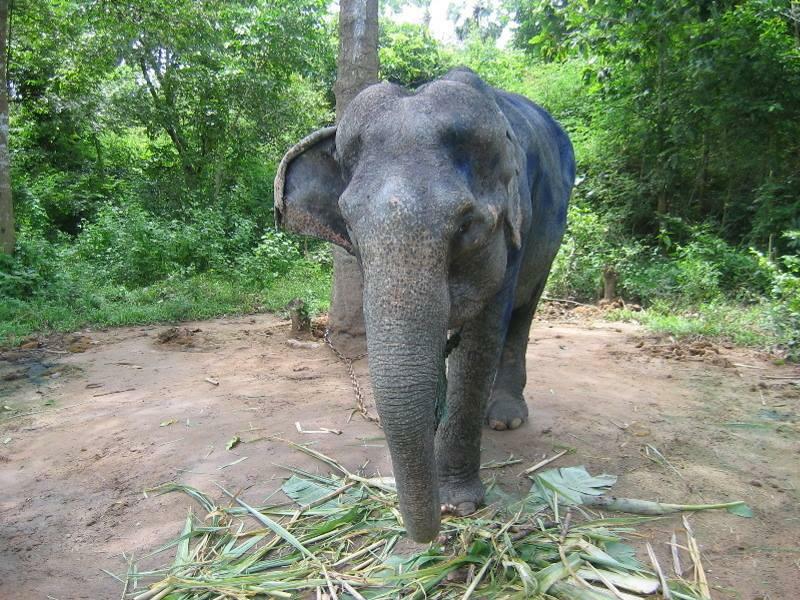 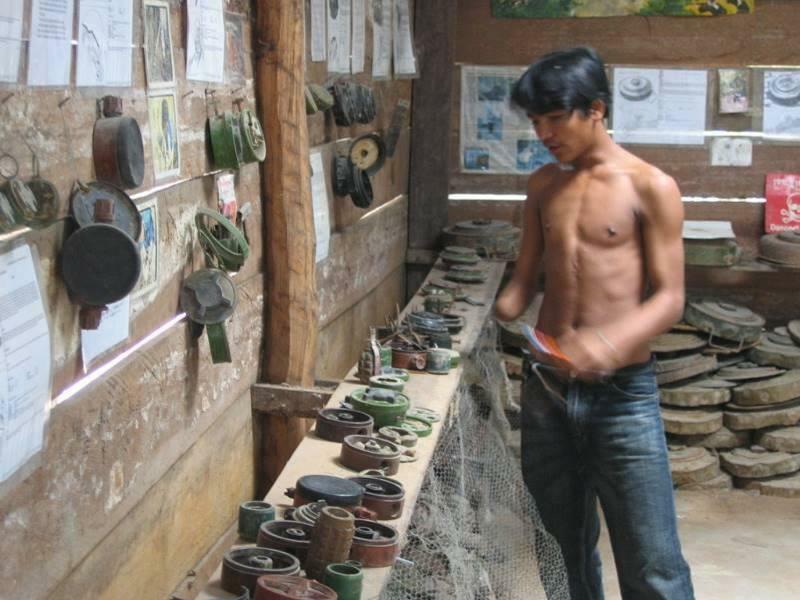 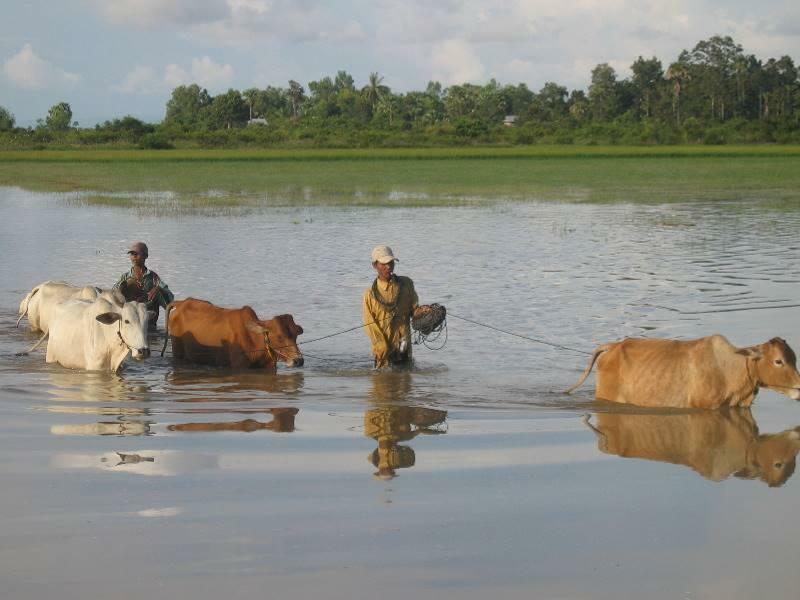 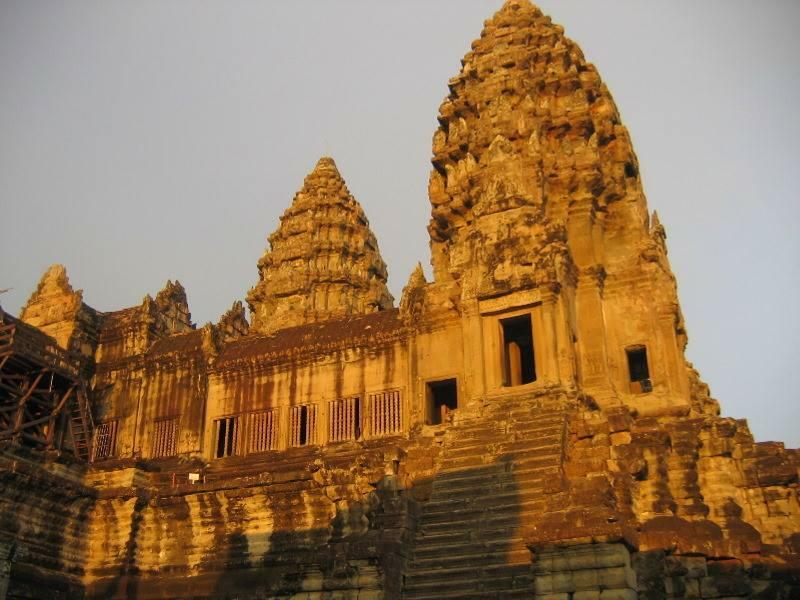 It has become a symbol of Cambodia, appearing on its national flag, and it is the country's prime attraction for visitors. 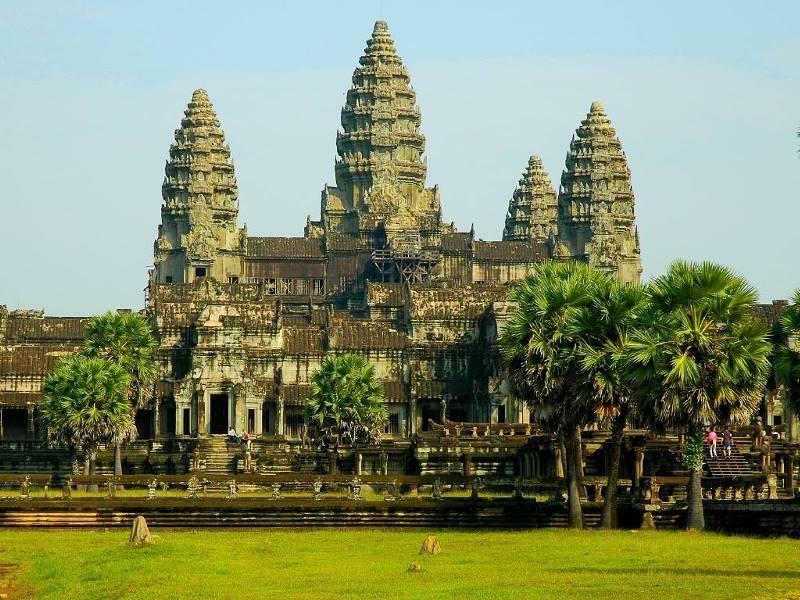 Angkor Wat combines two basic plans of Khmer temple architecture: the temple mountain and the later galleried temple, based on early South Indian Hindu architecture, with key features such as the Jagati. 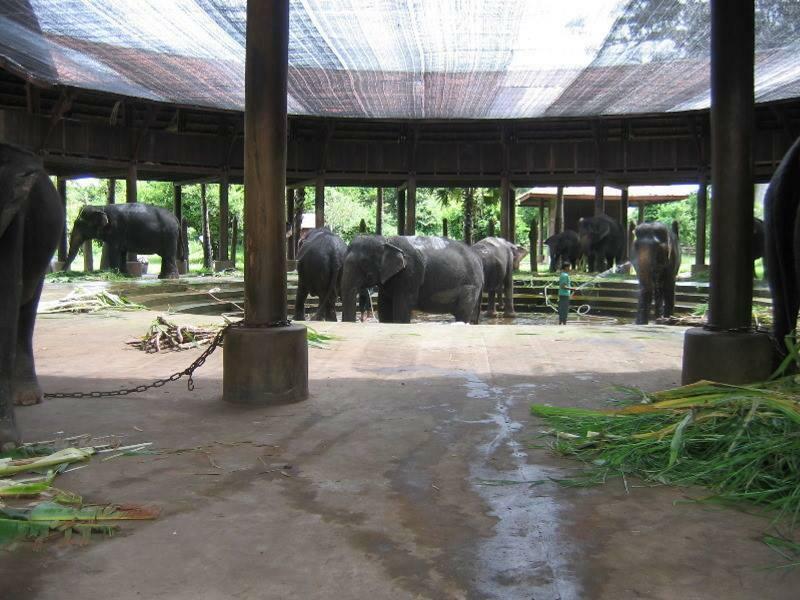 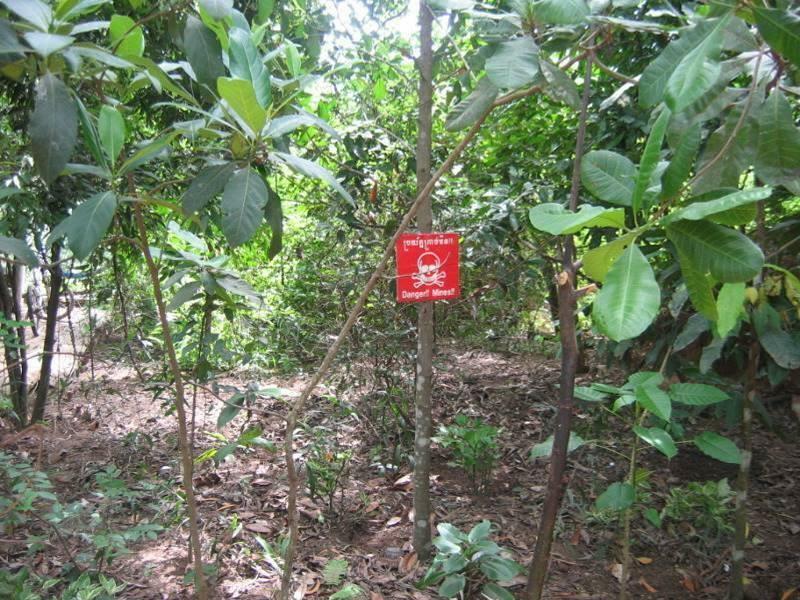 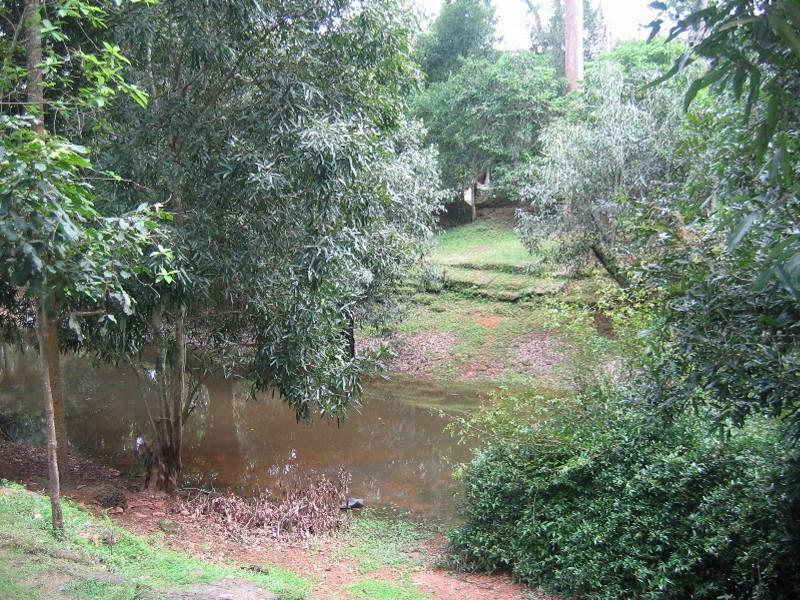 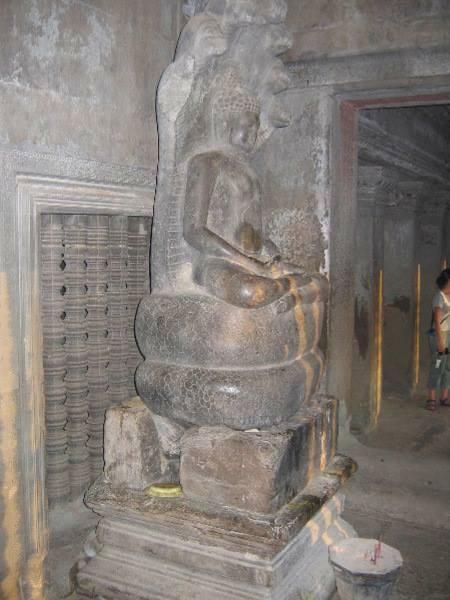 It is designed to represent Mount Meru, home of the demogods.. 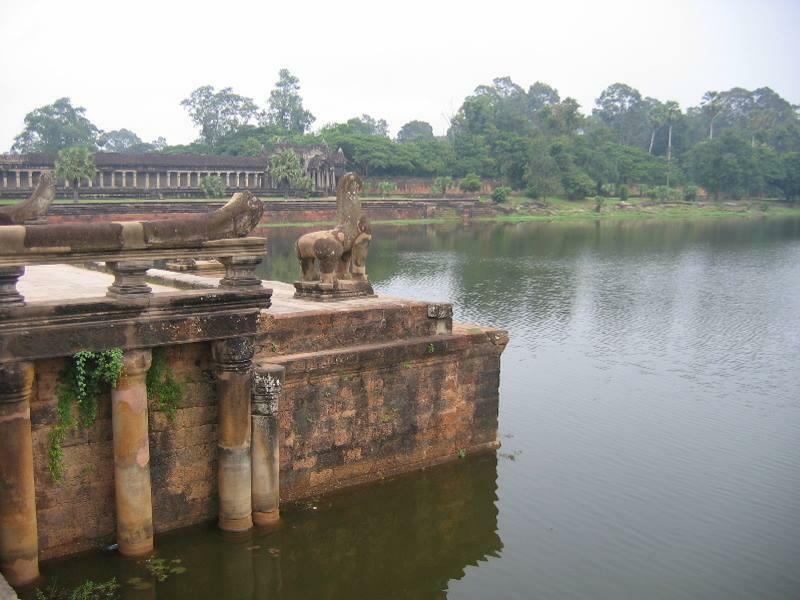 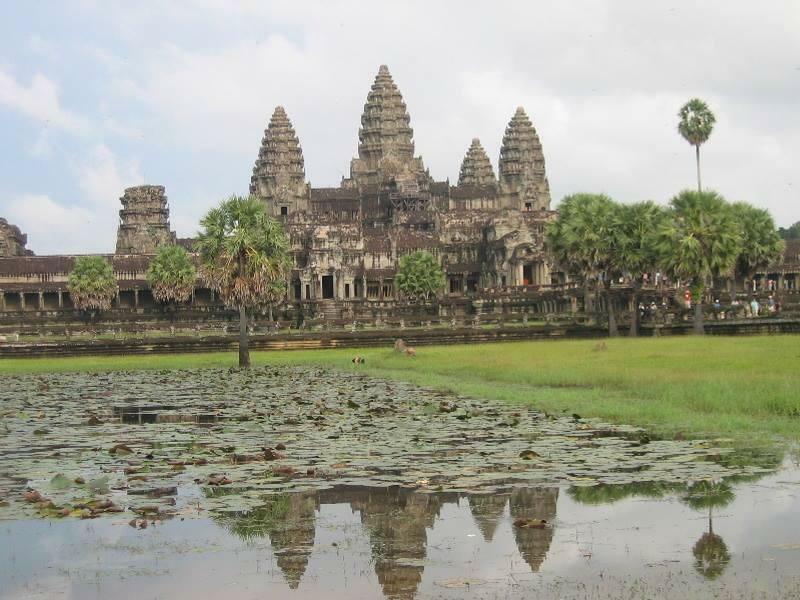 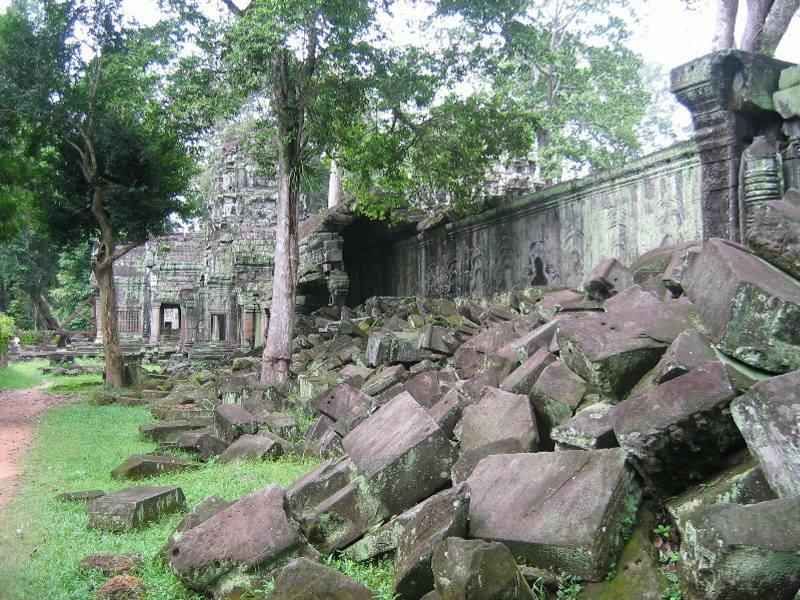 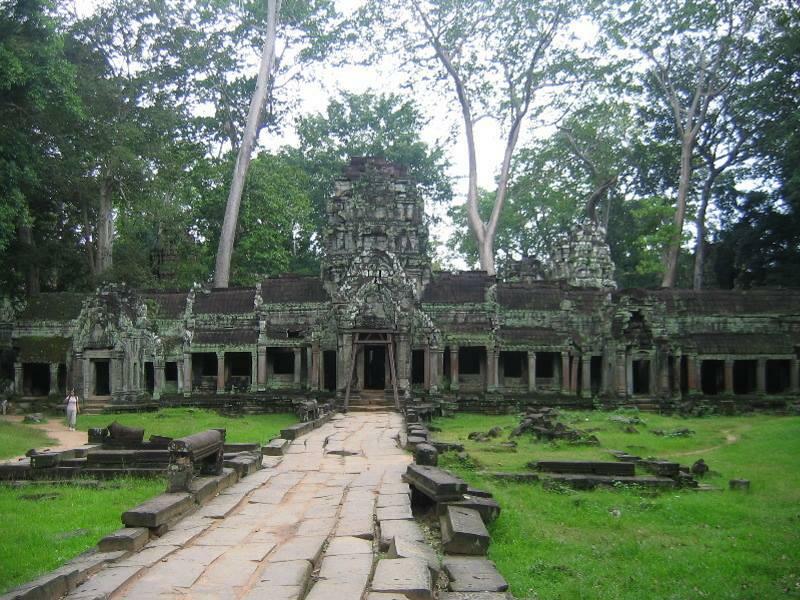 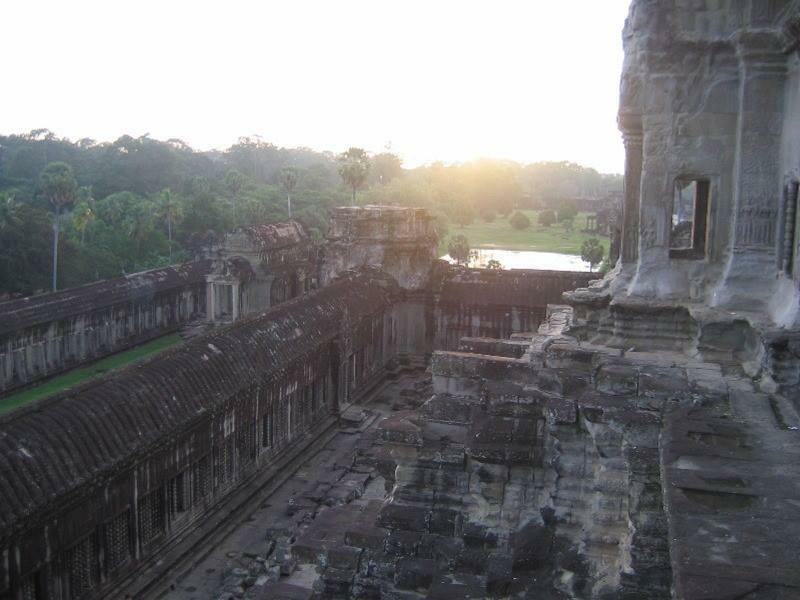 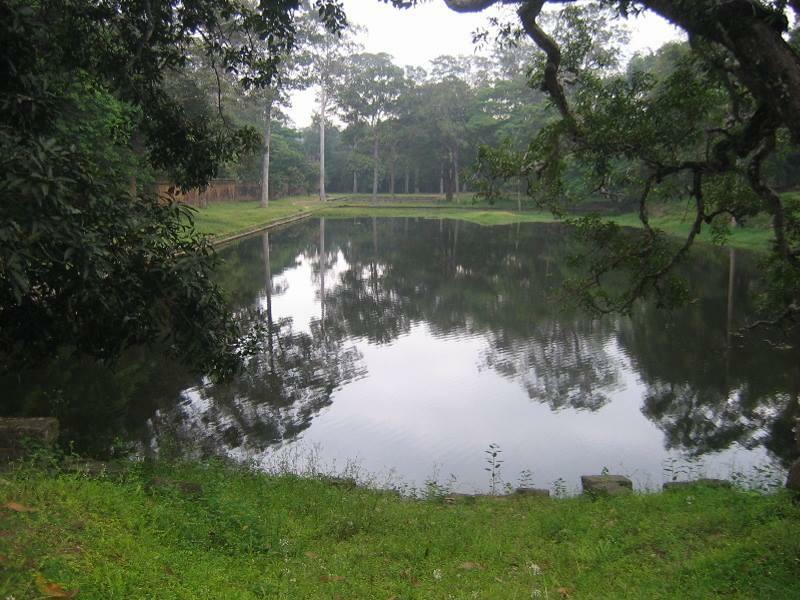 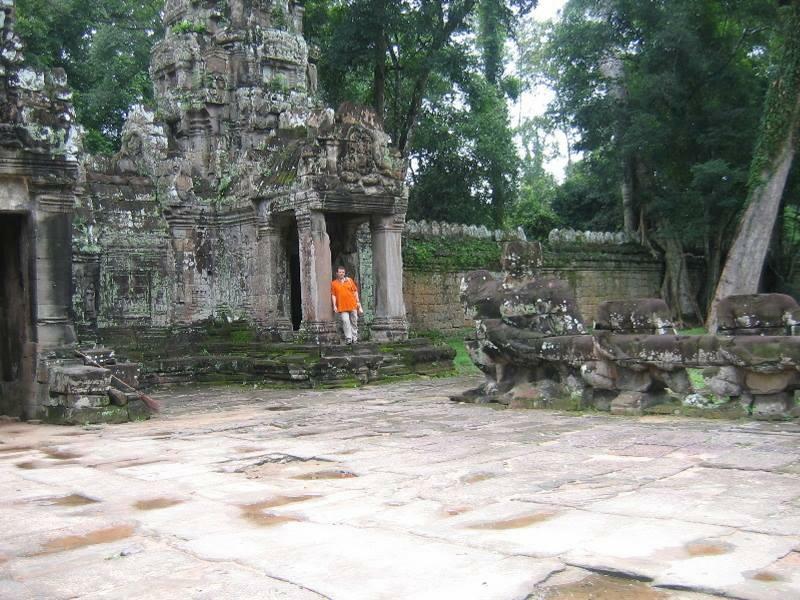 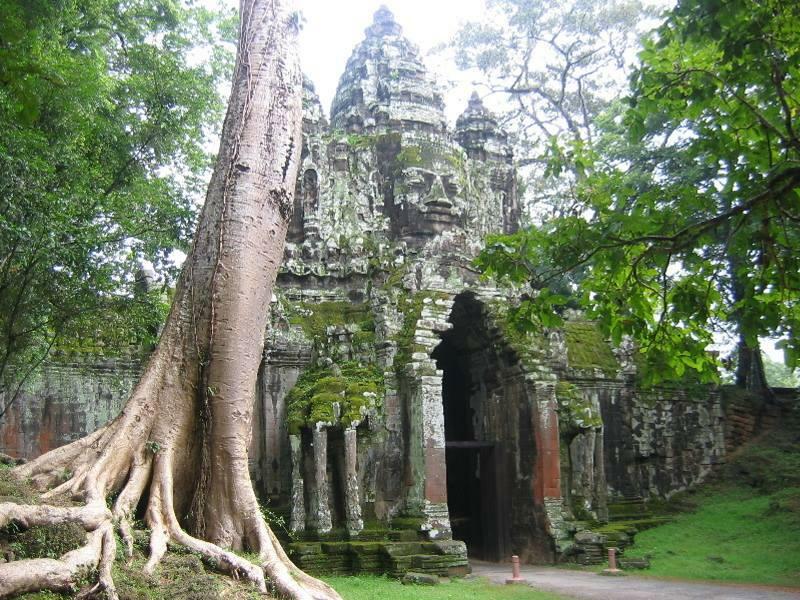 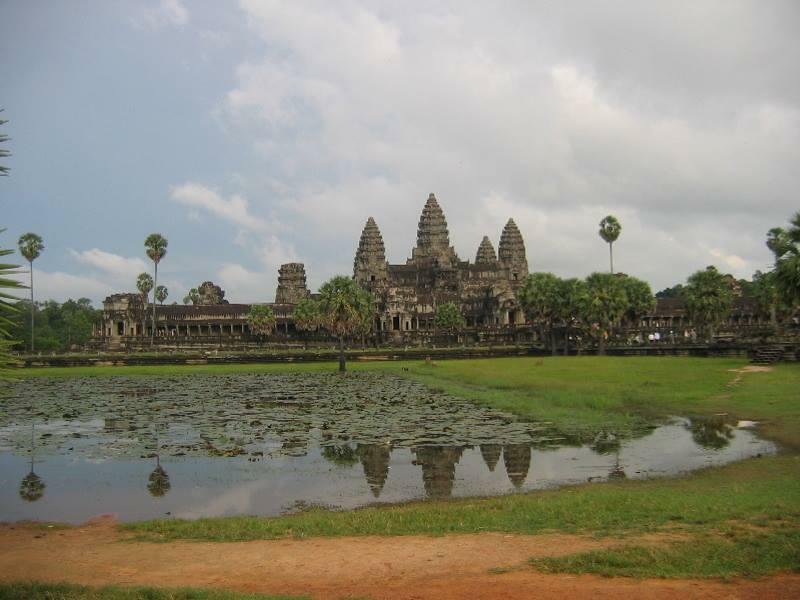 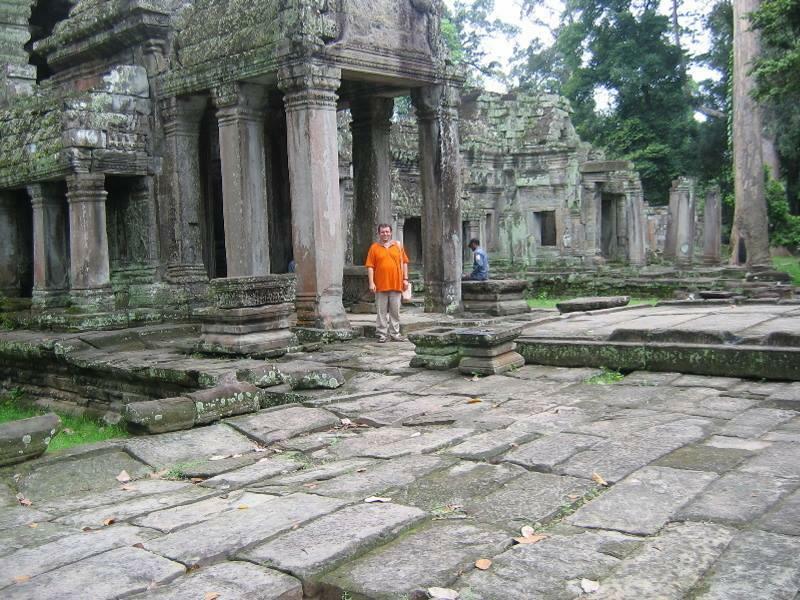 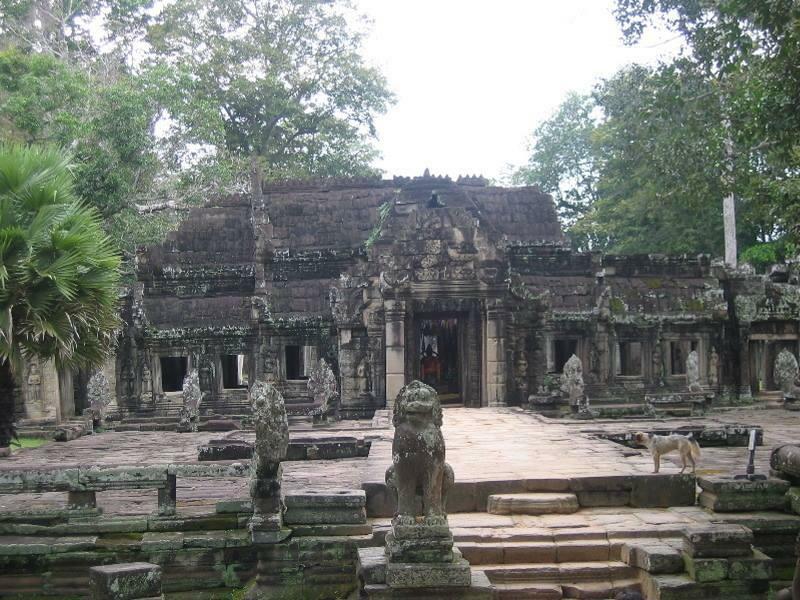 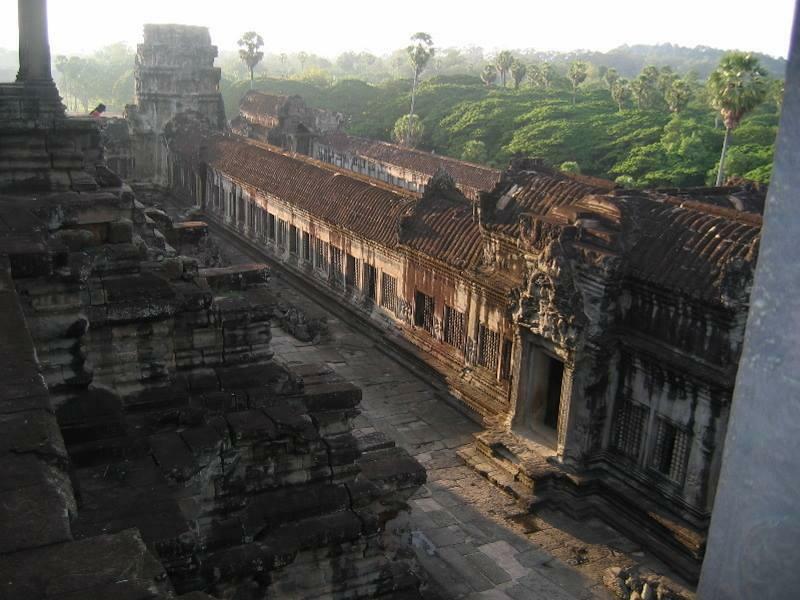 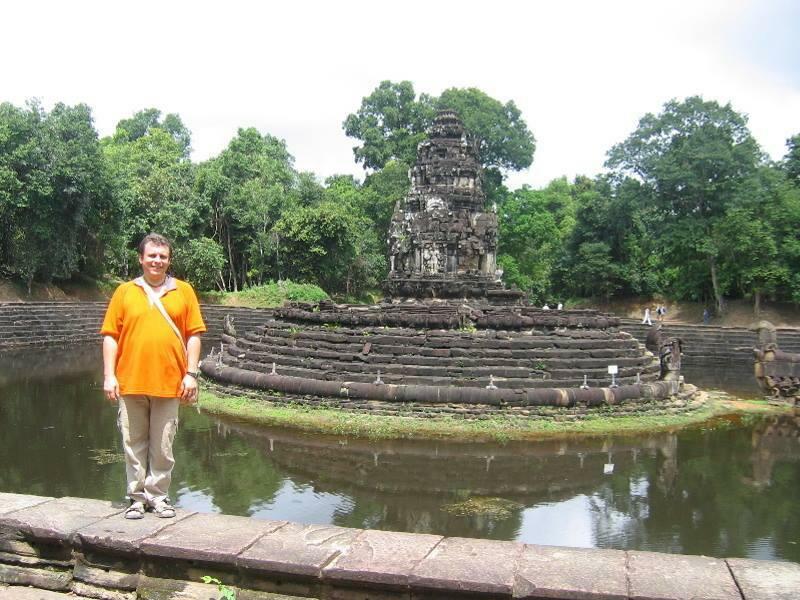 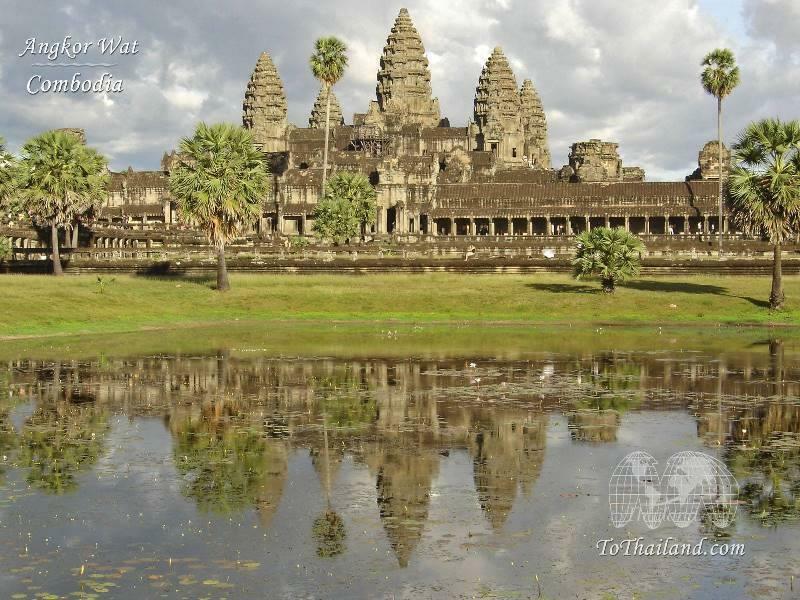 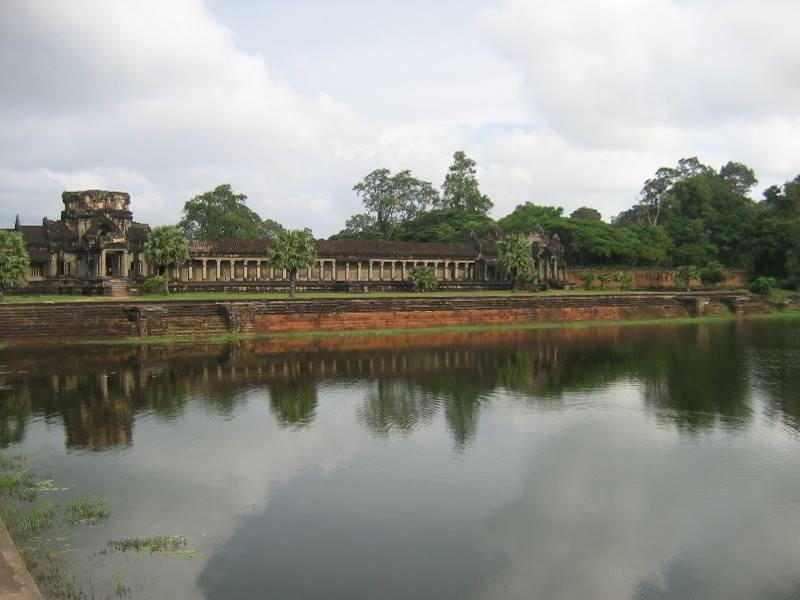 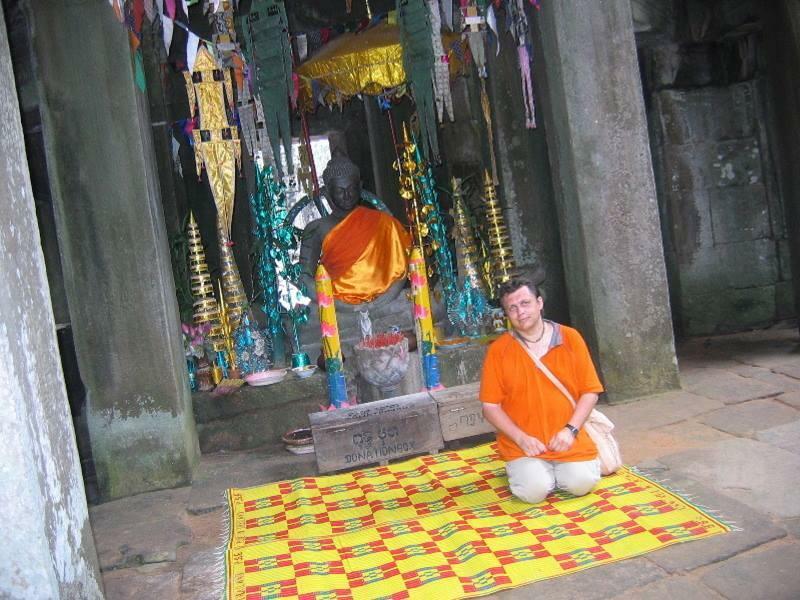 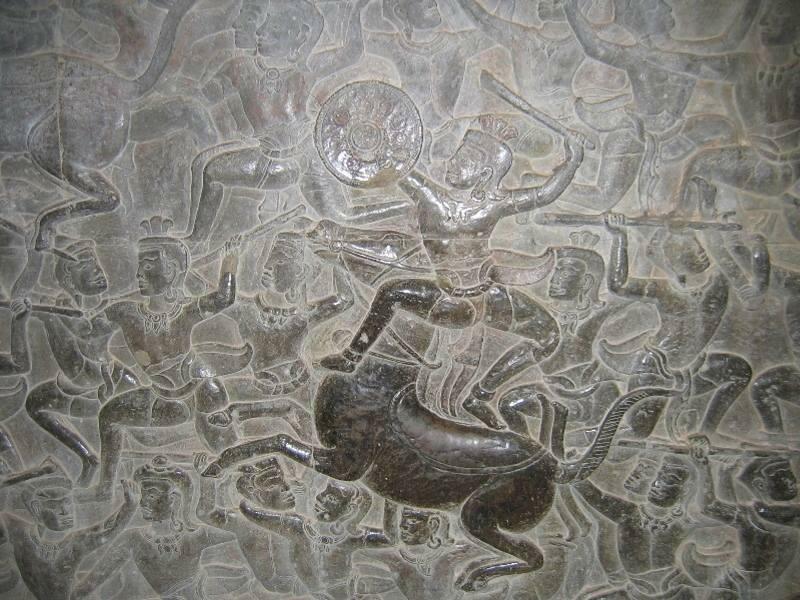 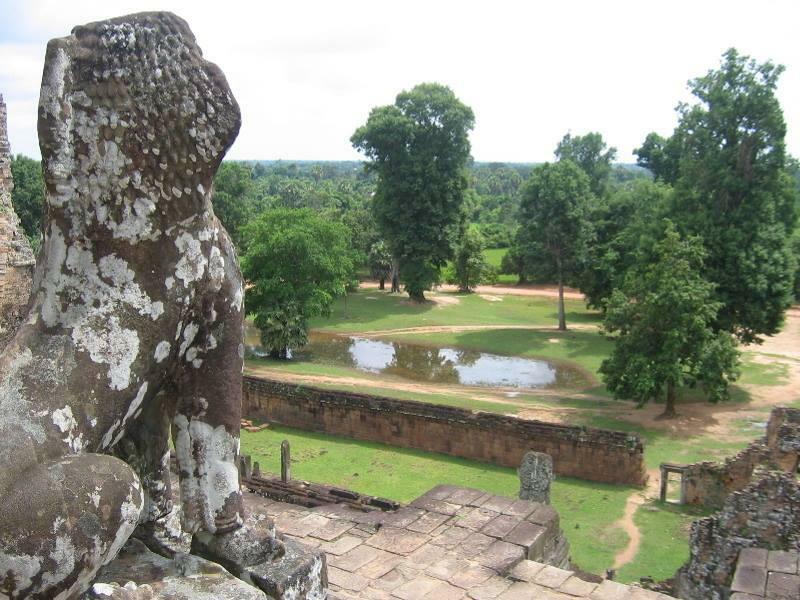 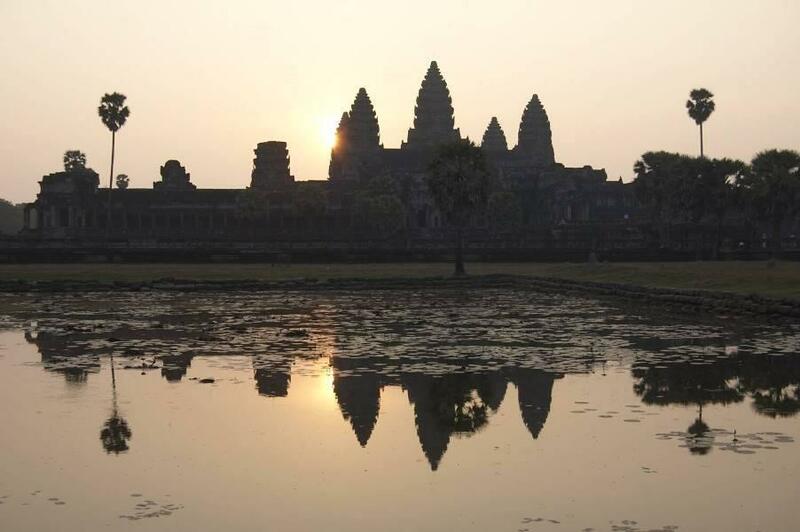 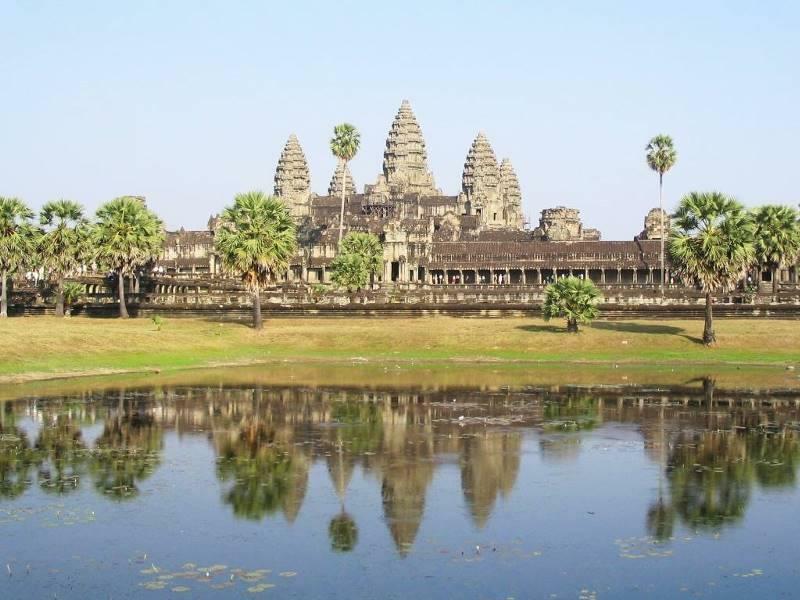 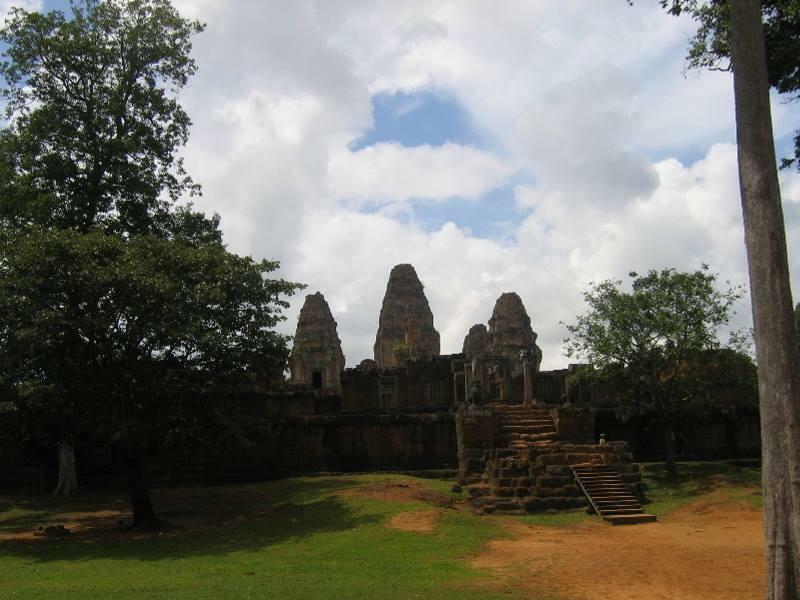 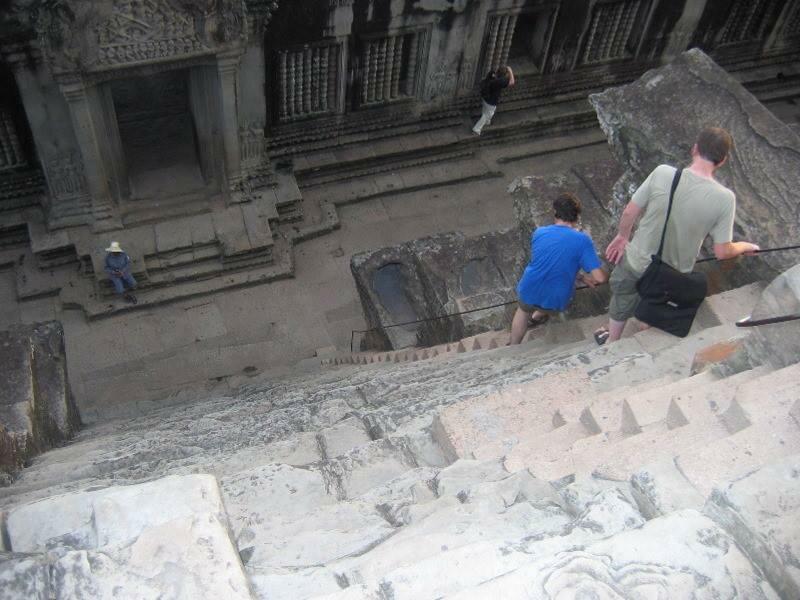 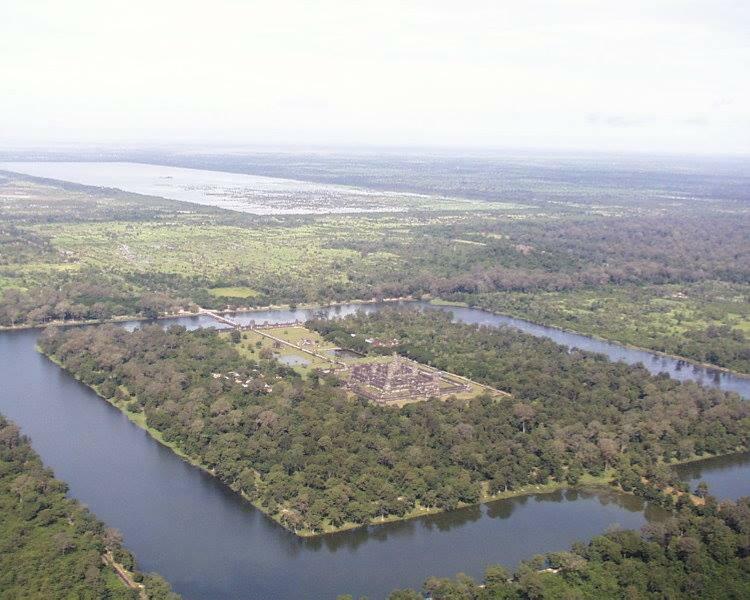 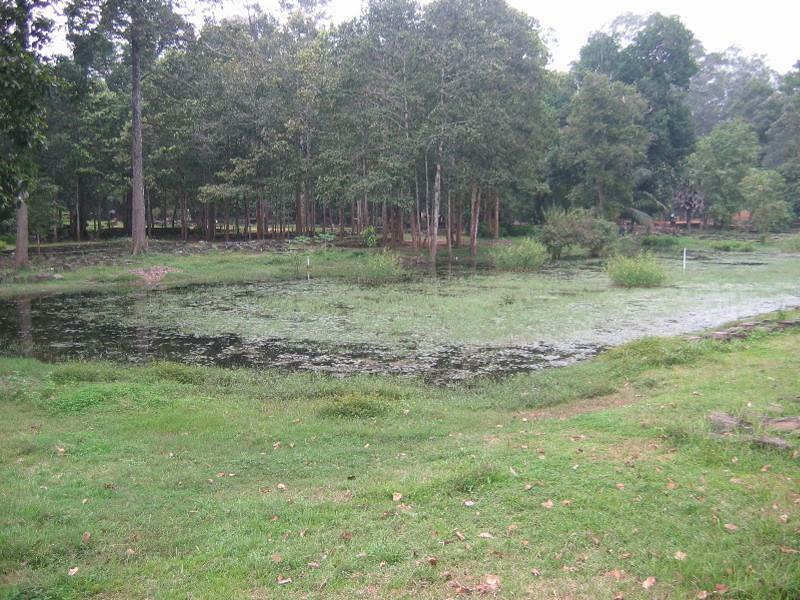 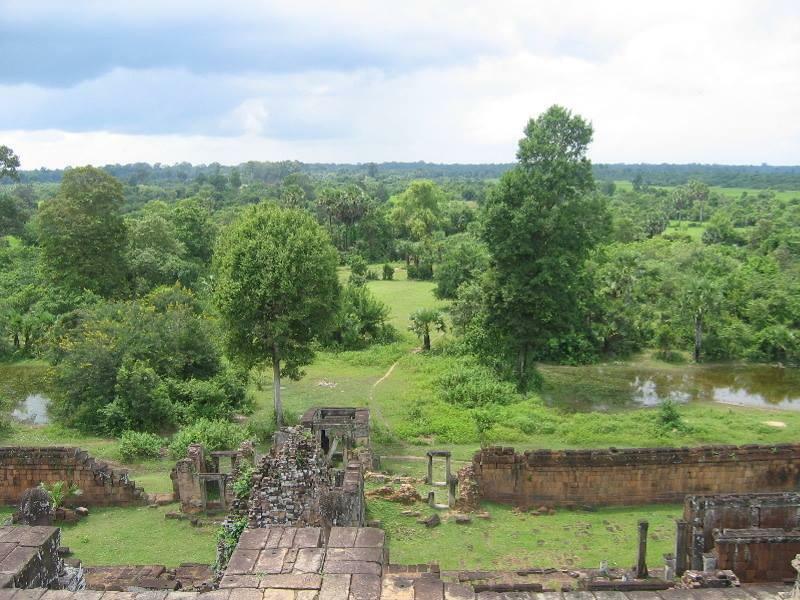 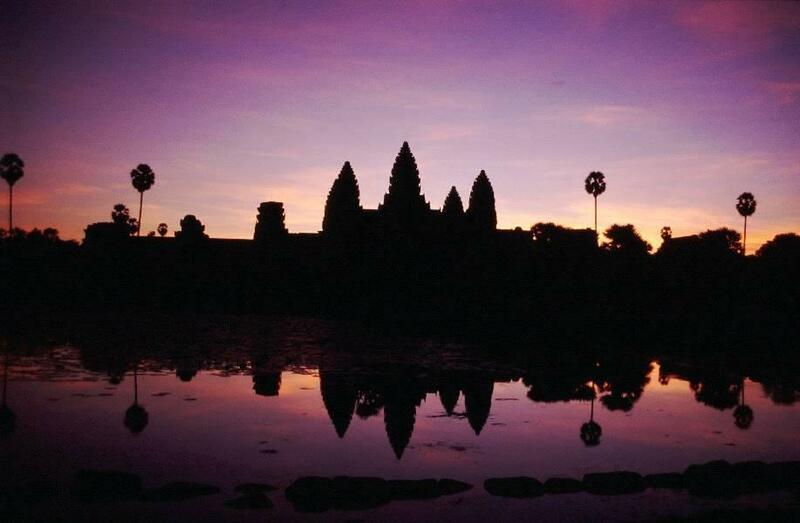 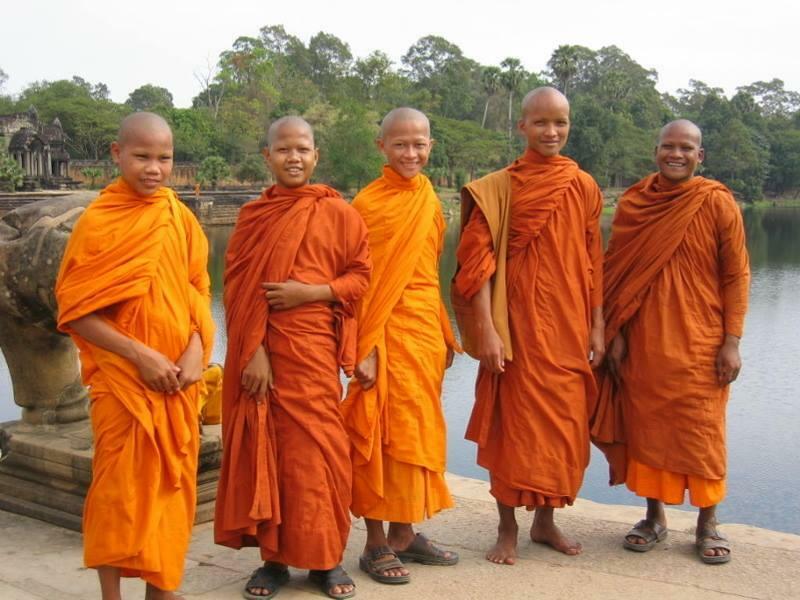 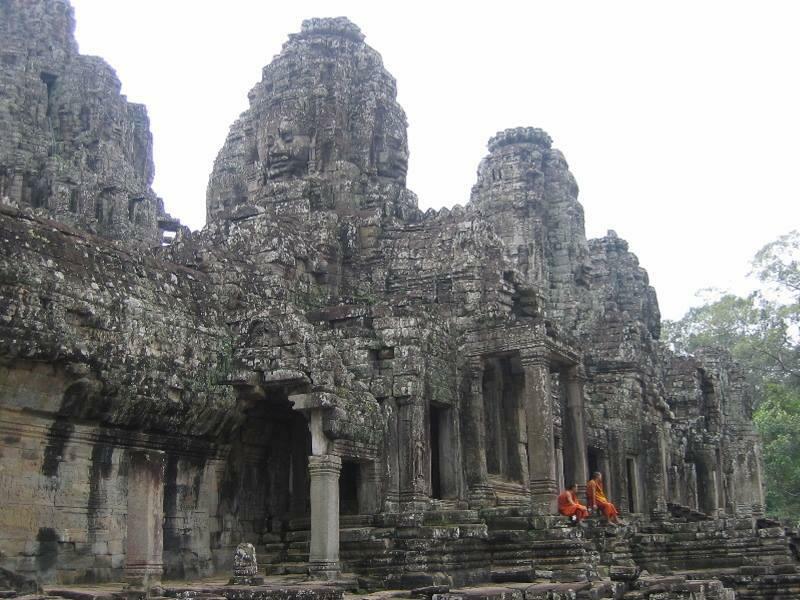 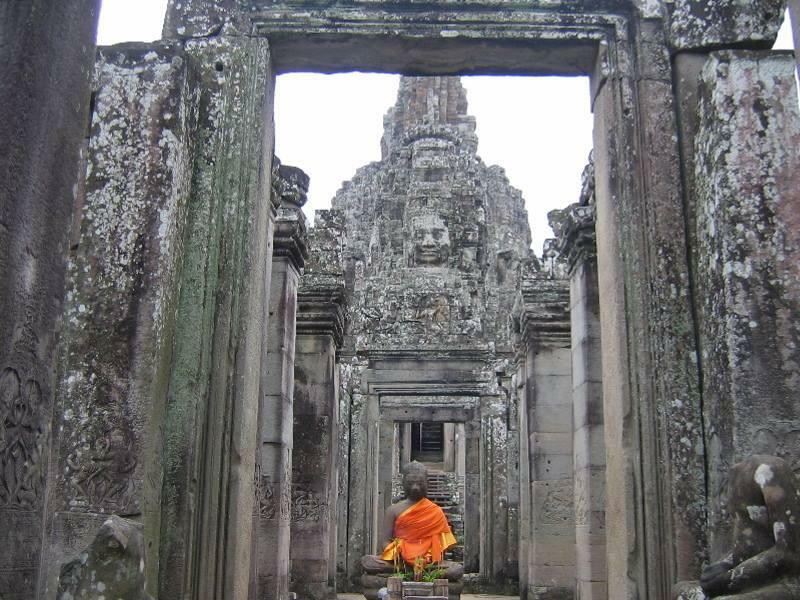 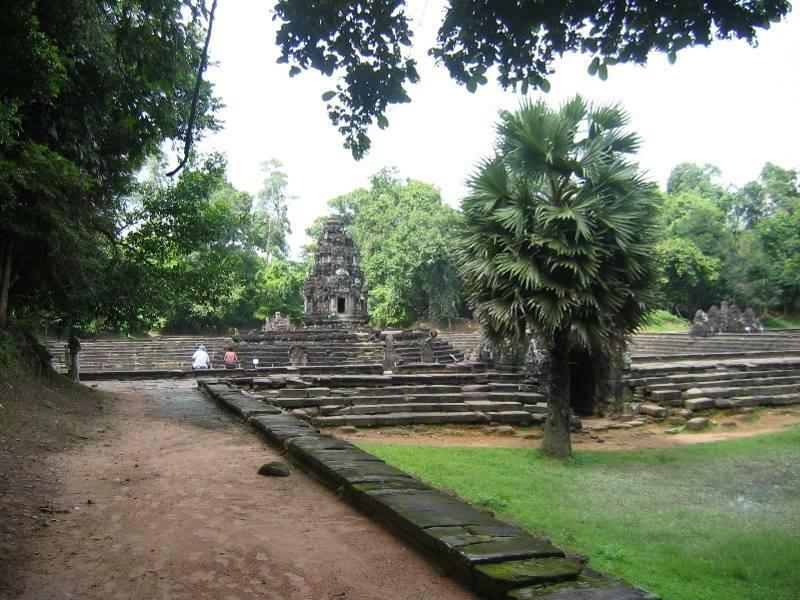 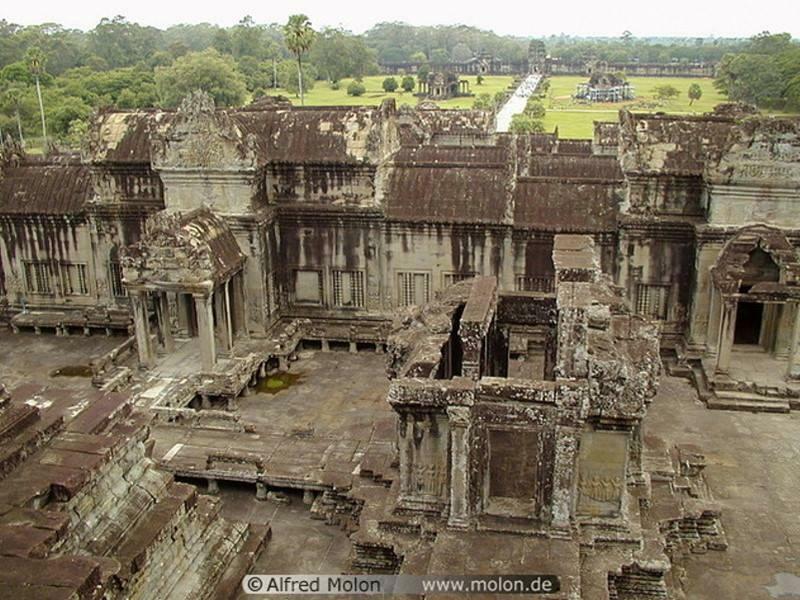 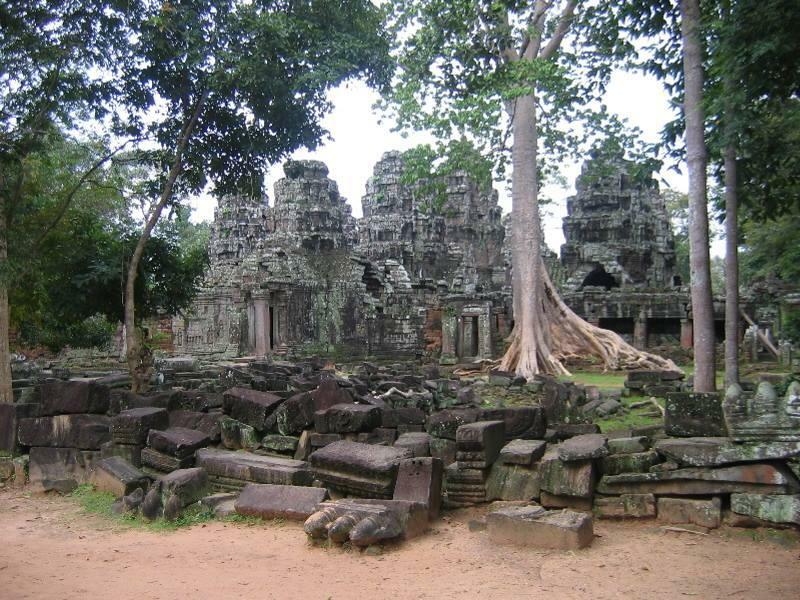 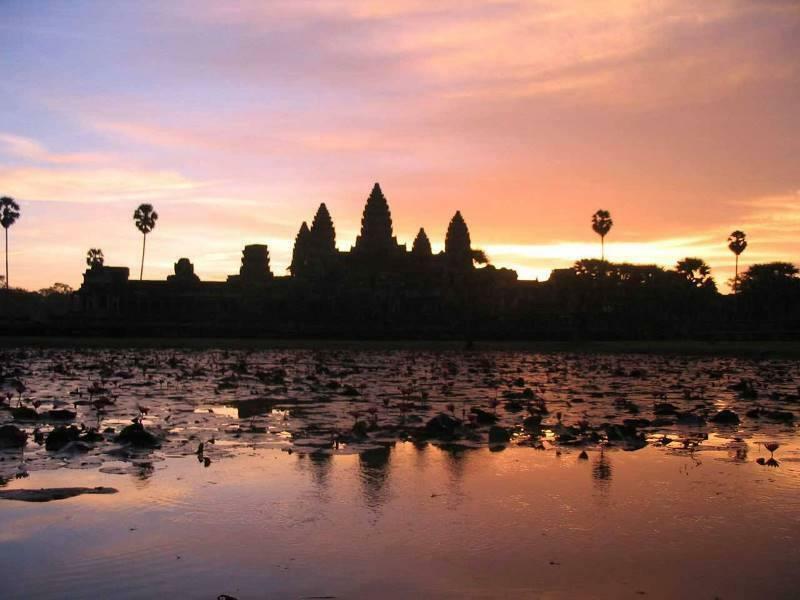 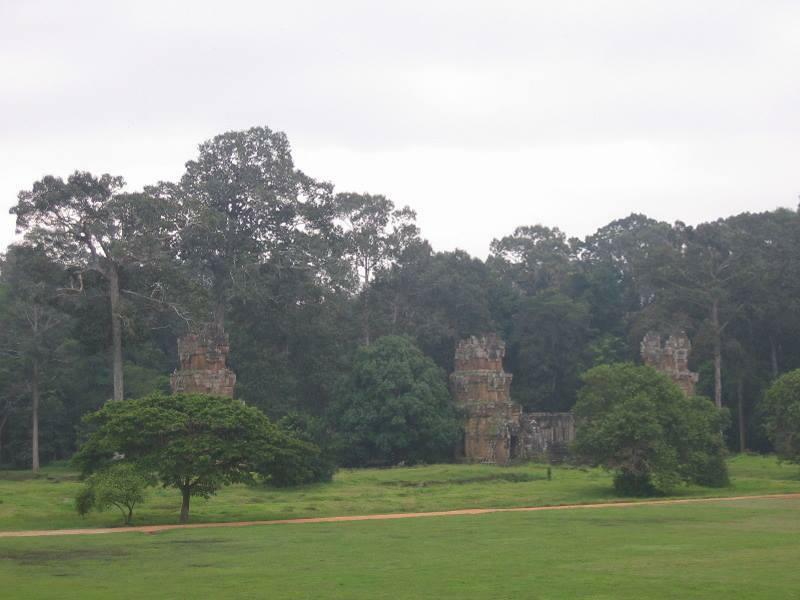 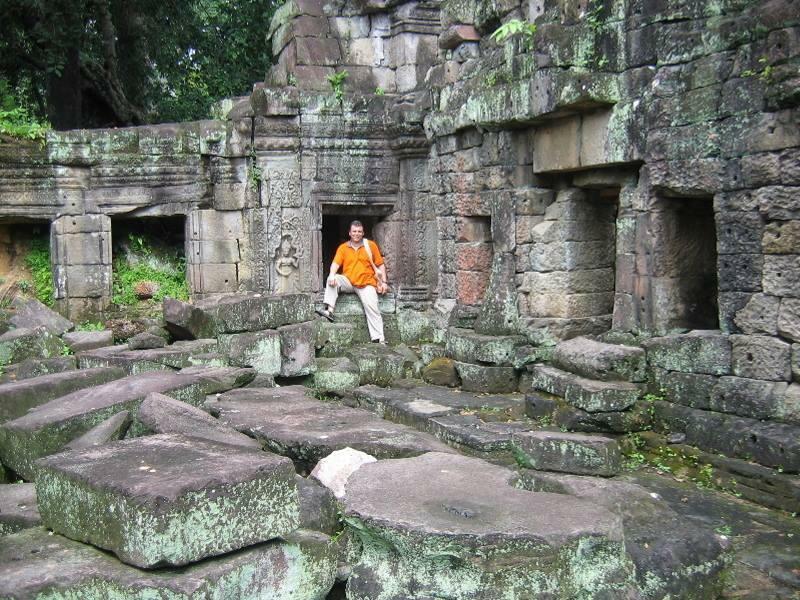 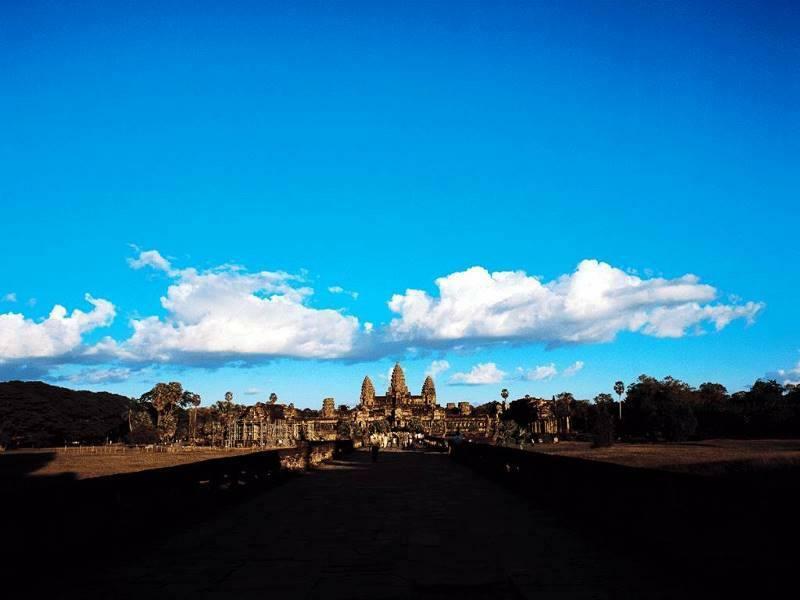 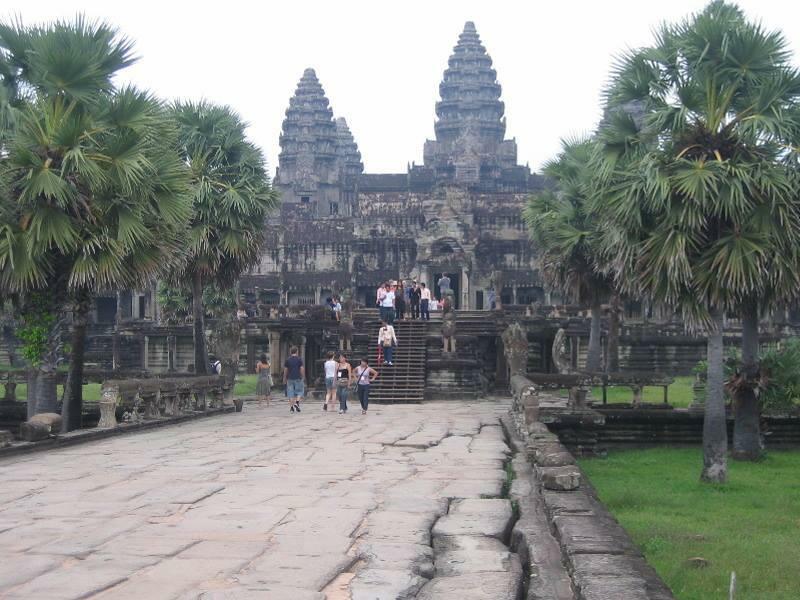 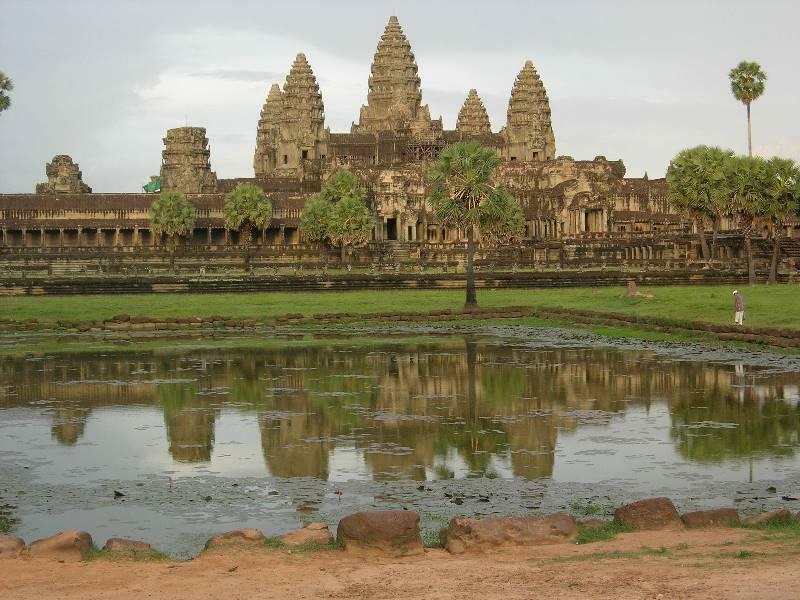 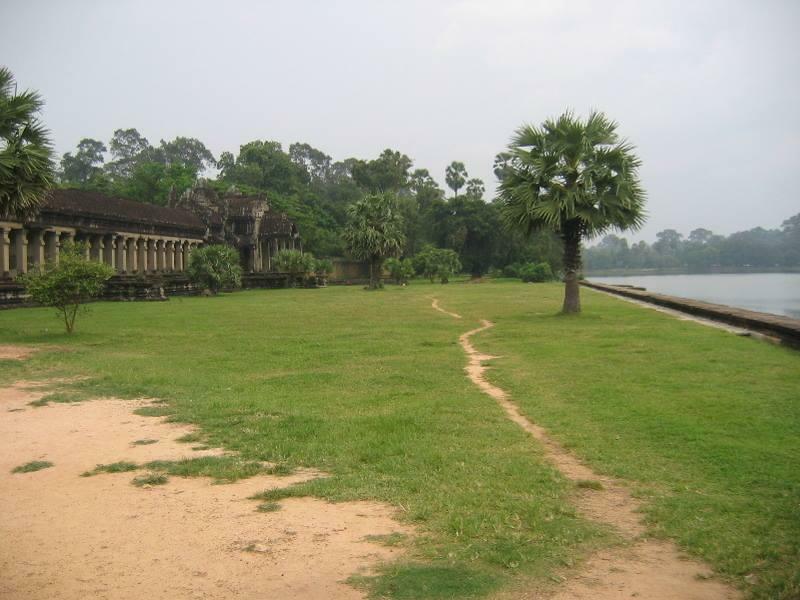 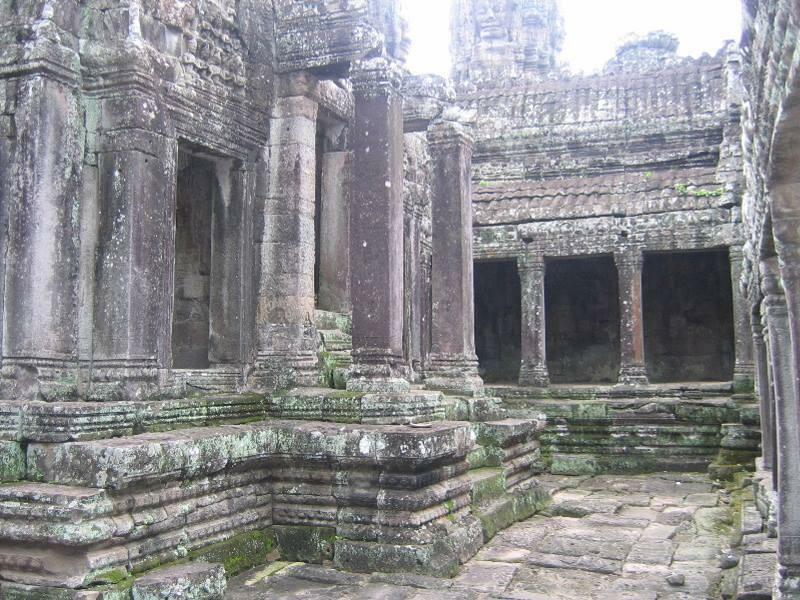 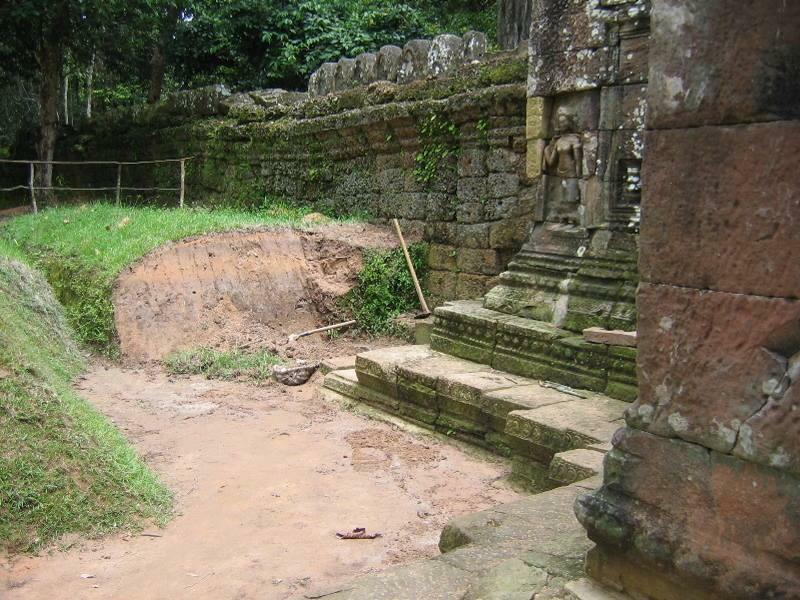 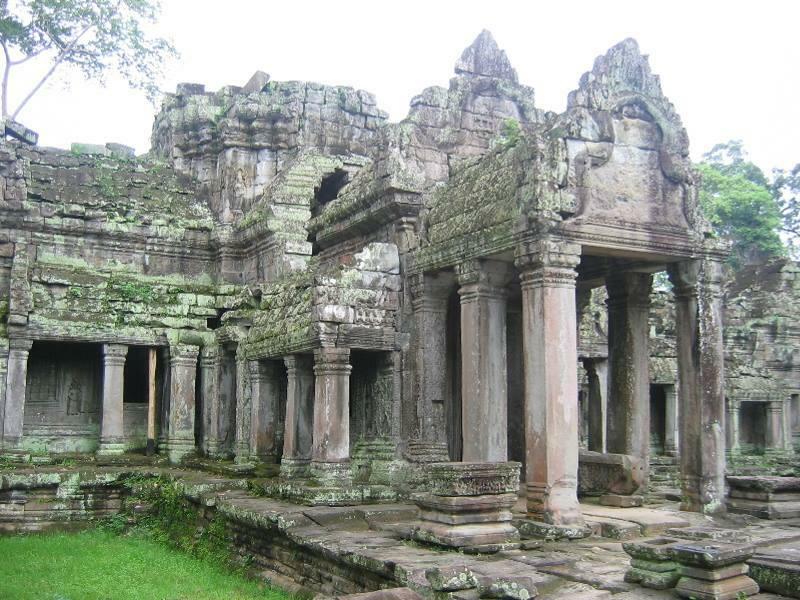 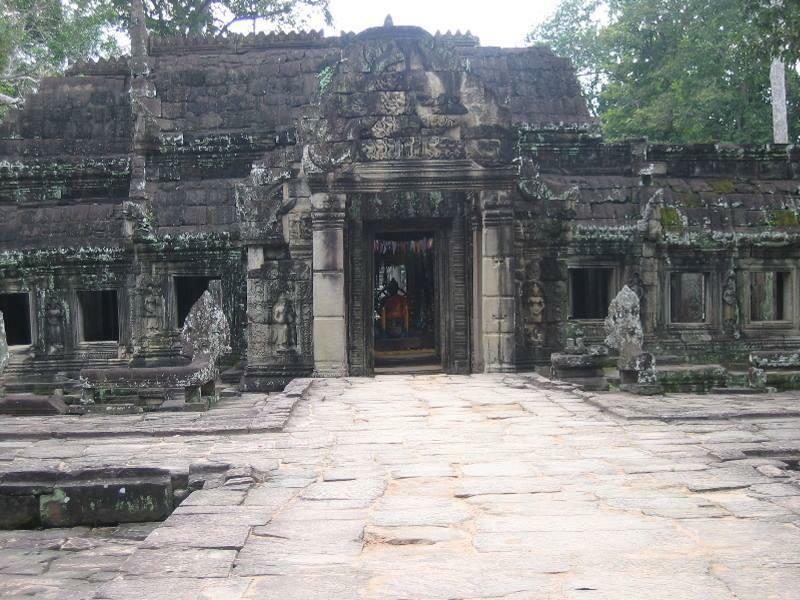 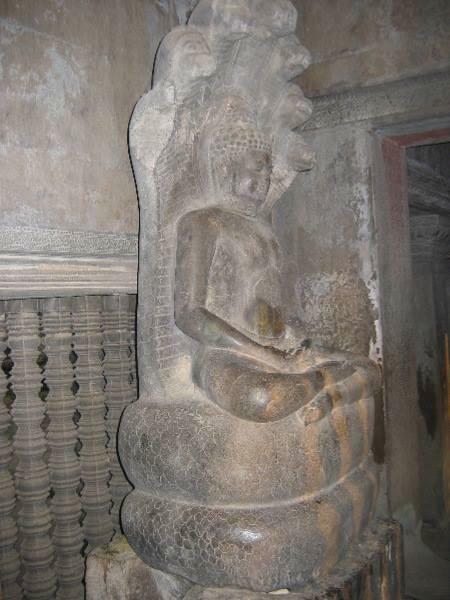 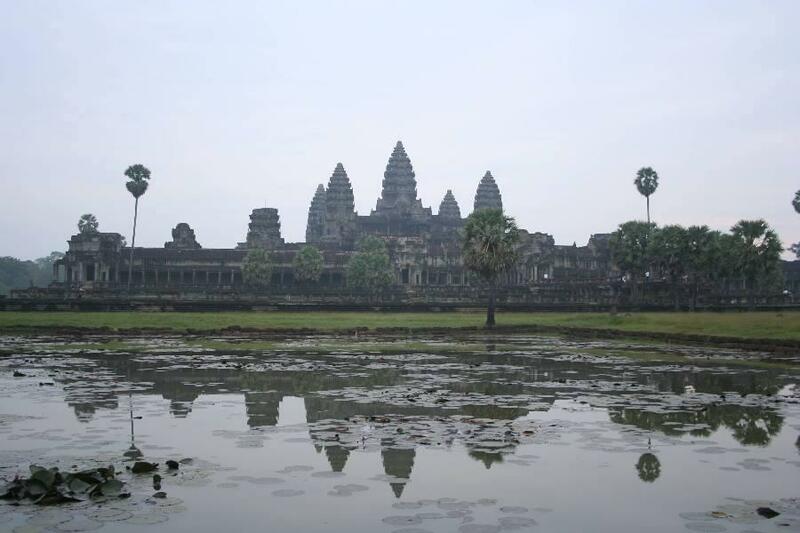 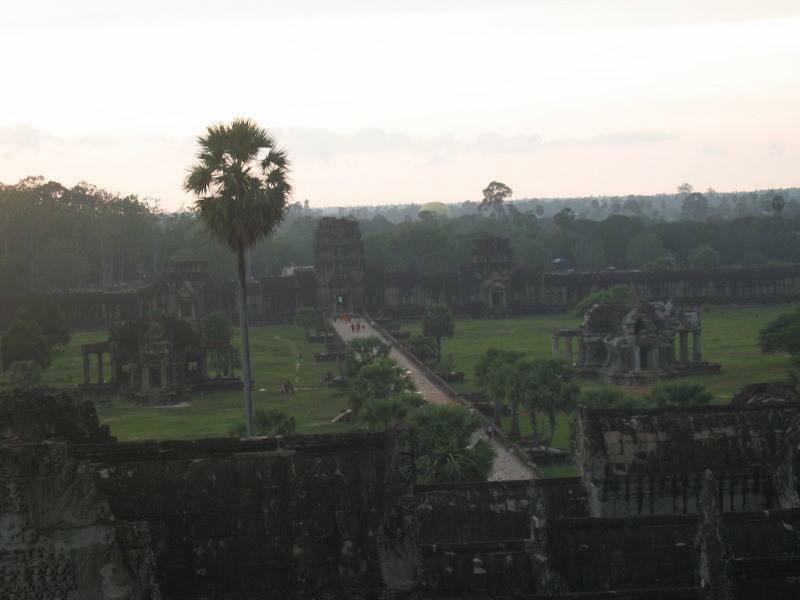 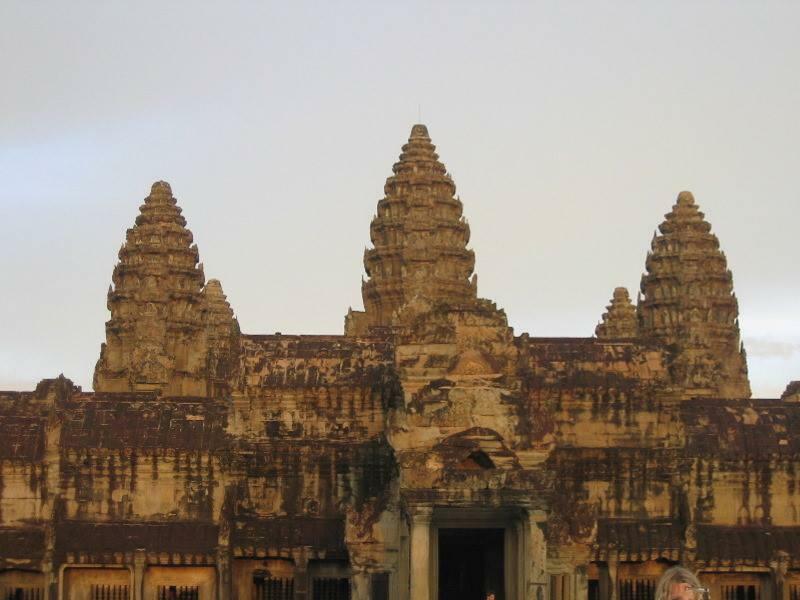 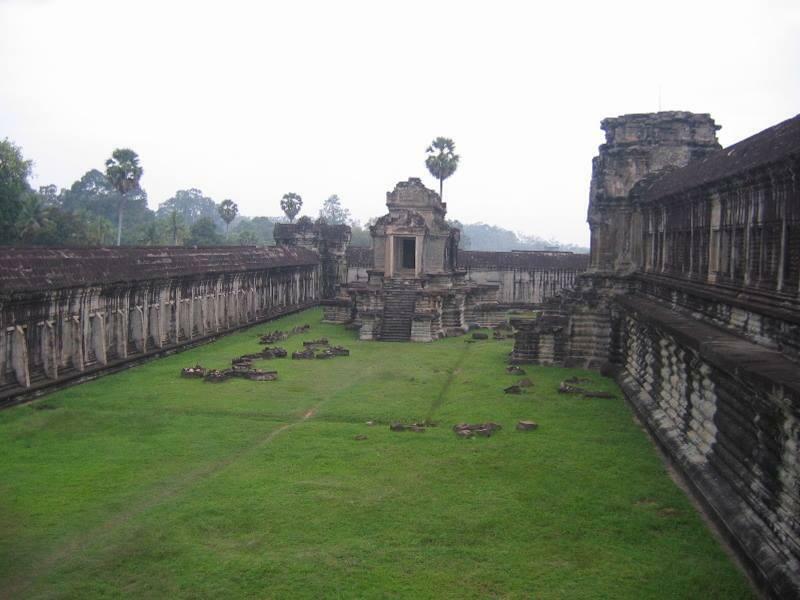 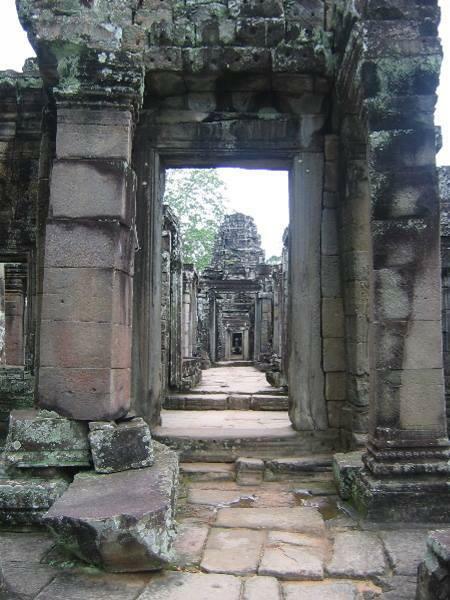 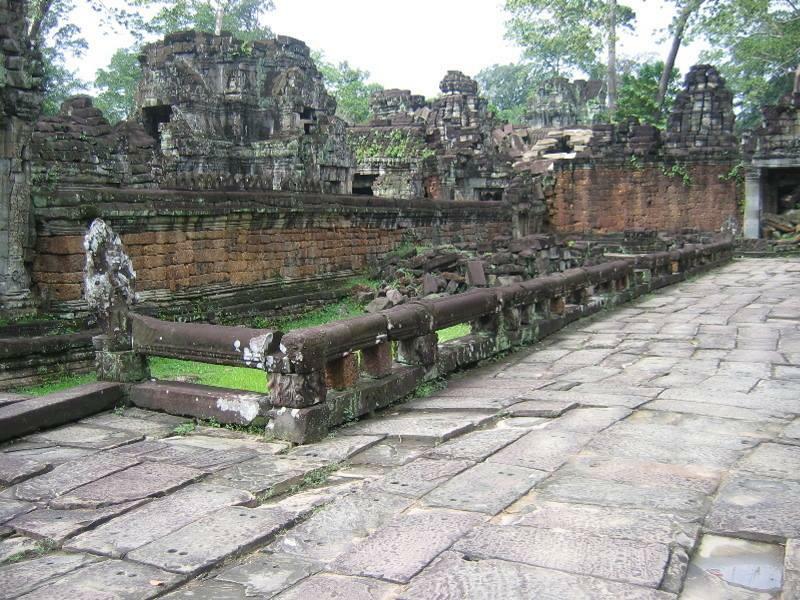 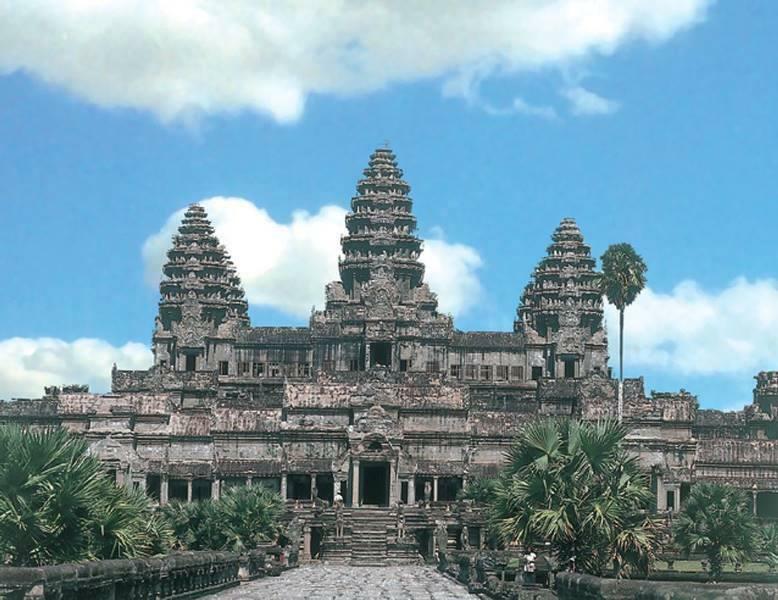 Unlike most Angkorian temples, Angkor Wat is oriented to the west; scholars are divided as to the significance of this. 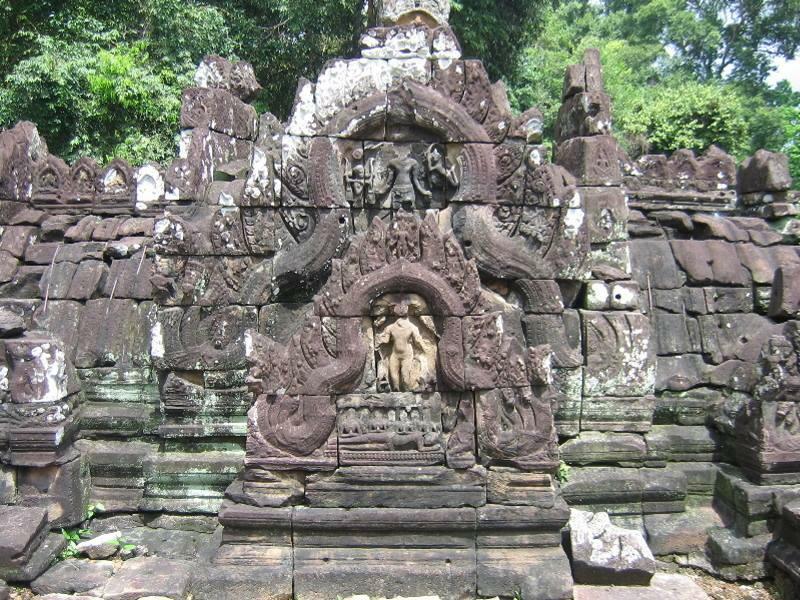 The temple is admired for the grandeur and harmony of the architecture, its extensive bas-reliefs, and for the numerous devatas (guardian spirits) adorning its walls. 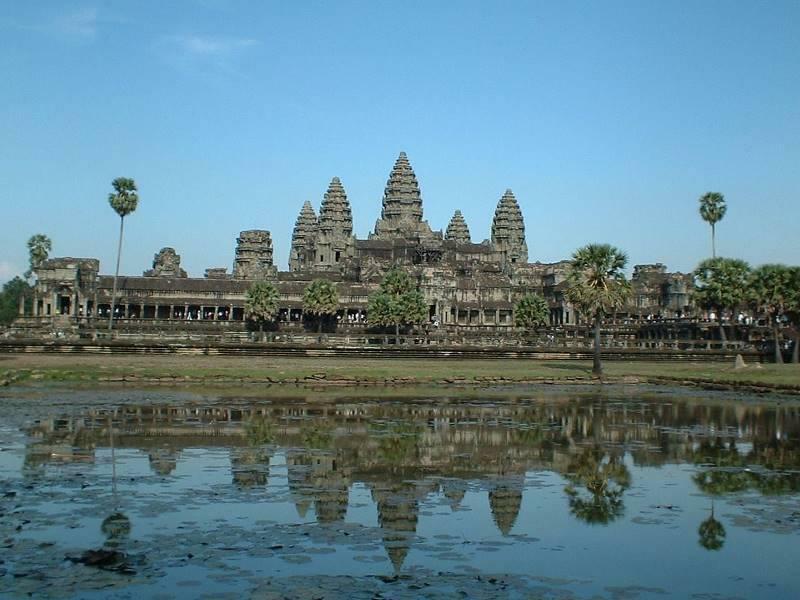 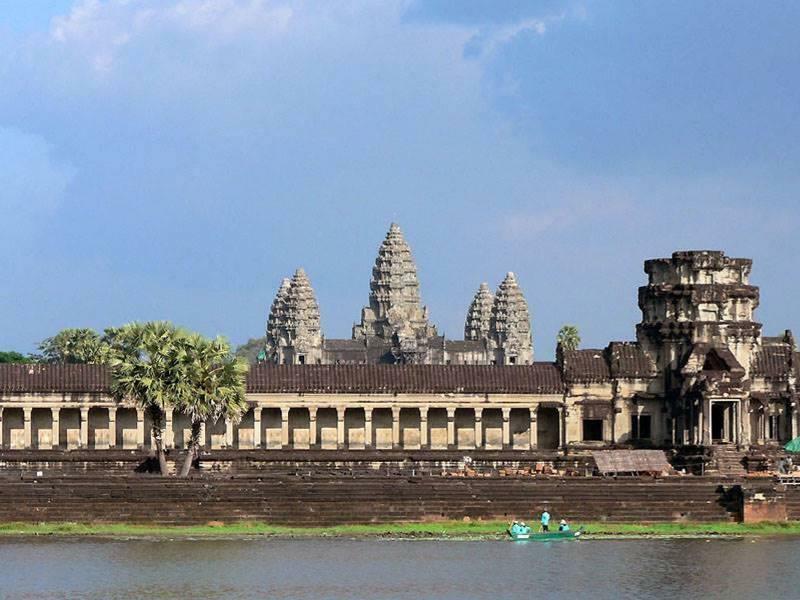 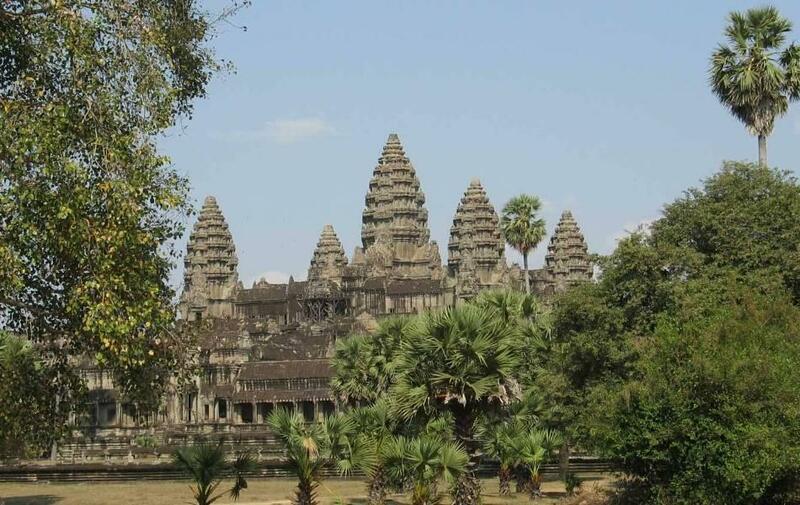 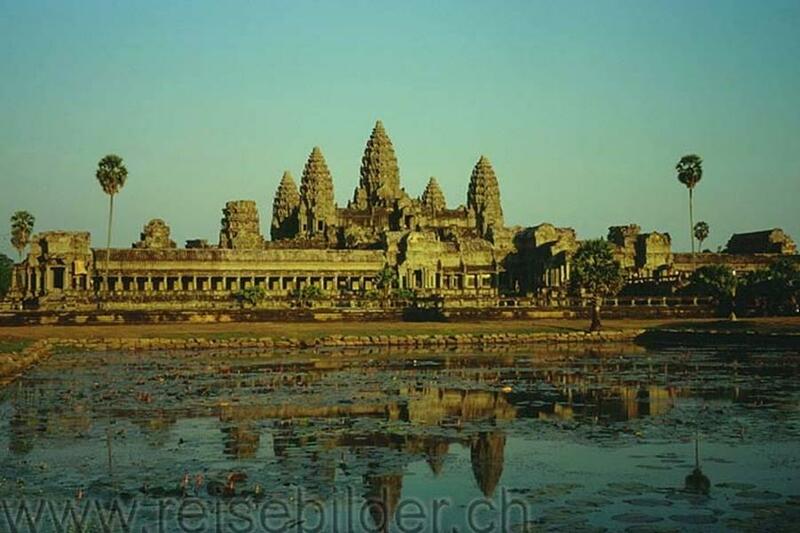 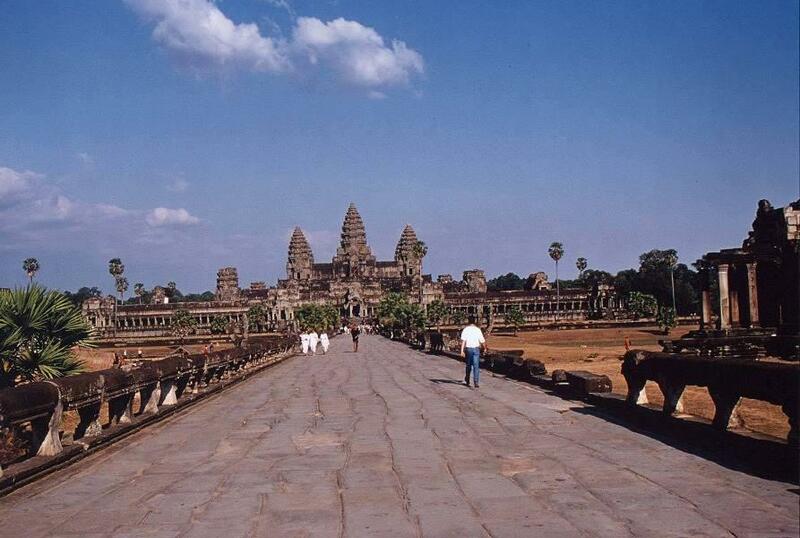 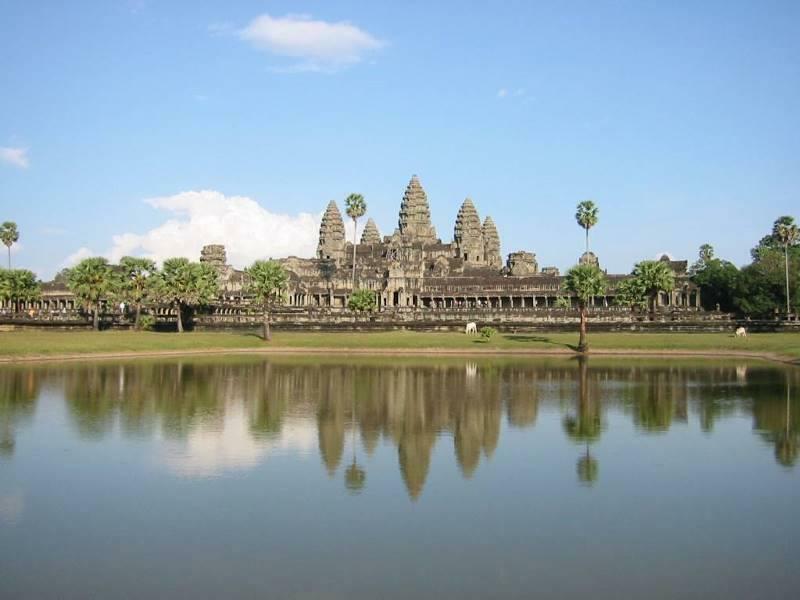 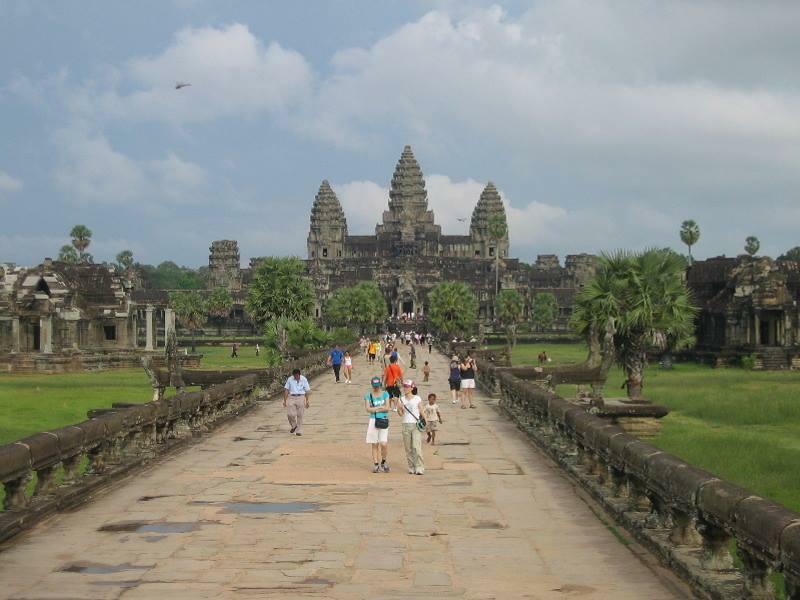 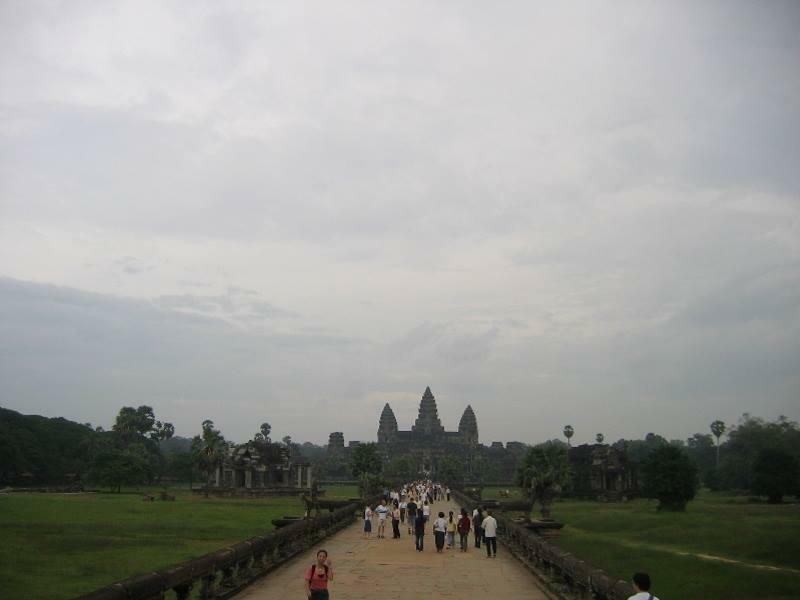 The modern name, Angkor Wat, means "City Temple". 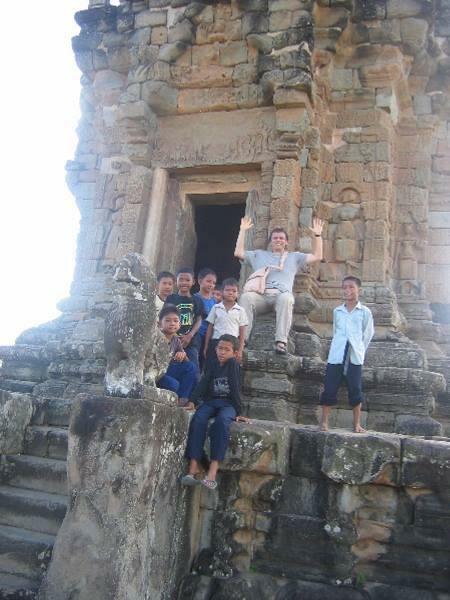 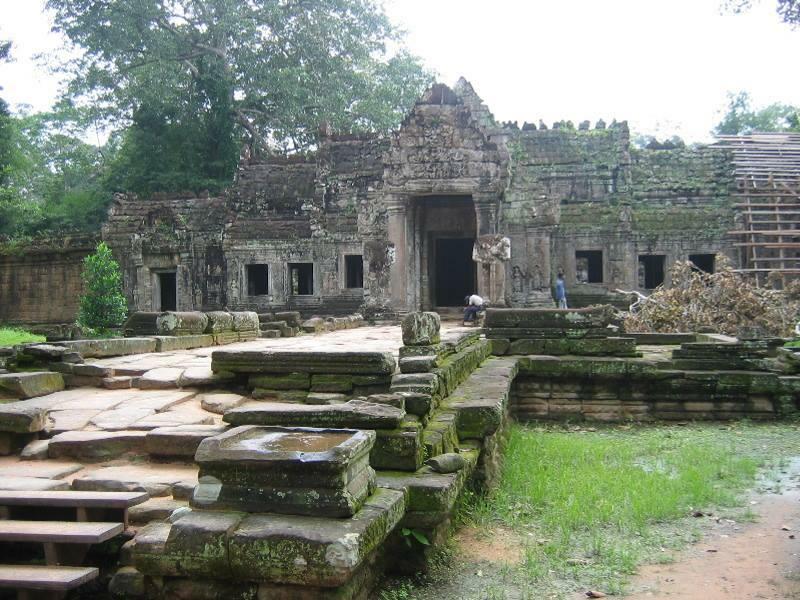 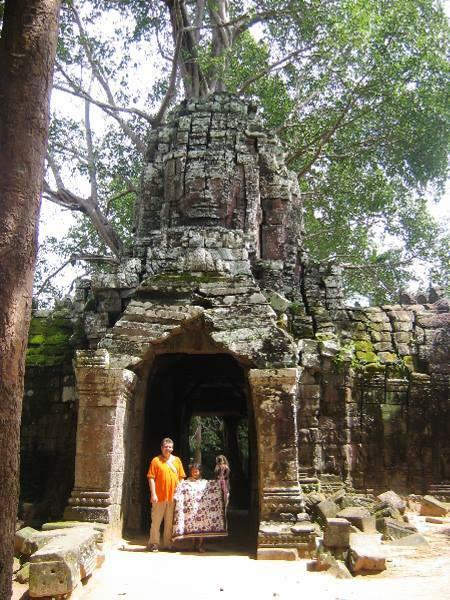 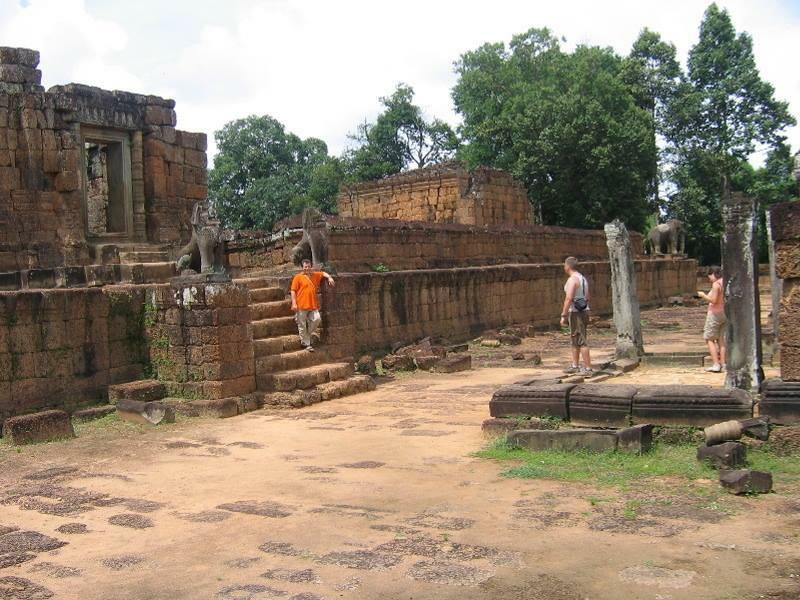 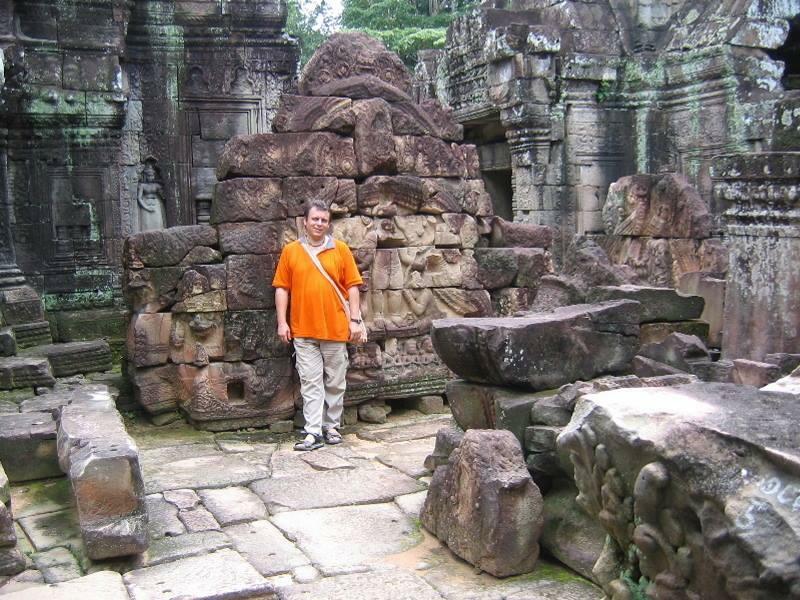 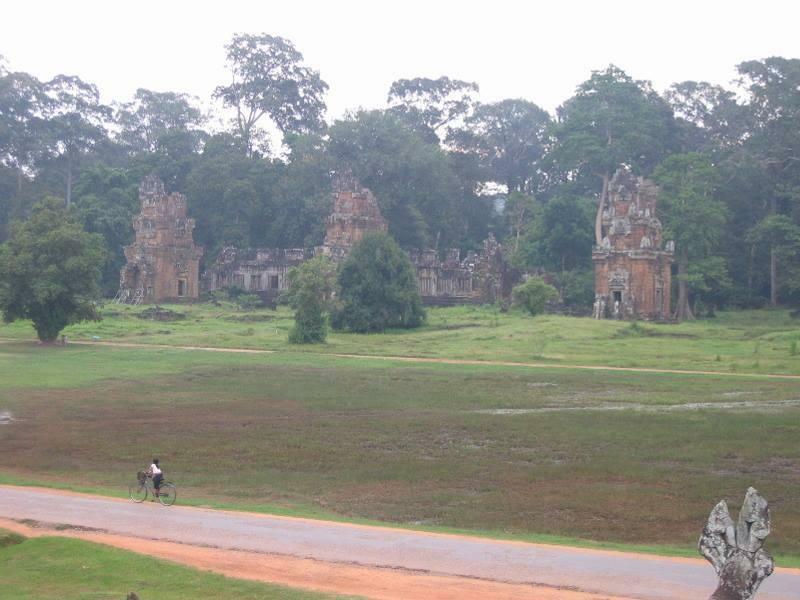 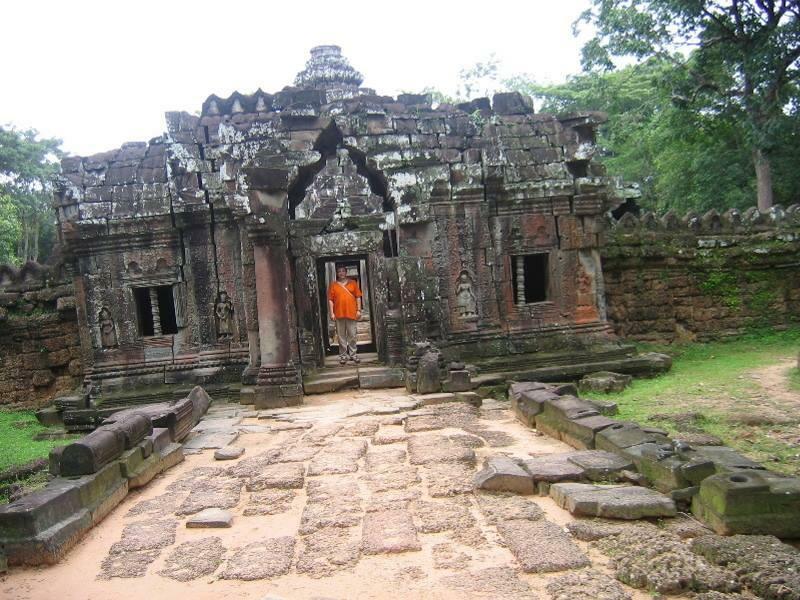 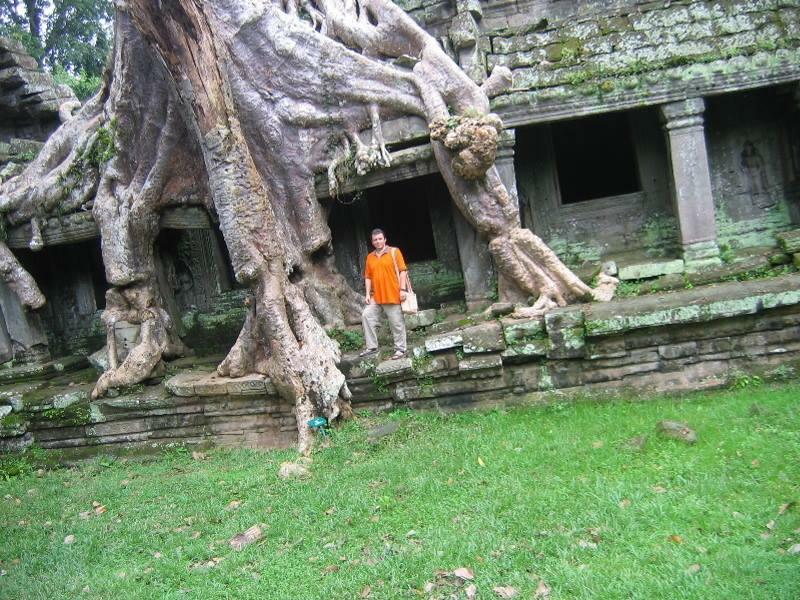 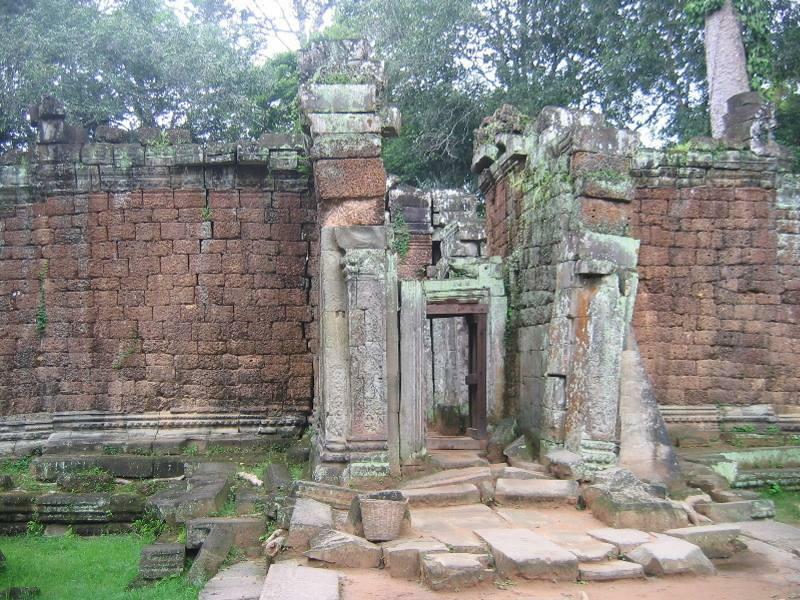 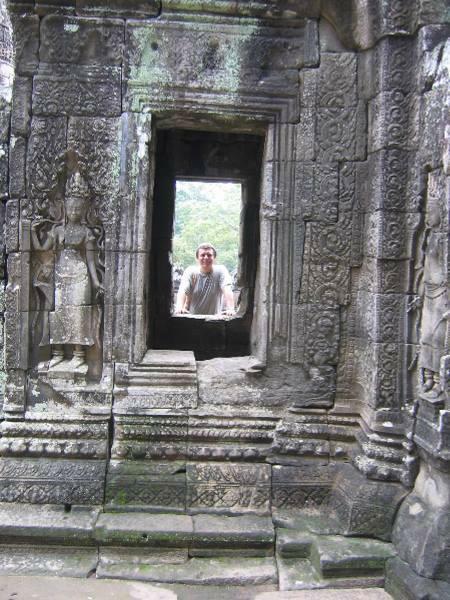 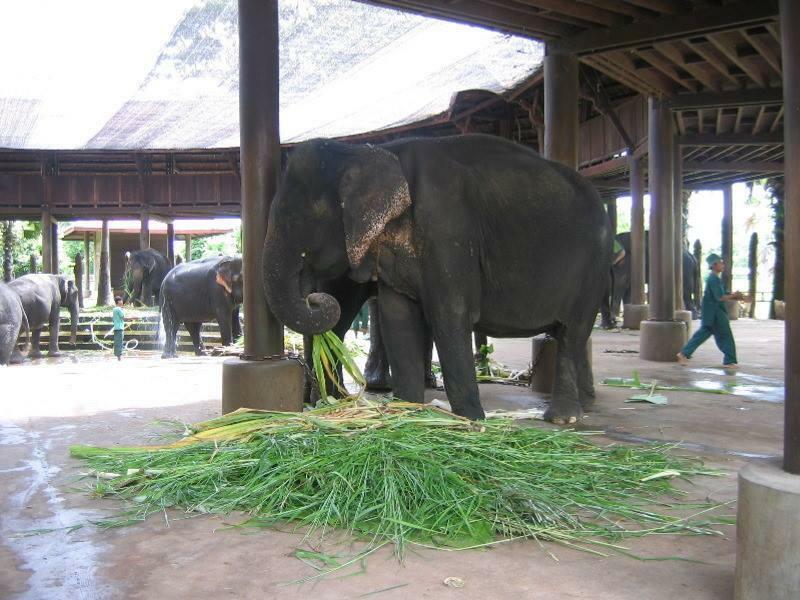 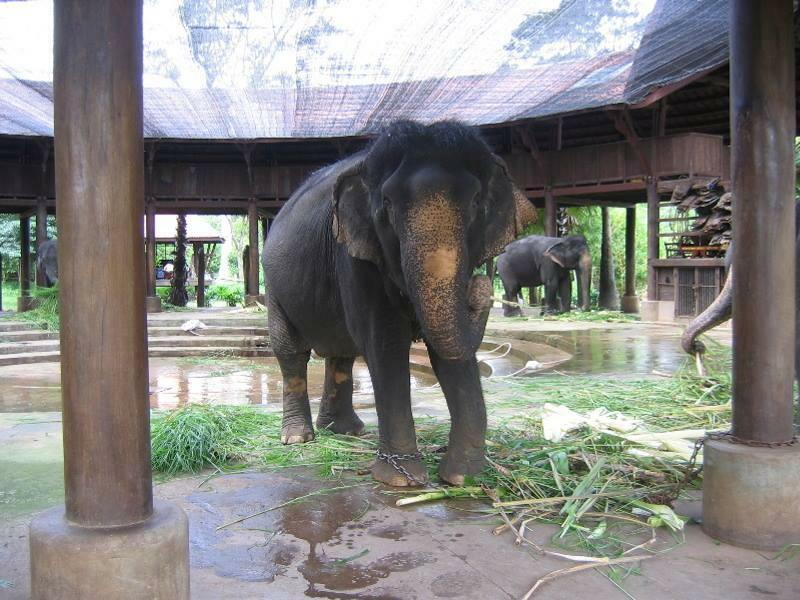 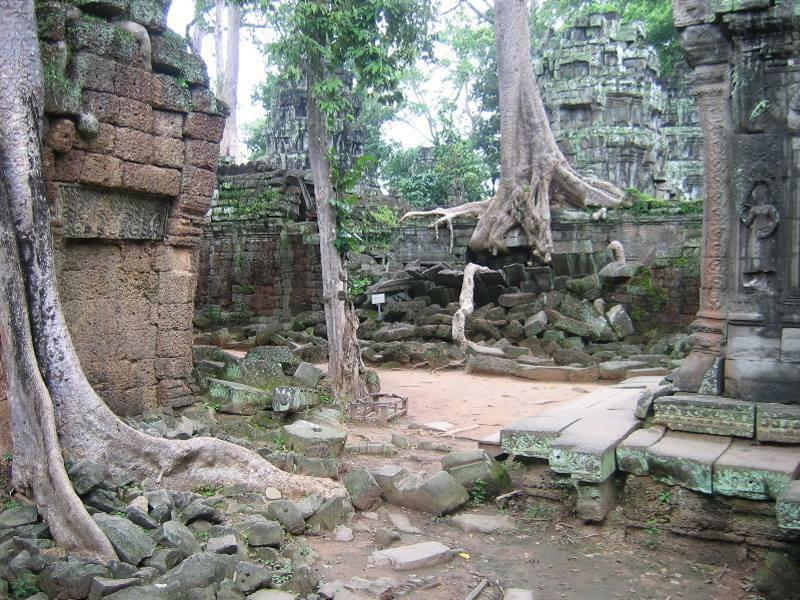 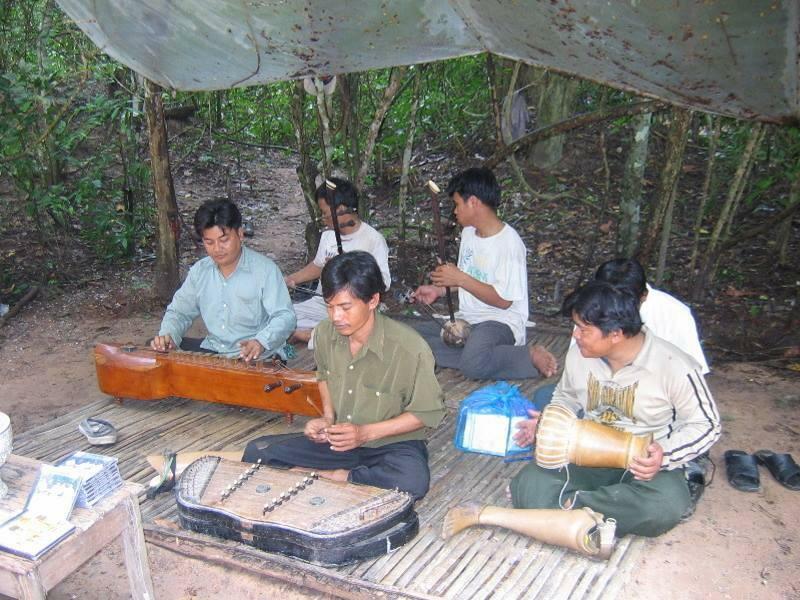 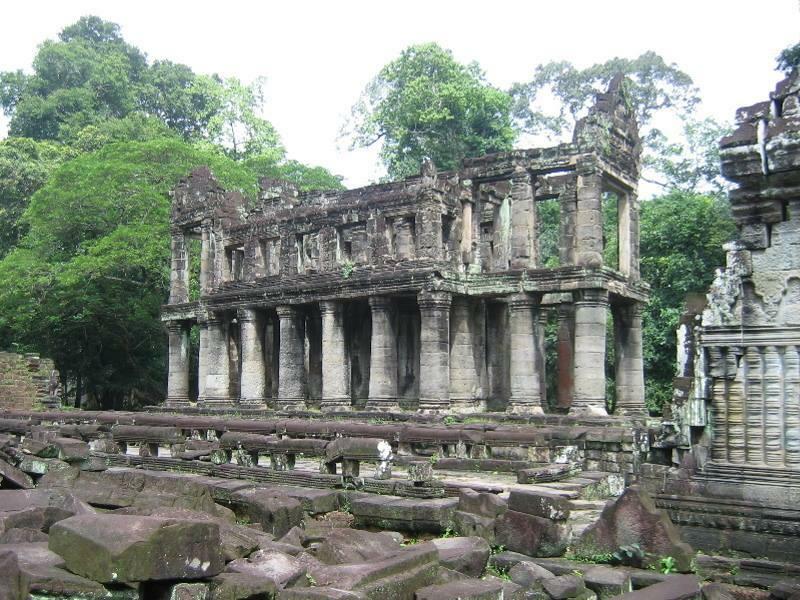 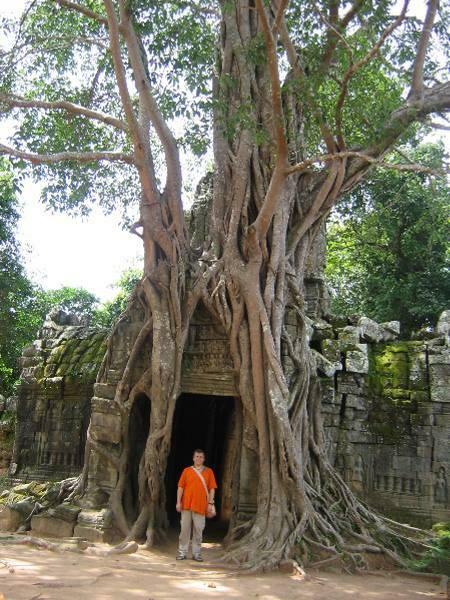 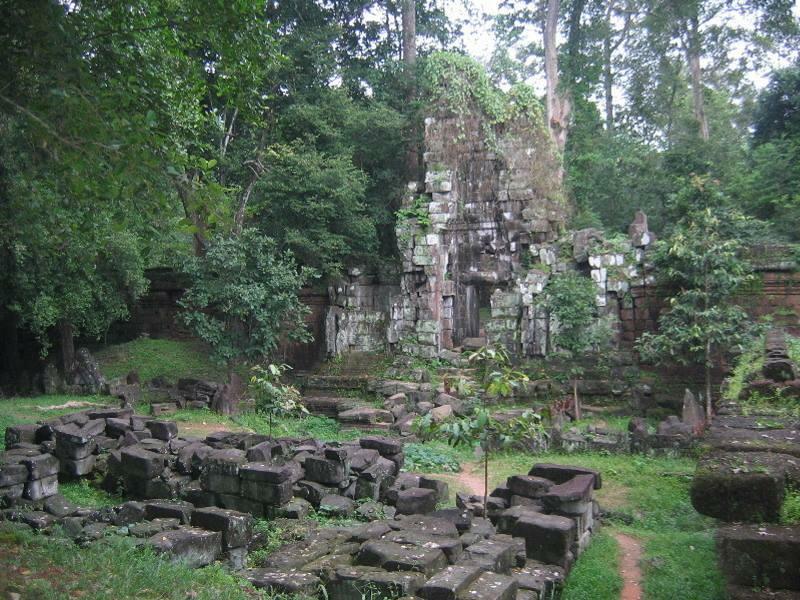 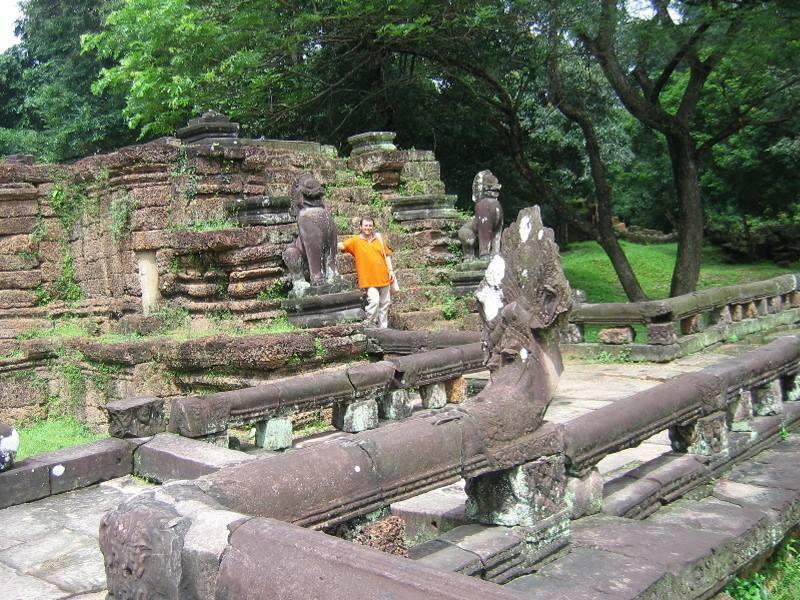 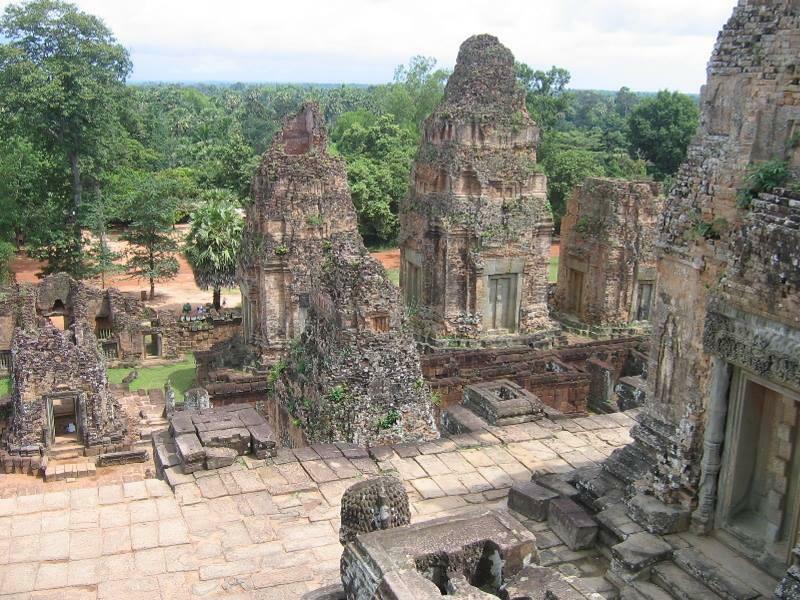 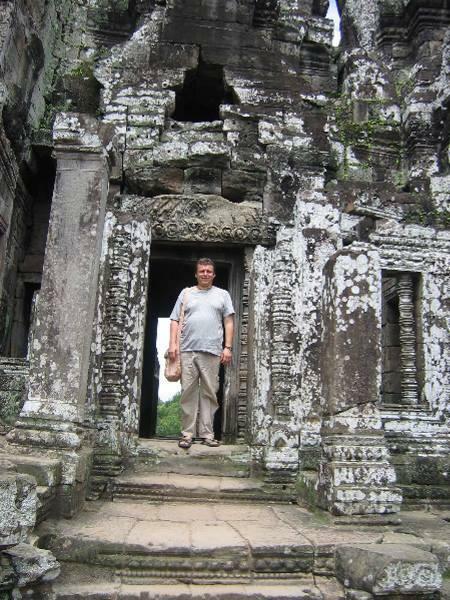 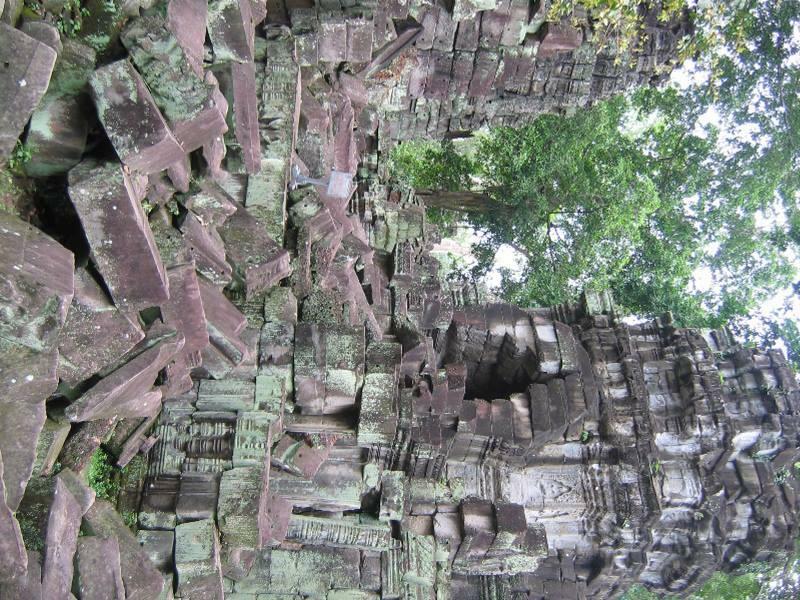 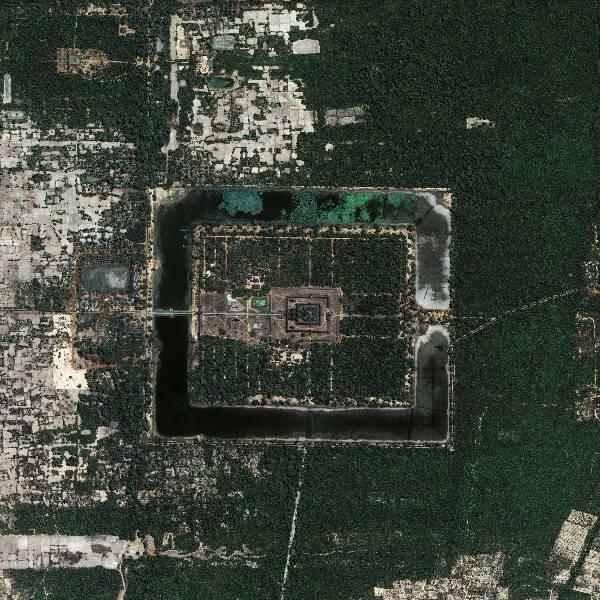 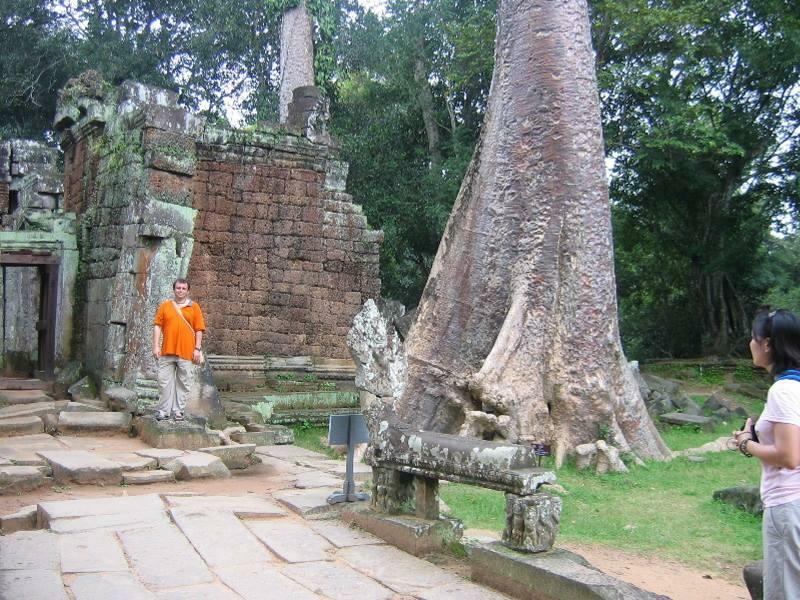 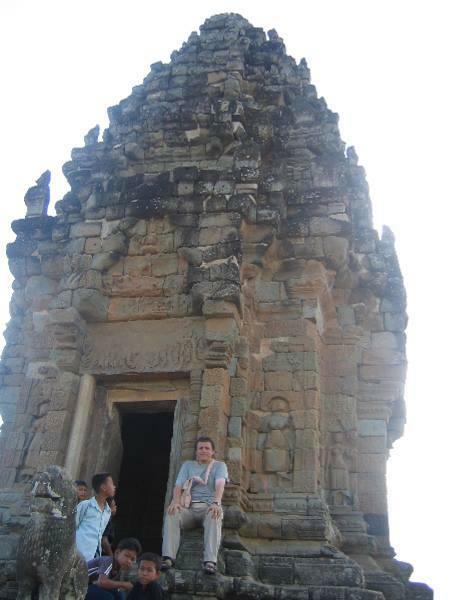 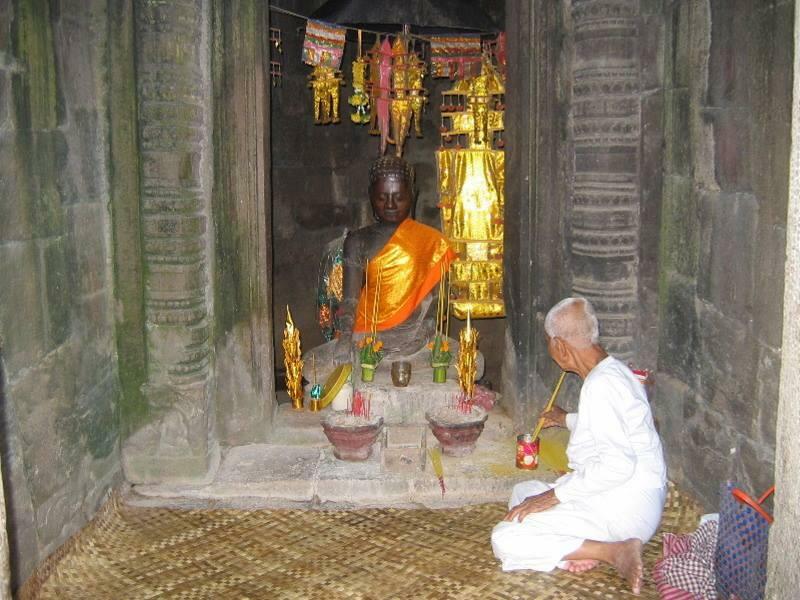 Wat is the Khmer word for temple. 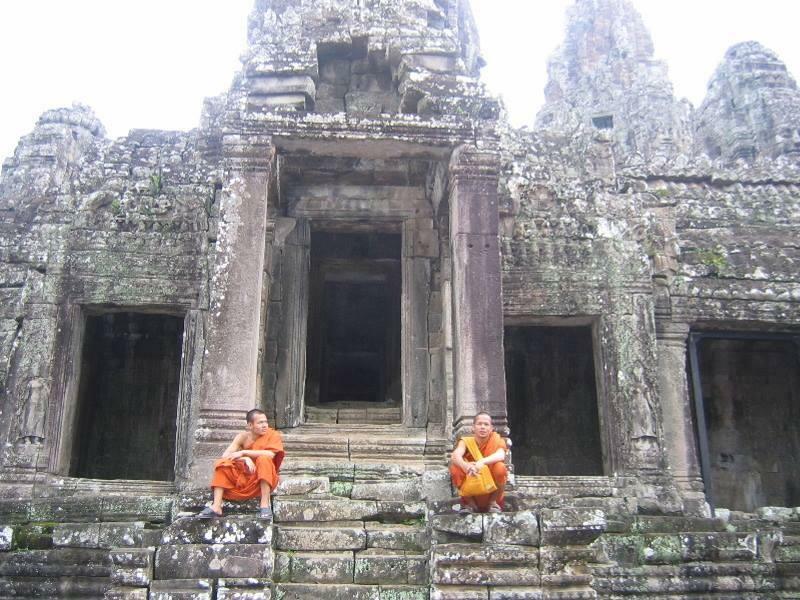 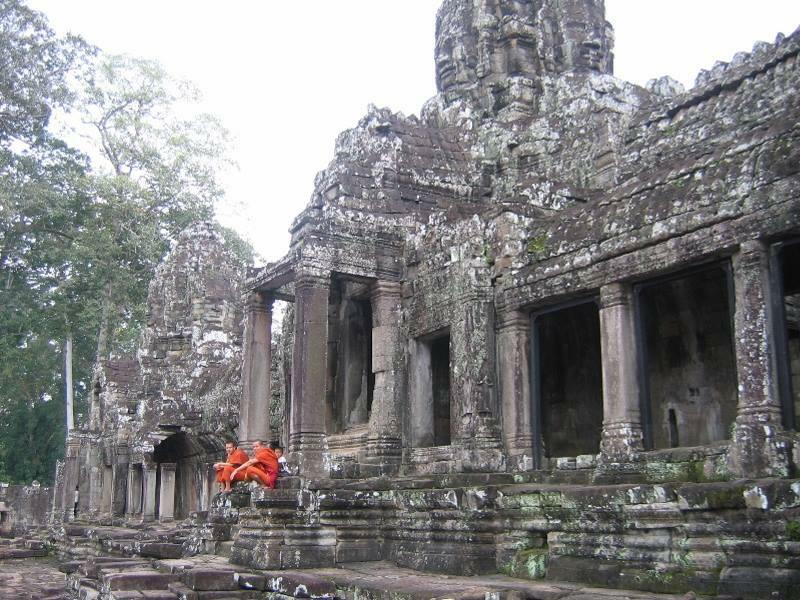 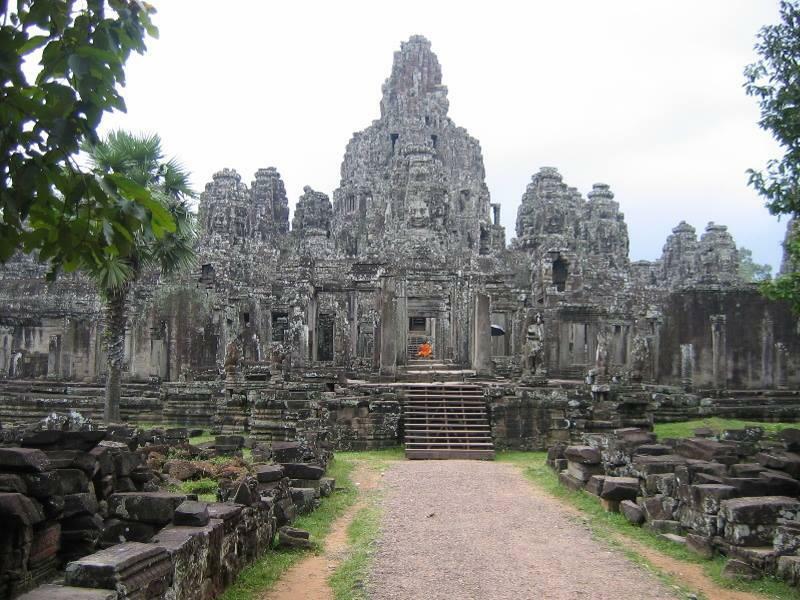 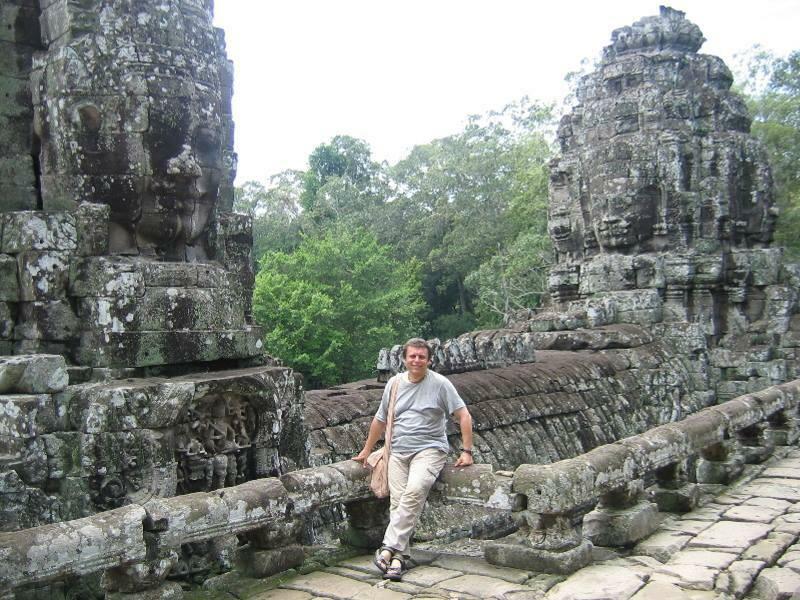 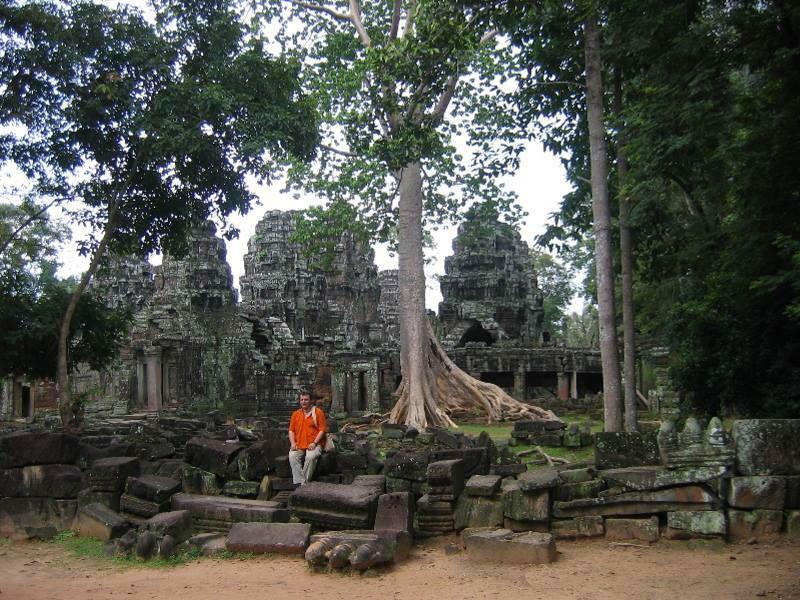 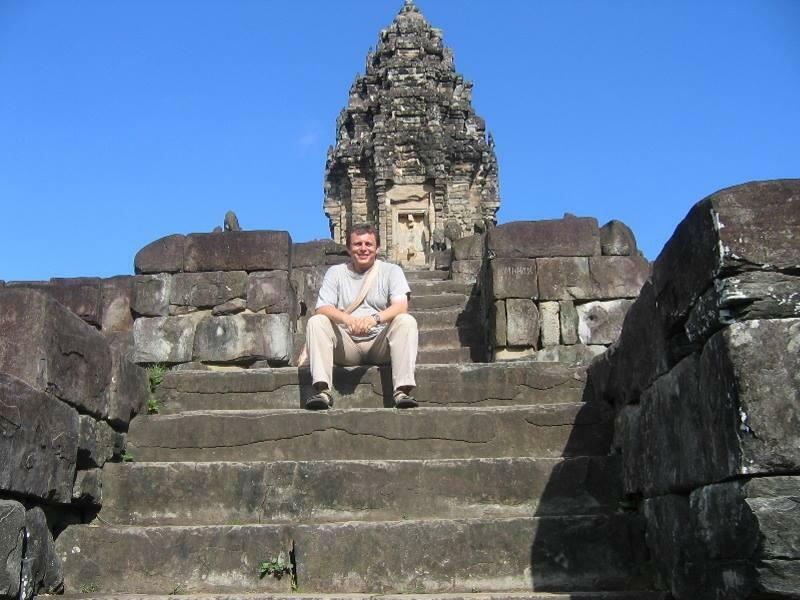 The Bayon is a well-known and richly decorated Khmer temple at Angkor in Cambodia. 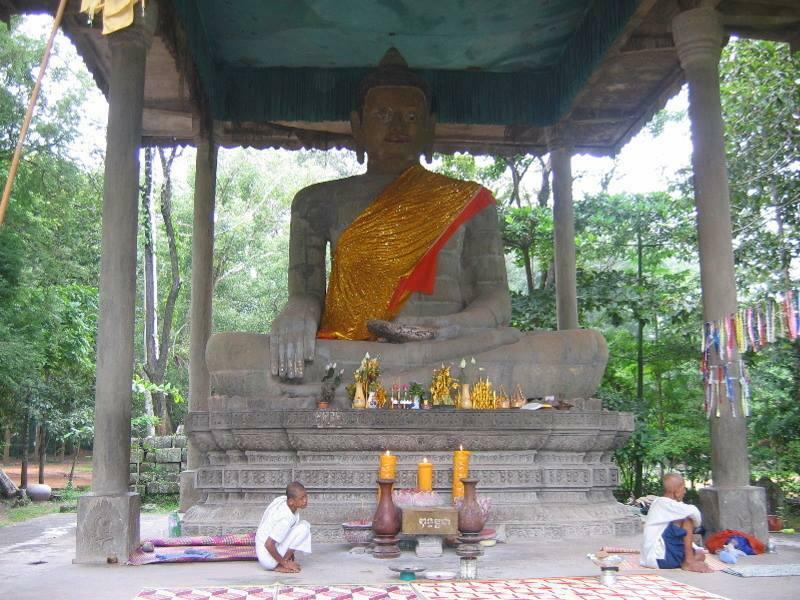 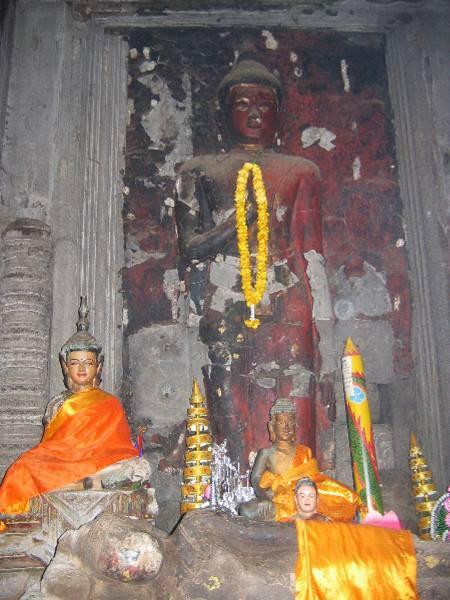 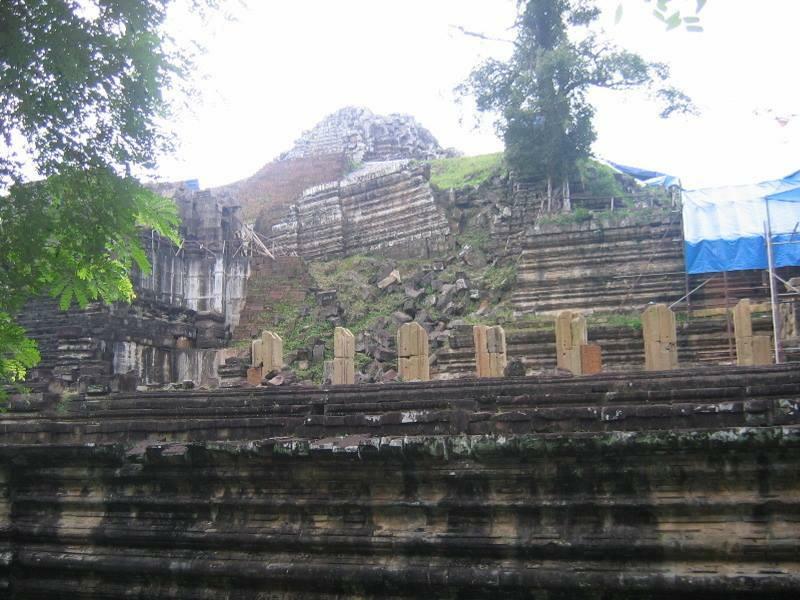 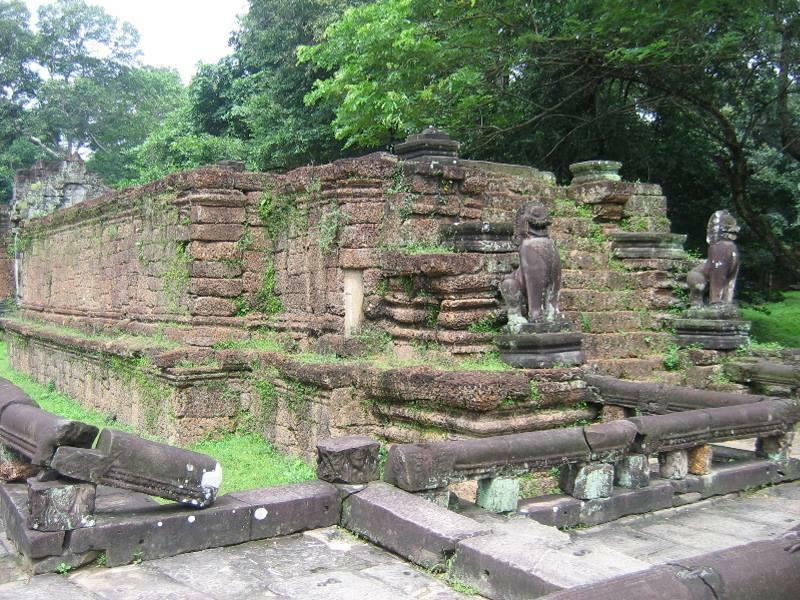 Built in the late 12th century or early 13th century as the official state temple of the Mahayana Buddhist King Jayavarman VII. 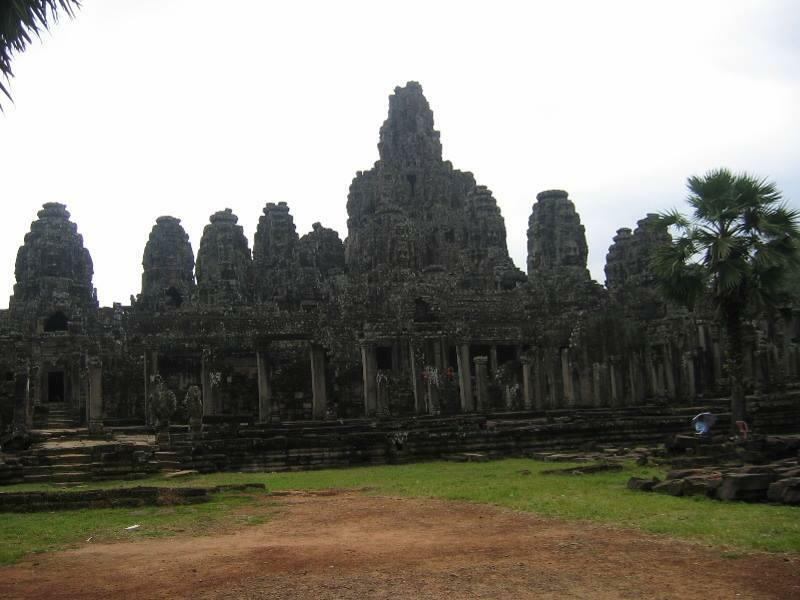 The Bayon's most distinctive feature is the multitude of serene and massive stone faces on the many towers which jut out from the upper terrace and cluster around its central peak. 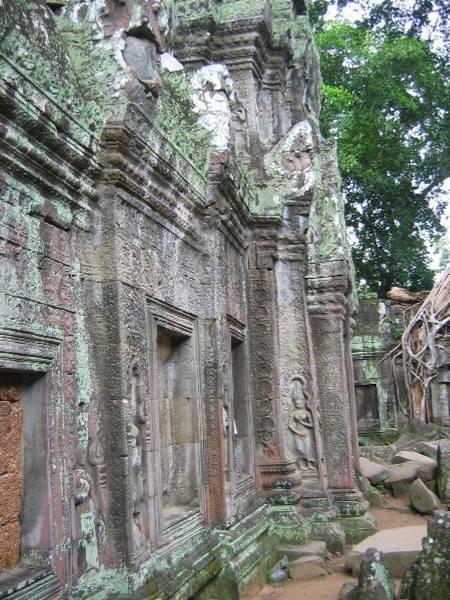 The temple is known also for two impressive sets of bas-reliefs, which present an unusual combination of mythological, historical, and mundane scenes. 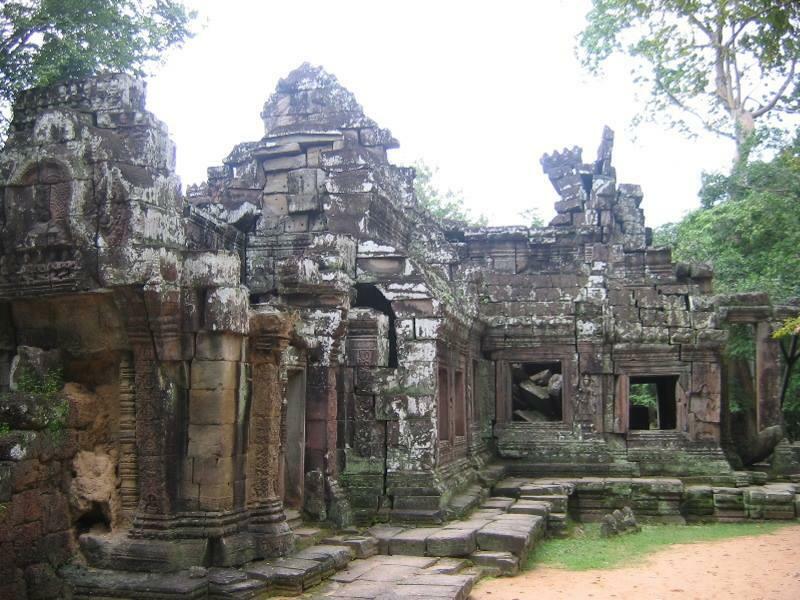 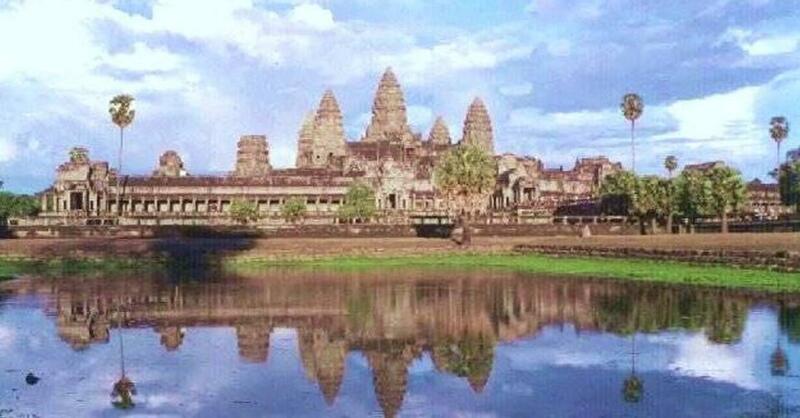 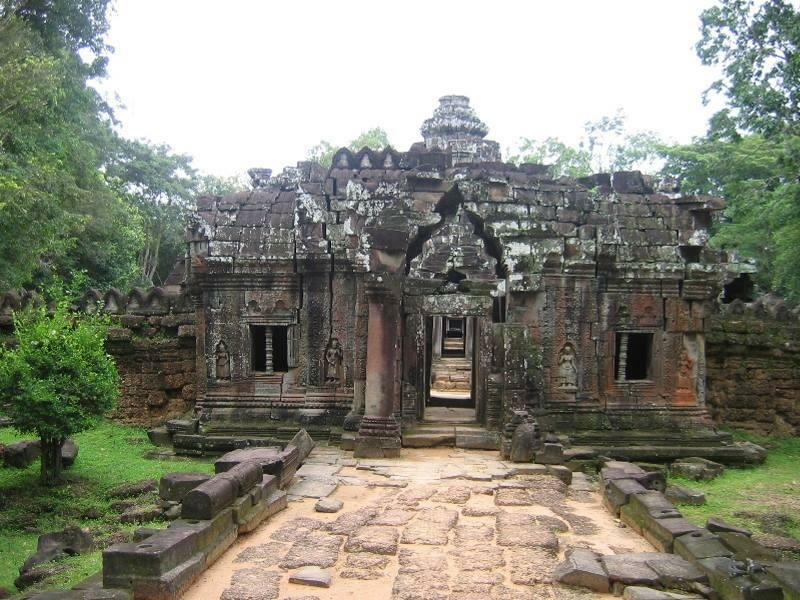 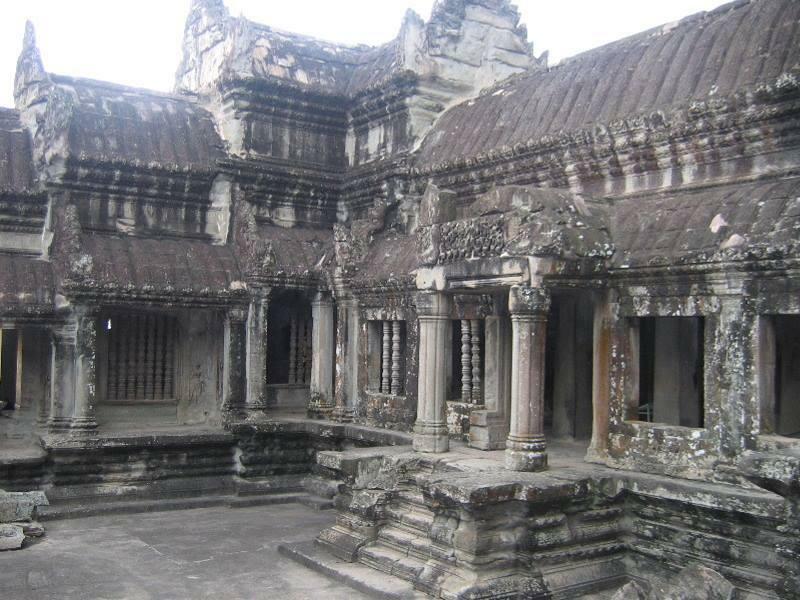 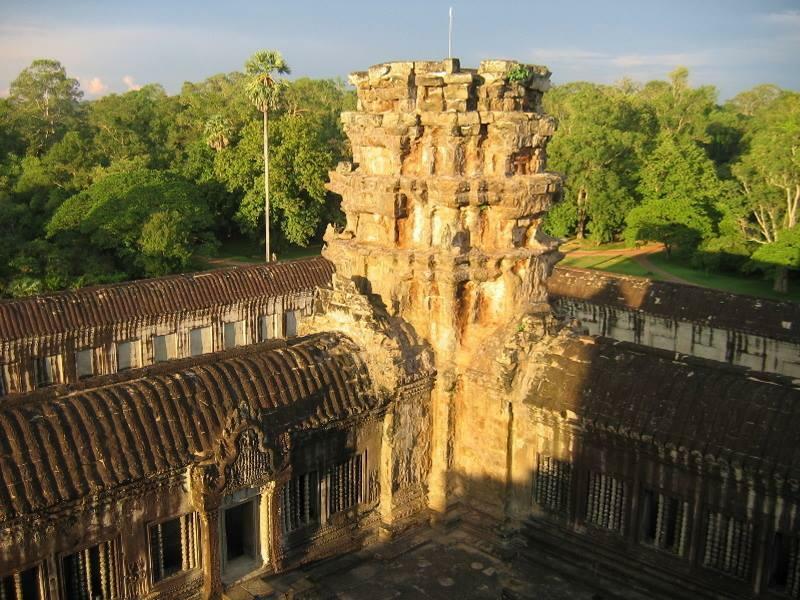 The current main conservatory body, the Japanese Government team for the Safeguarding of Angkor has described the temple as "the most striking expression of the baroque style" of Khmer architecture, as contrasted with the classical style of Angkor Wat. 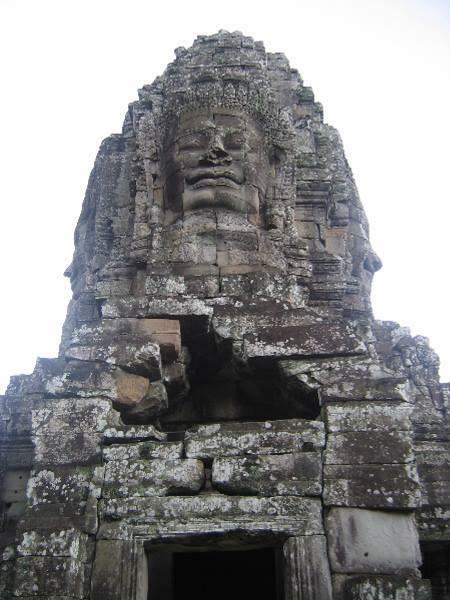 The upper terrace is home to the famous "face towers" of the Bayon, each of which supports two, three or (most commonly) four gigantic smiling faces. 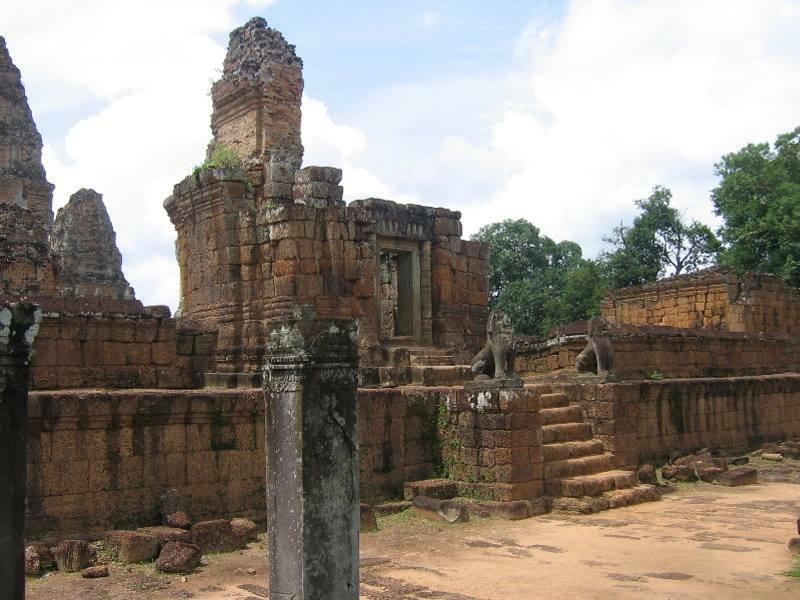 In addition to the mass of the central tower, smaller towers are located along the inner gallery (at the corners and entrances), and on chapels on the upper terrace. 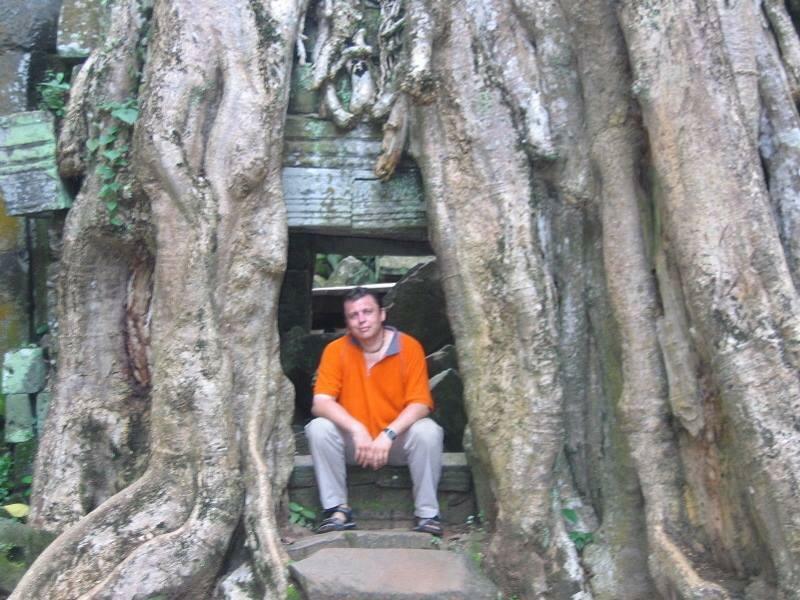 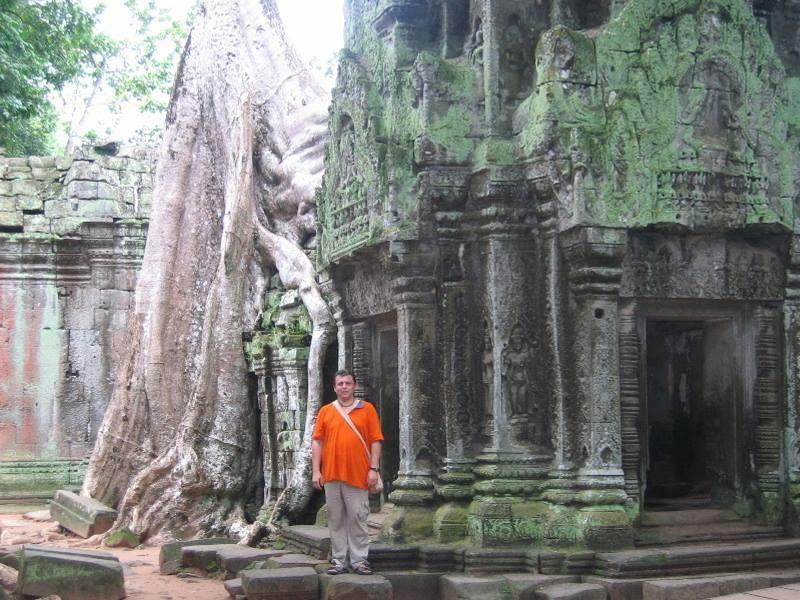 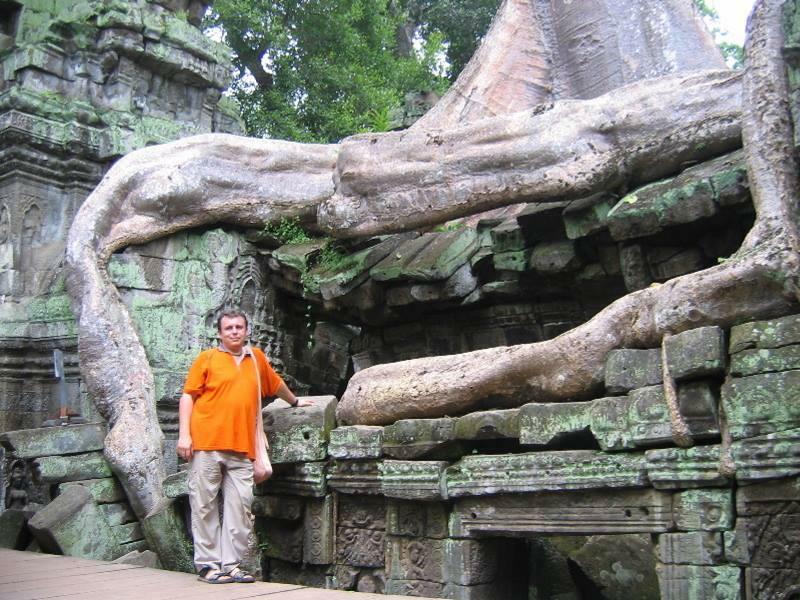 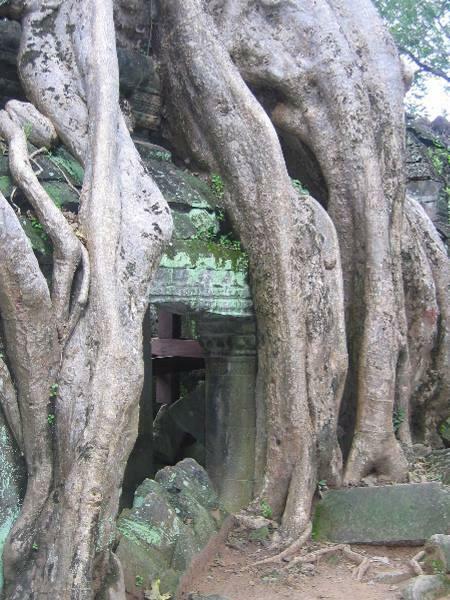 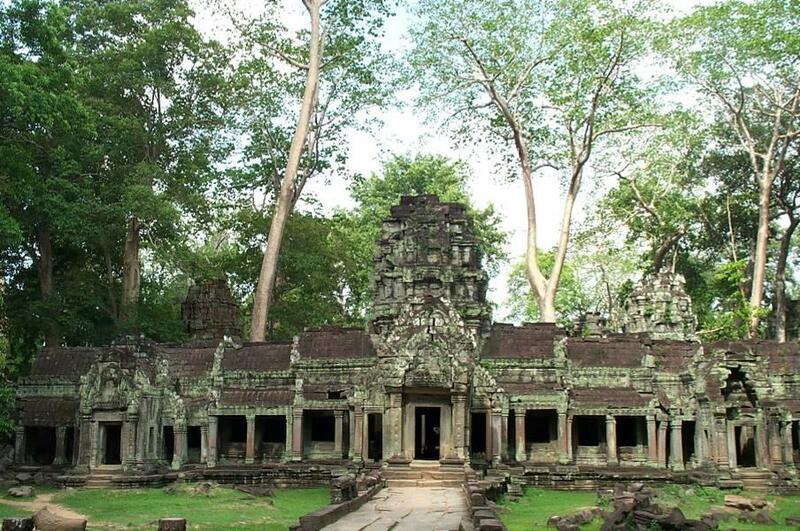 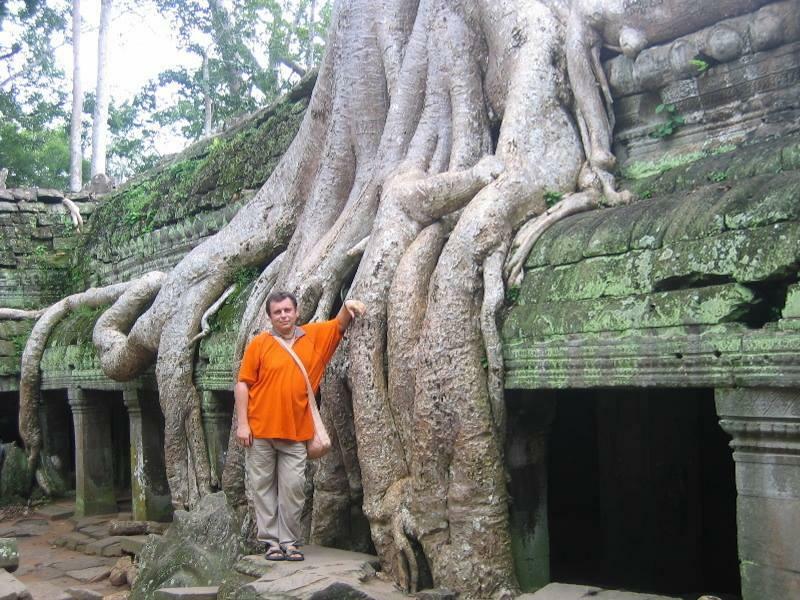 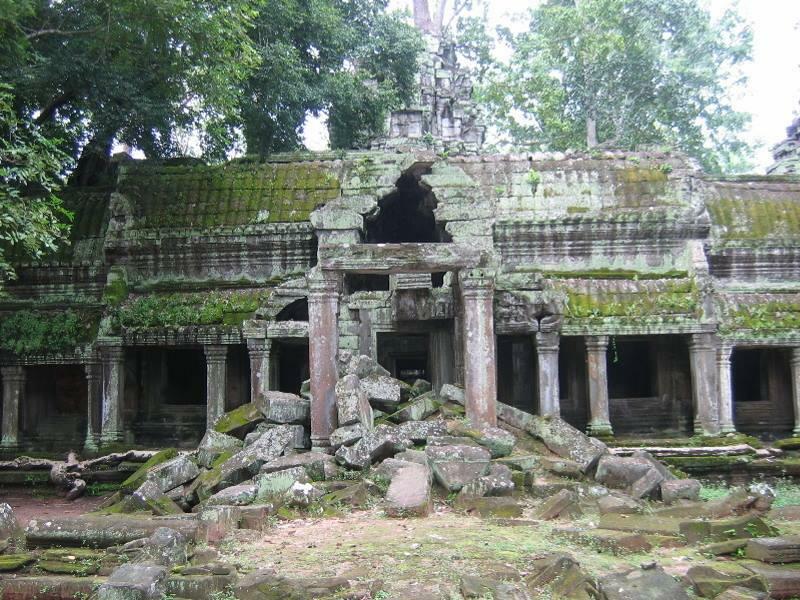 Ta Prohm is the modern name of a temple at Angkor, built in the Bayon style largely in the late 12th centuries and originally called Rajavihara . 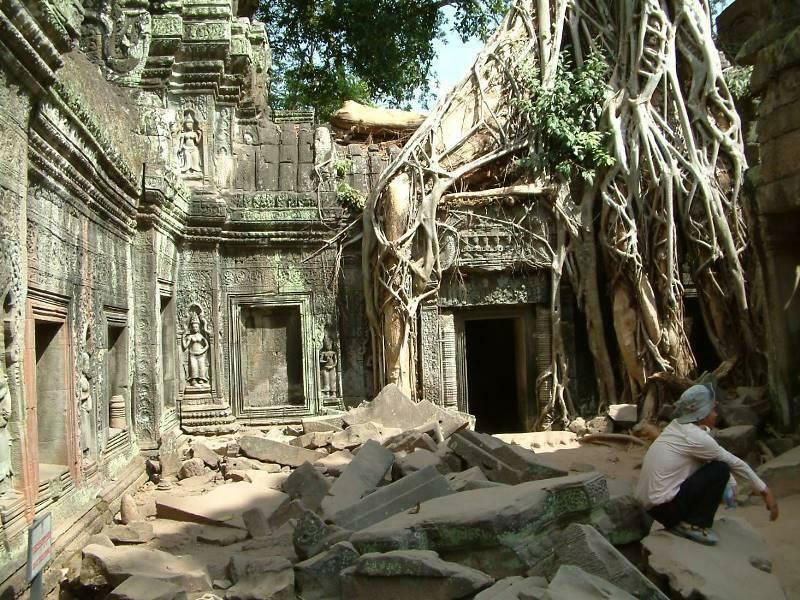 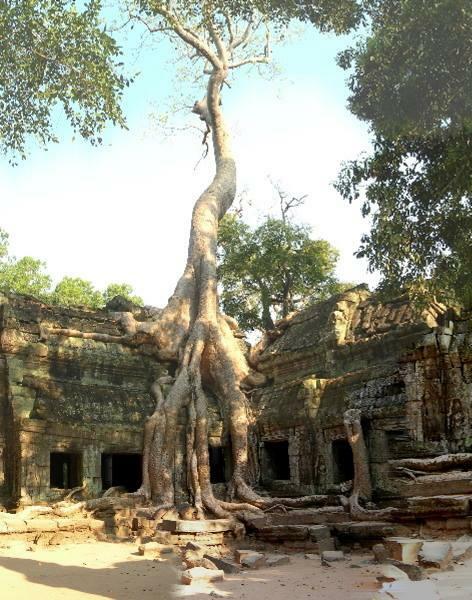 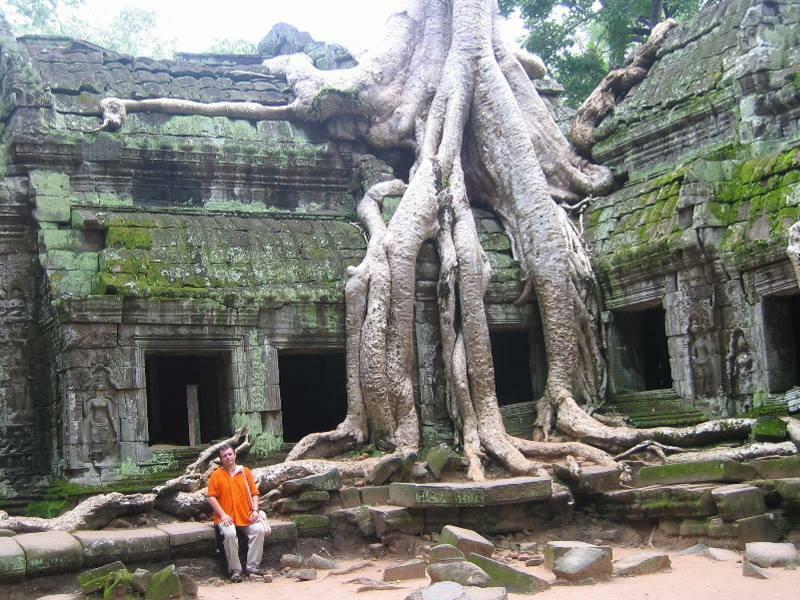 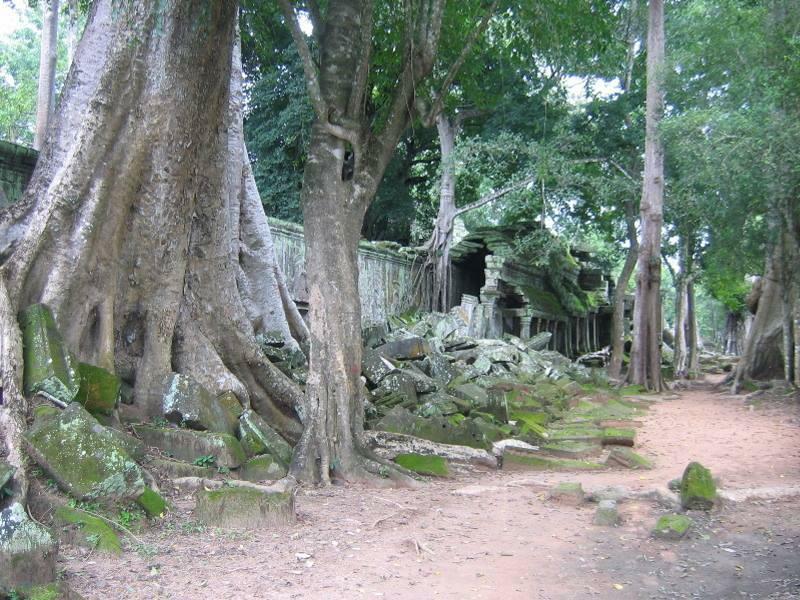 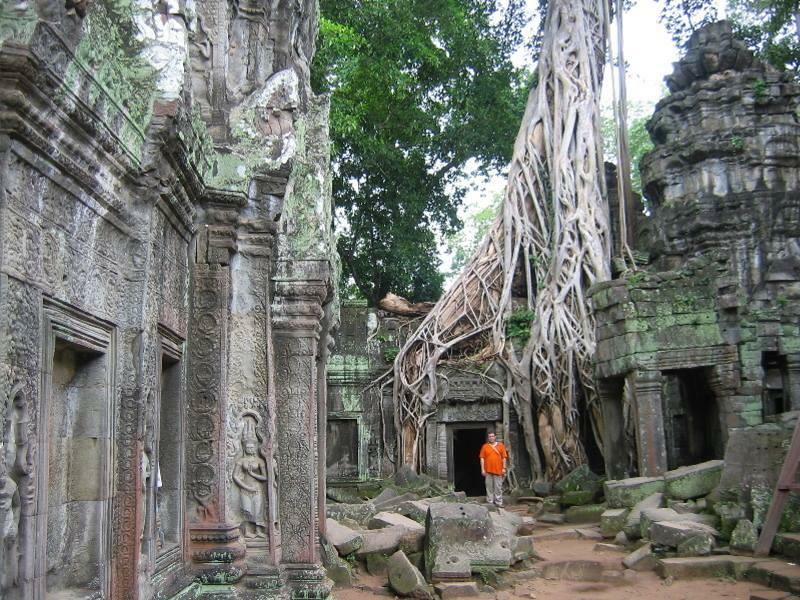 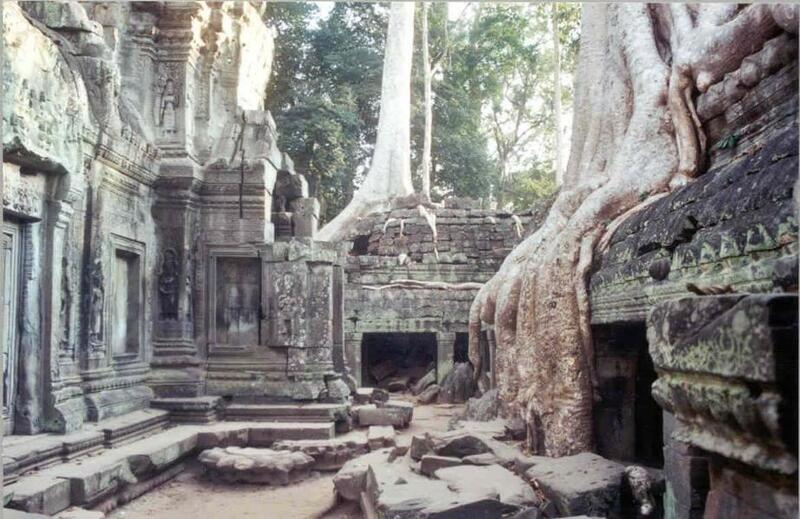 Ta Prohm has been left in much the same condition in which it was found: the photogenic and atmospheric combination of trees growing out of the ruins and the jungle surroundings have made it one of Angkor's most popular temples with visitors.